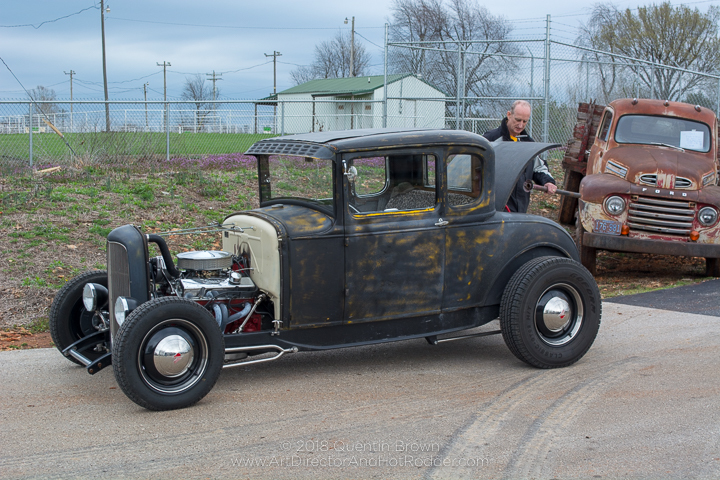 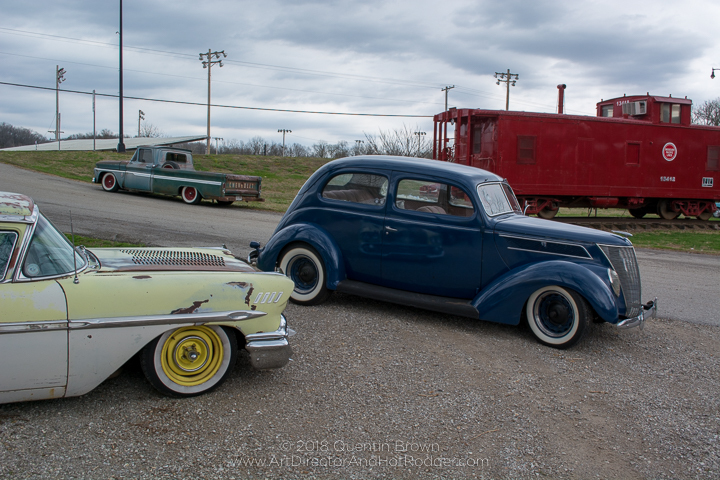 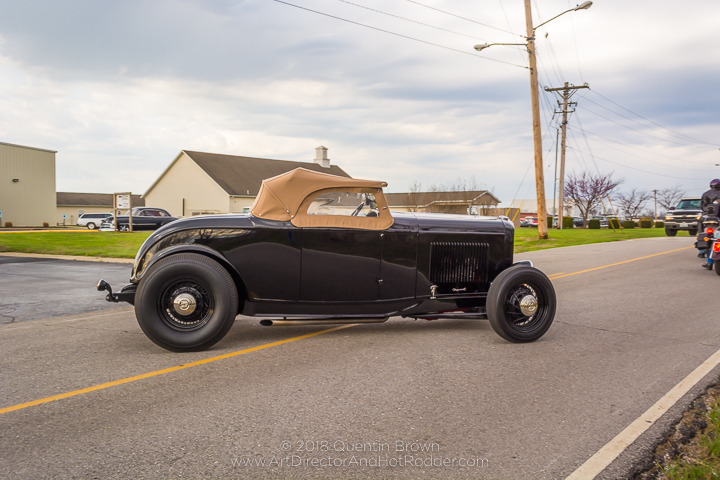 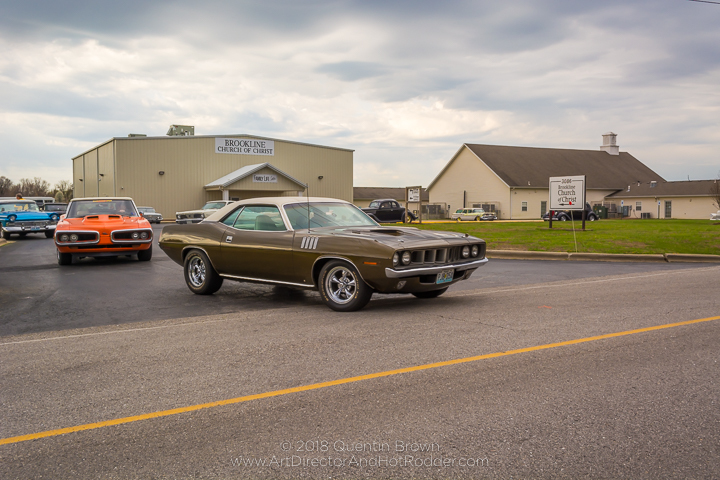 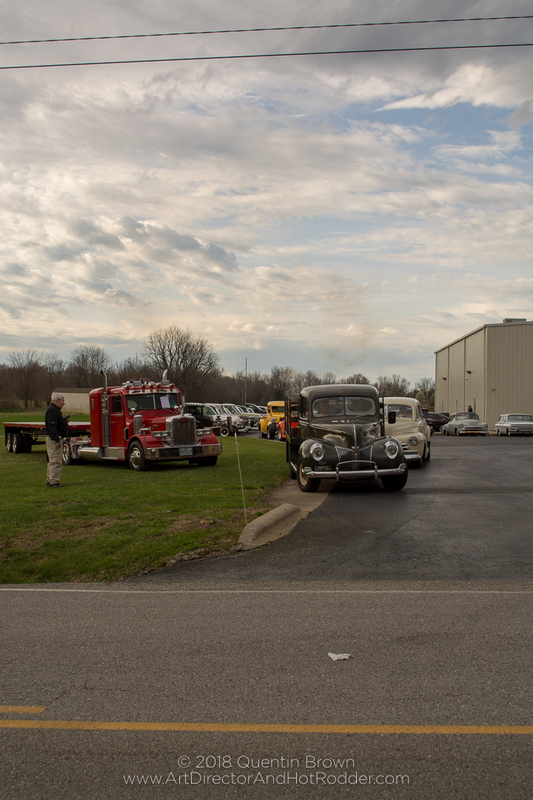 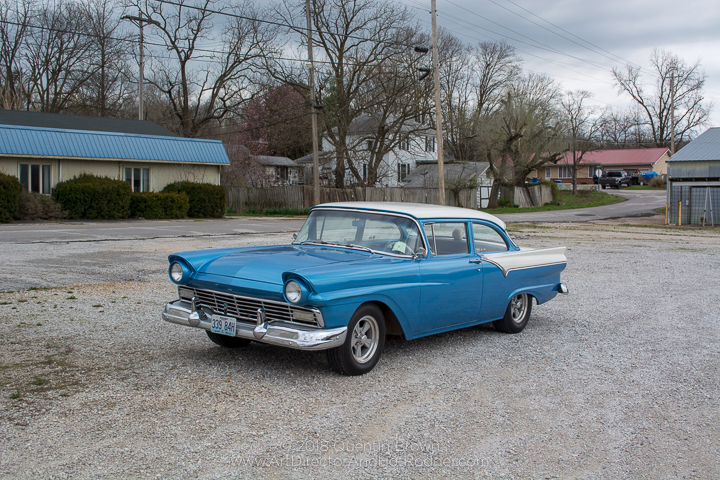 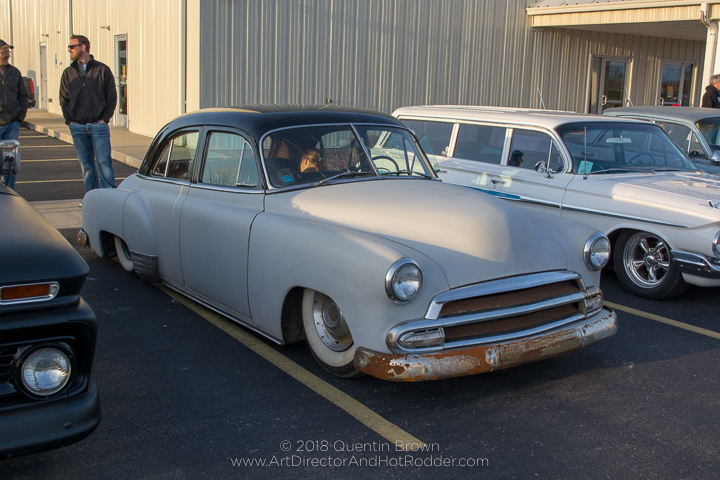 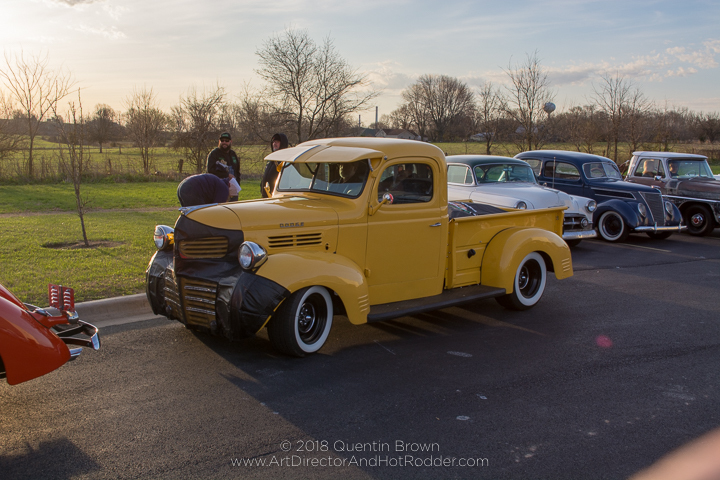 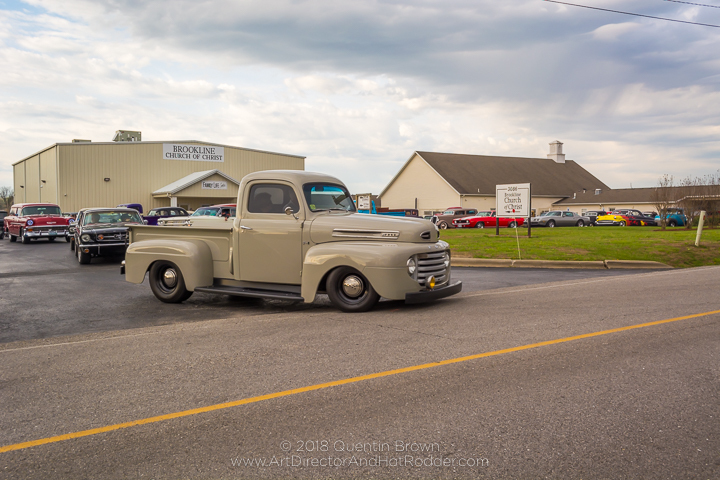 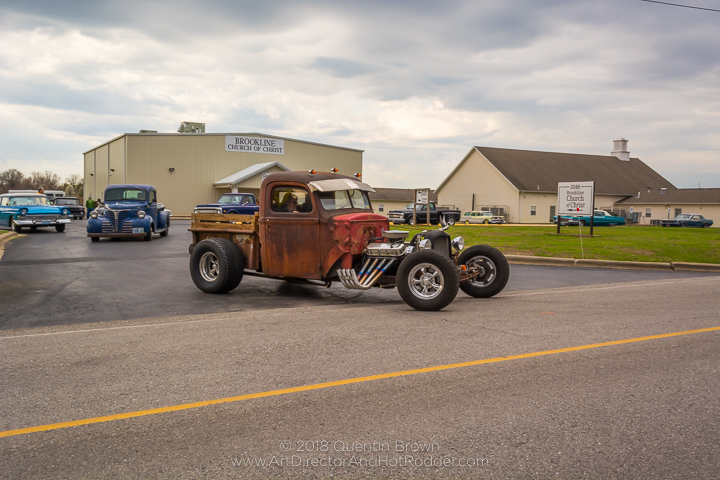 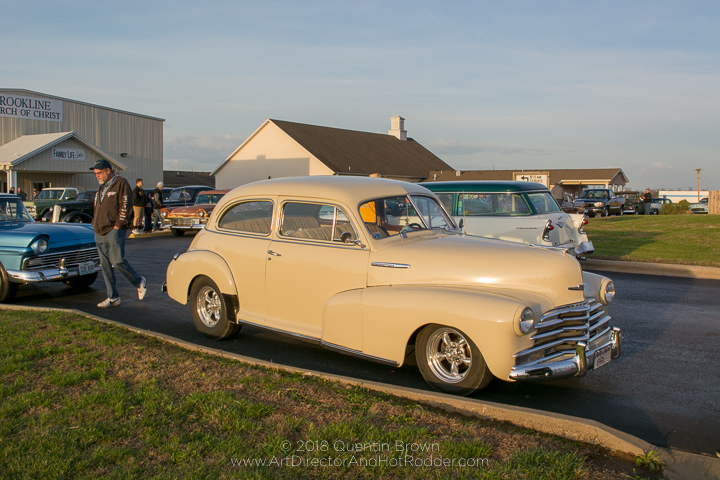 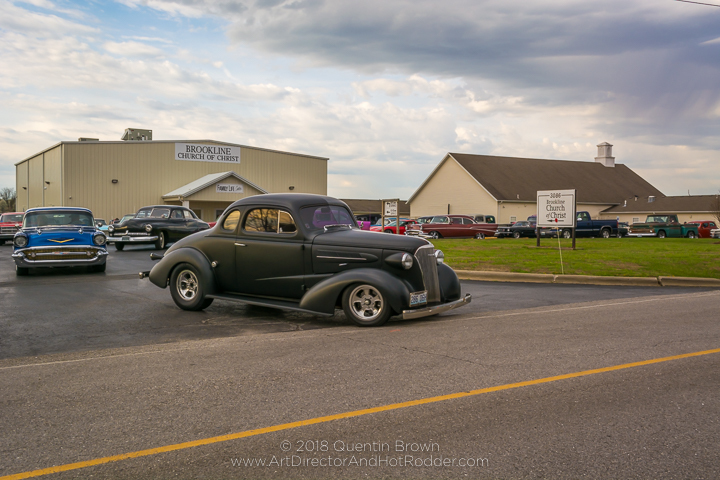 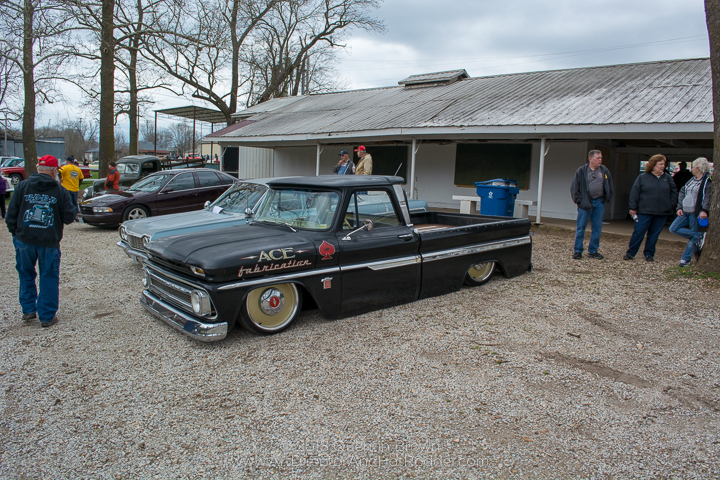 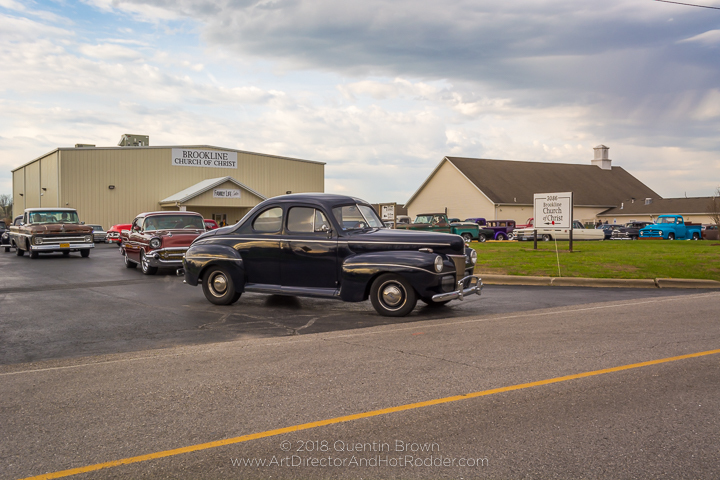 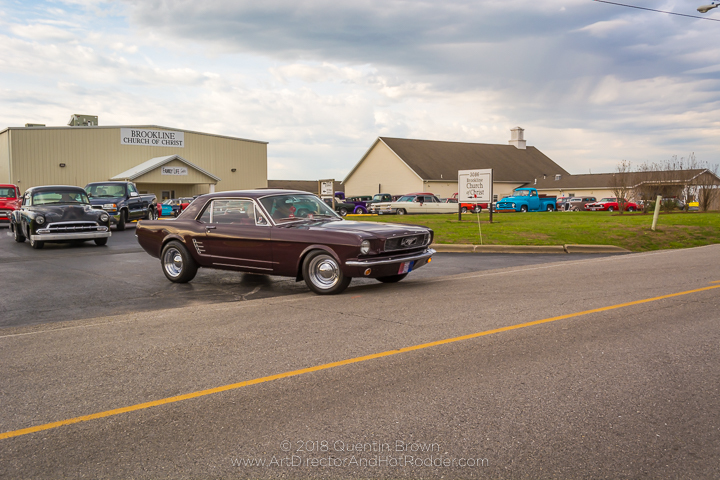 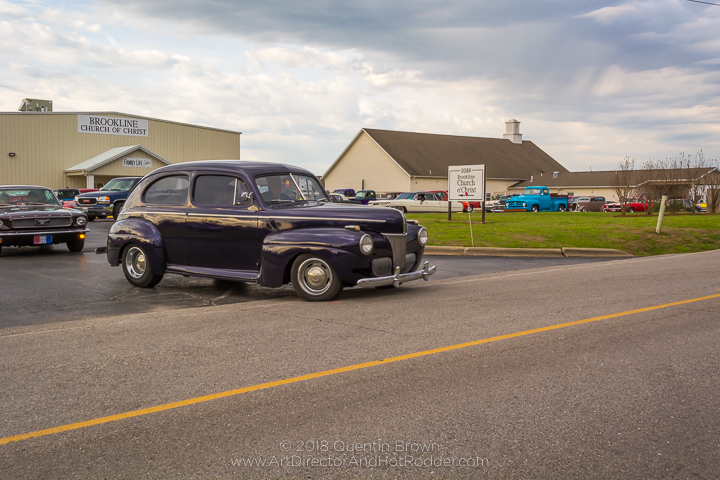 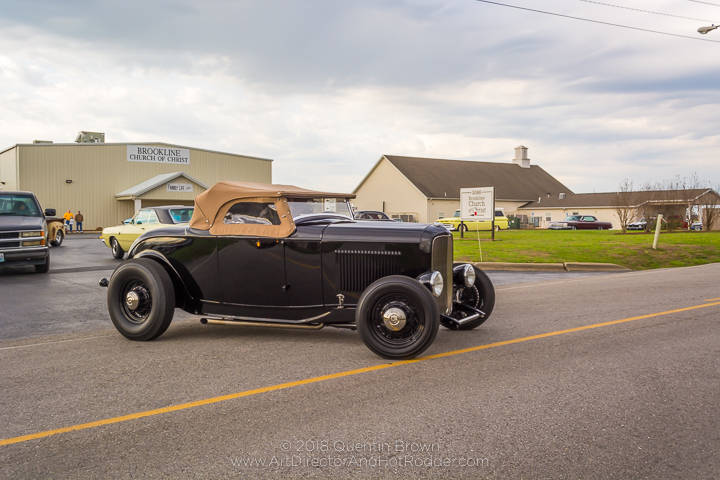 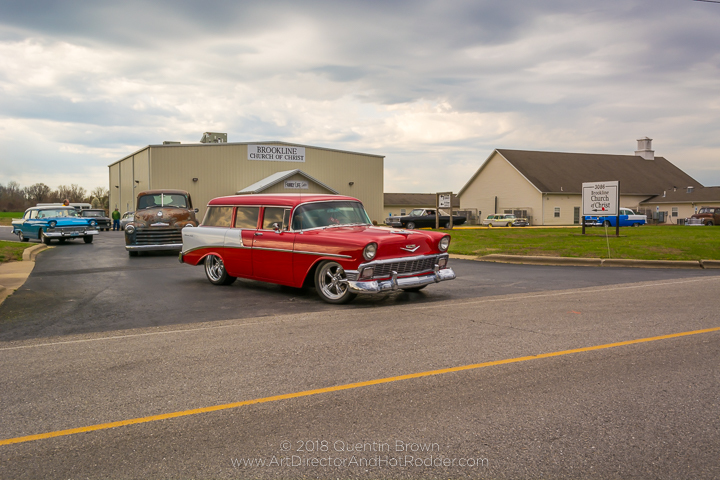 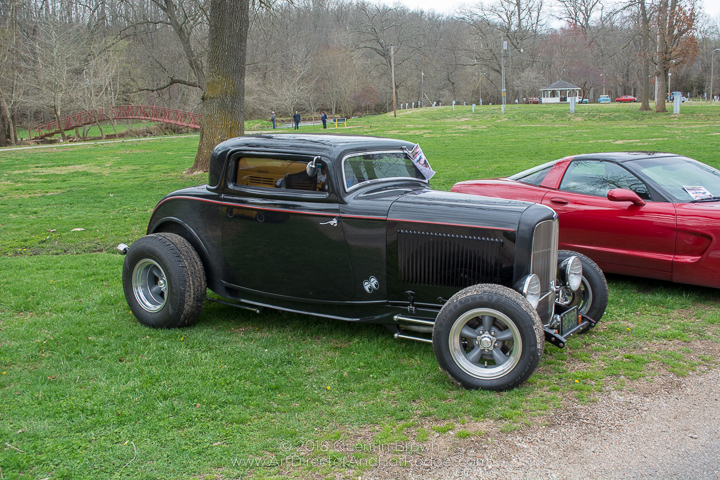 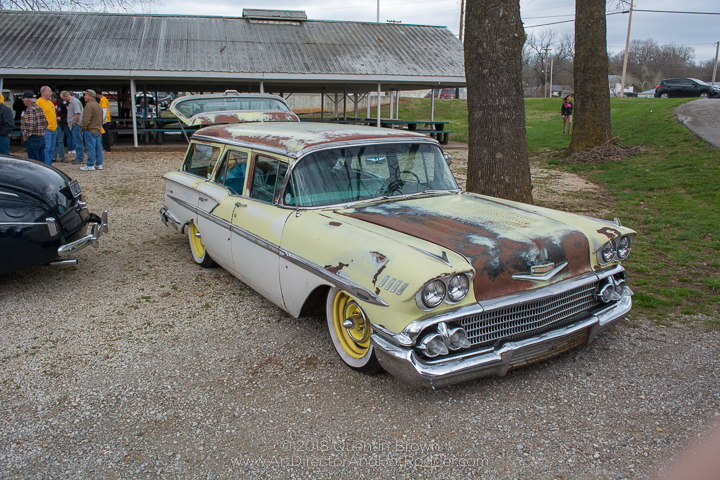 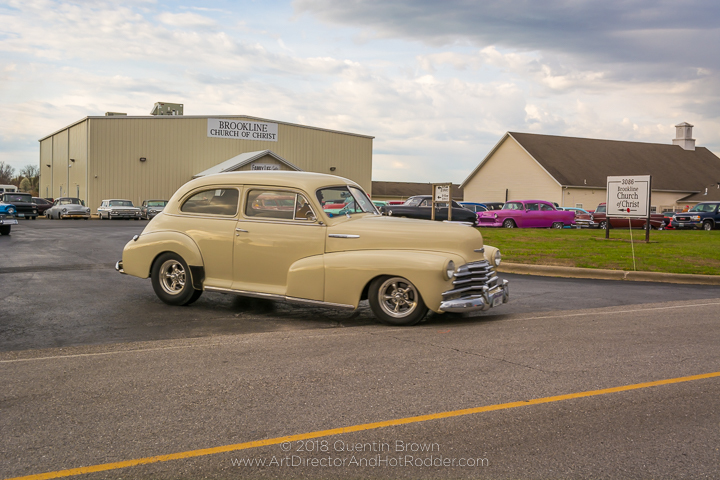 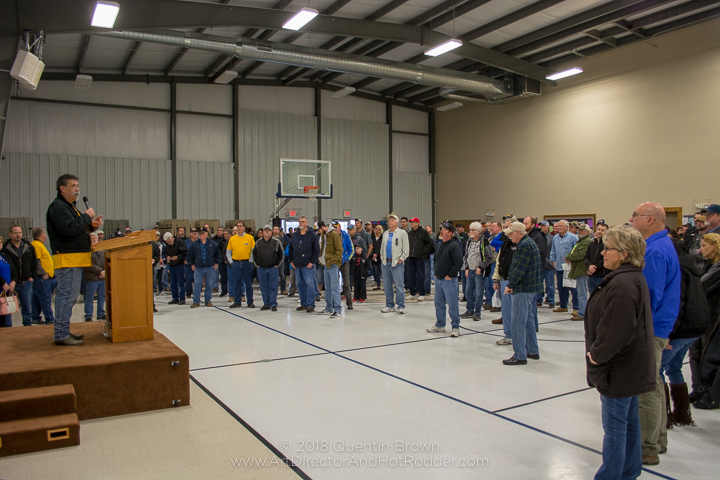 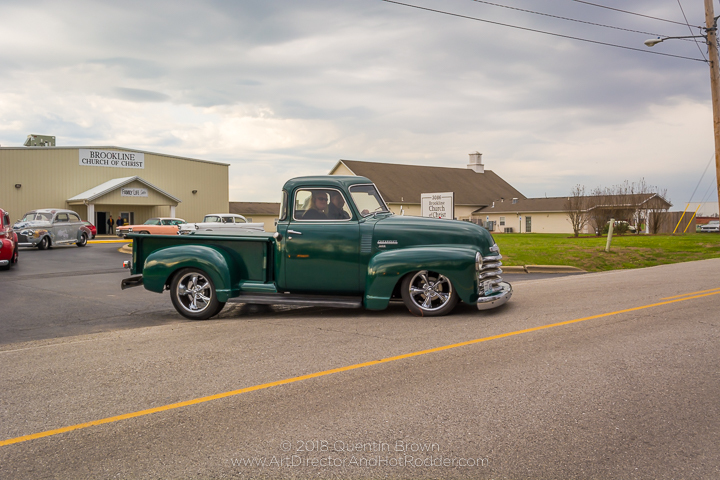 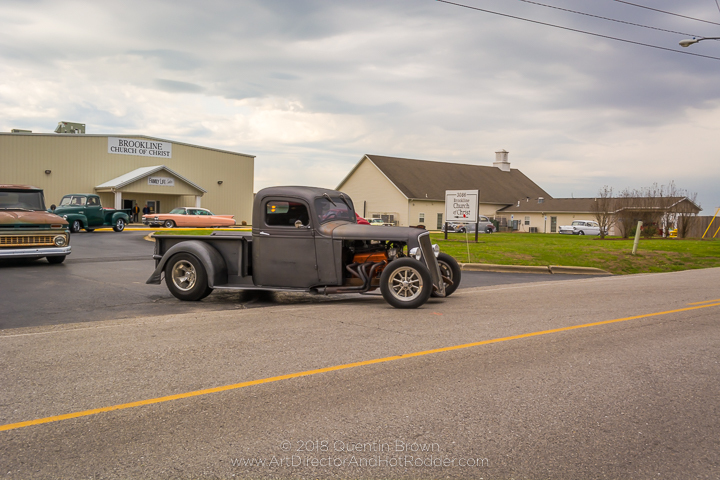 This past weekend was the 5th Annual Southwest Missouri Hot Rod Hundred hosted by the CrossMembers Car Club. 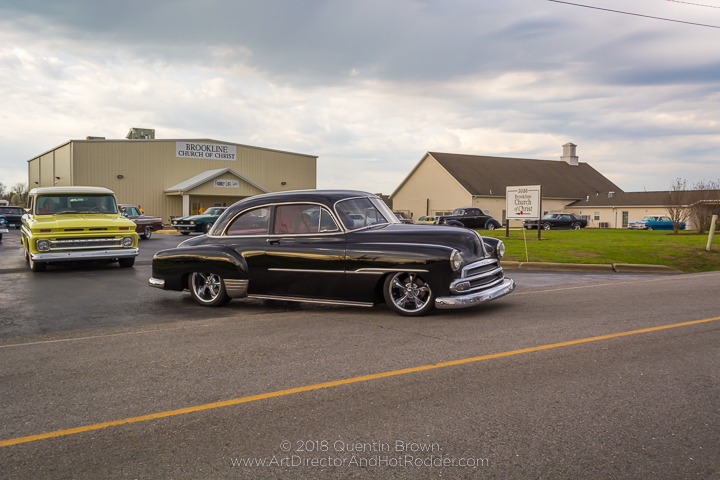 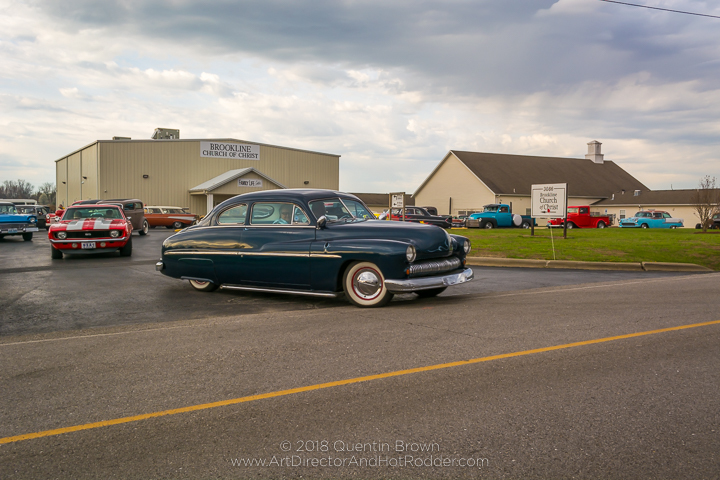 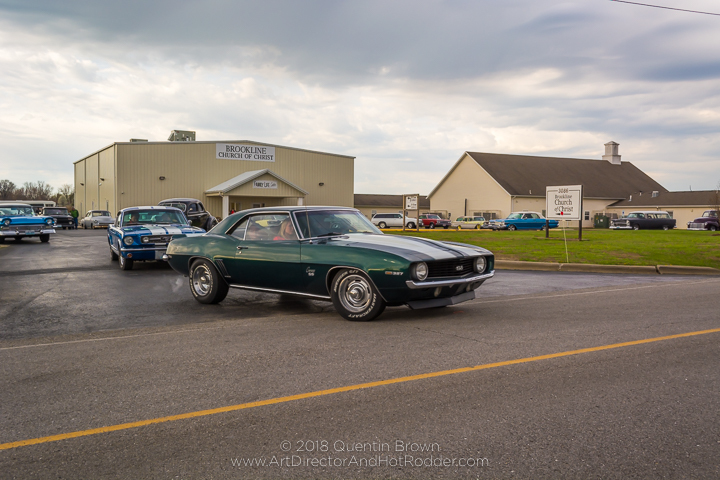 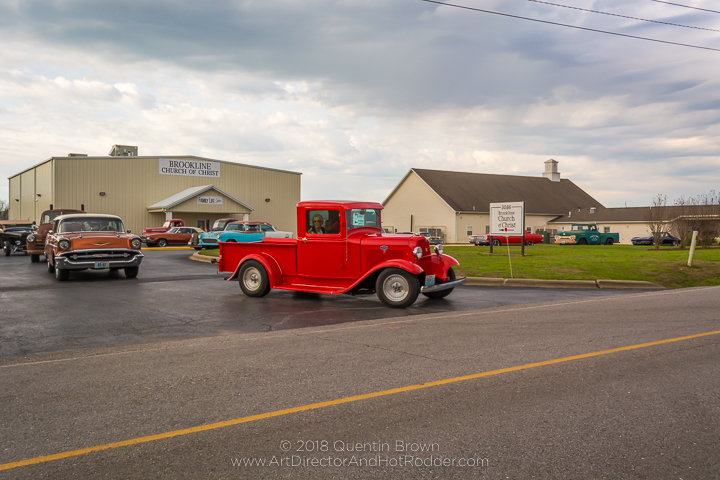 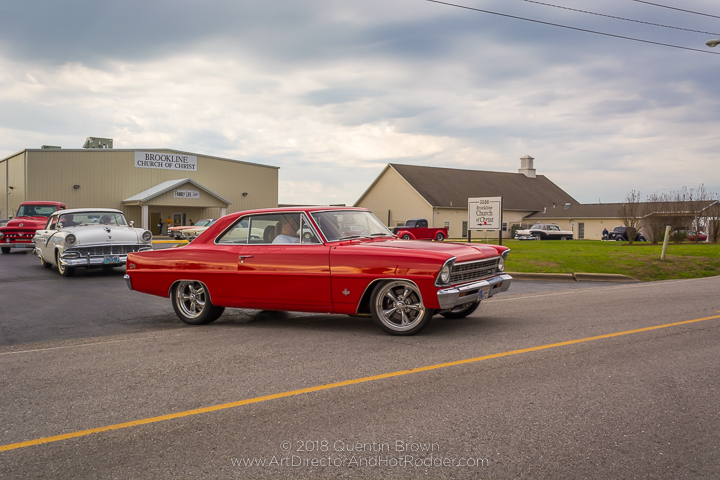 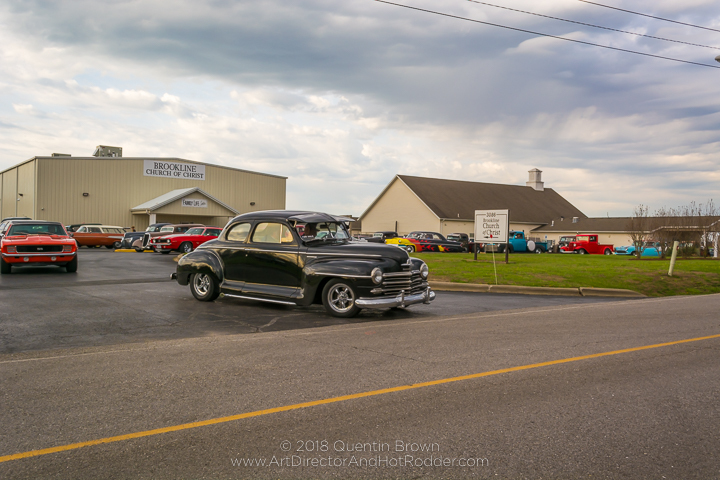 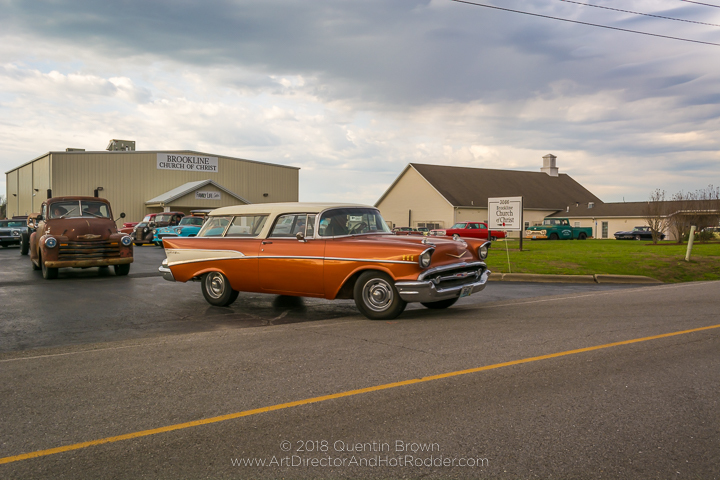 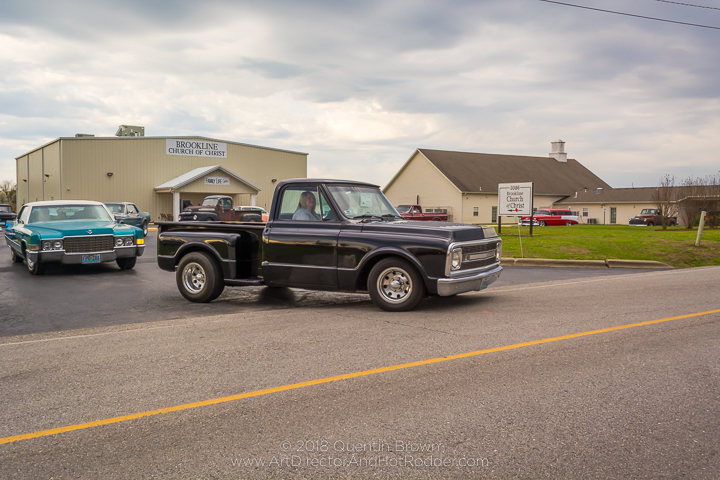 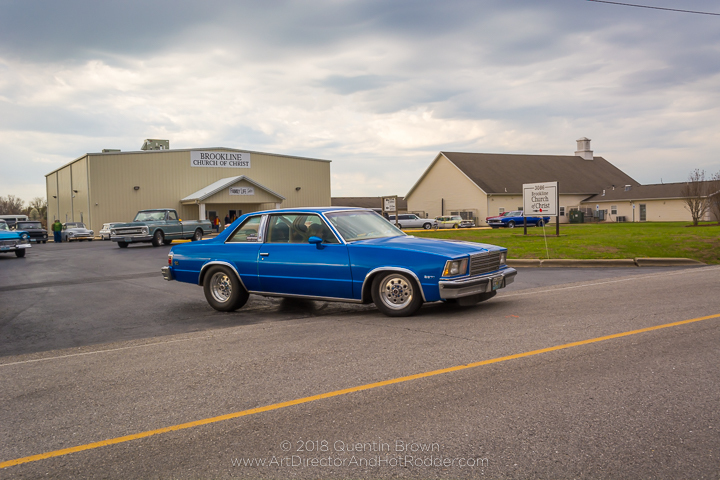 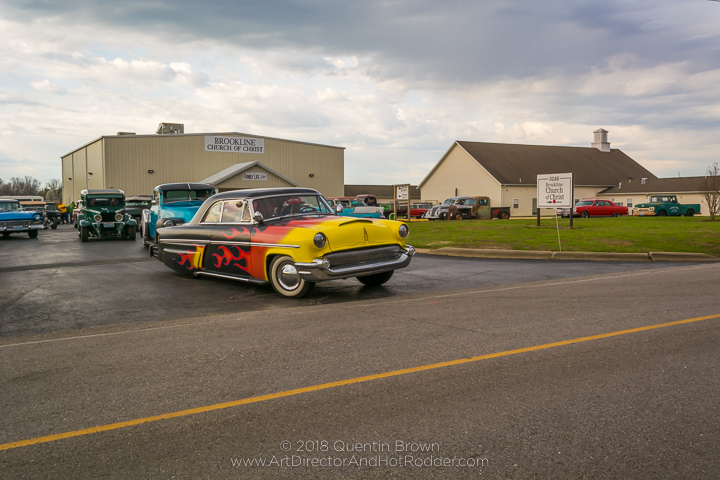 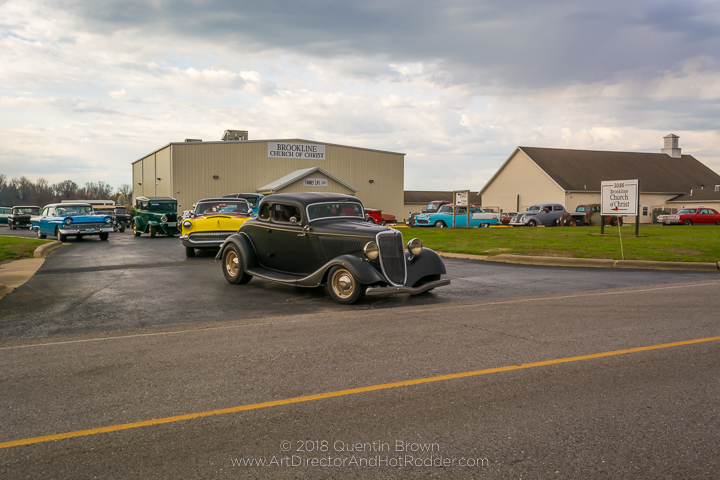 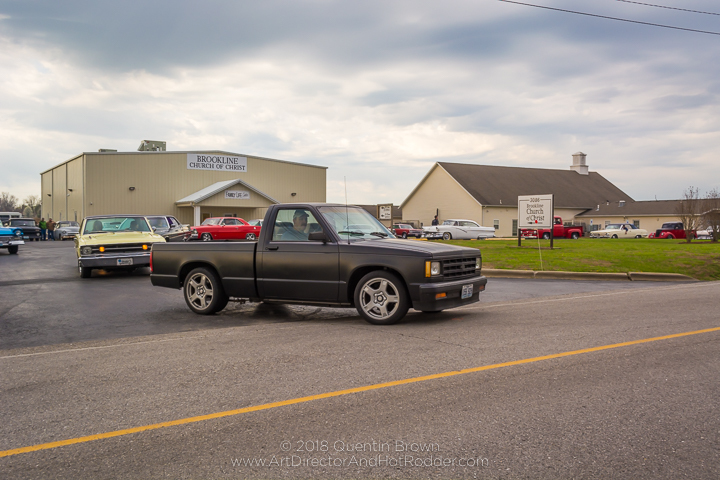 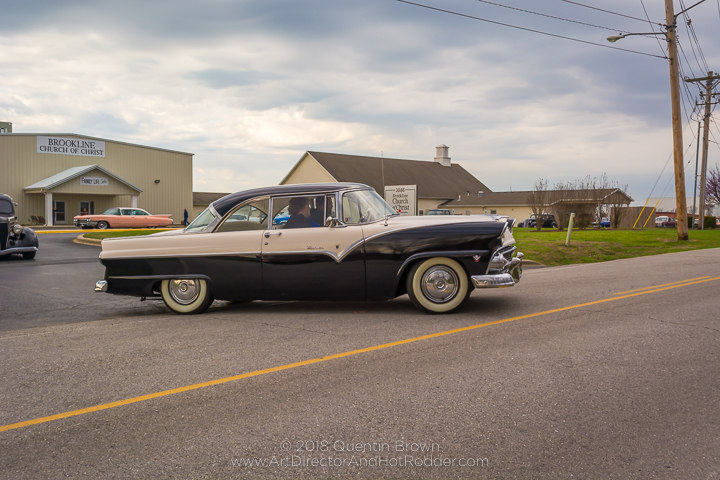 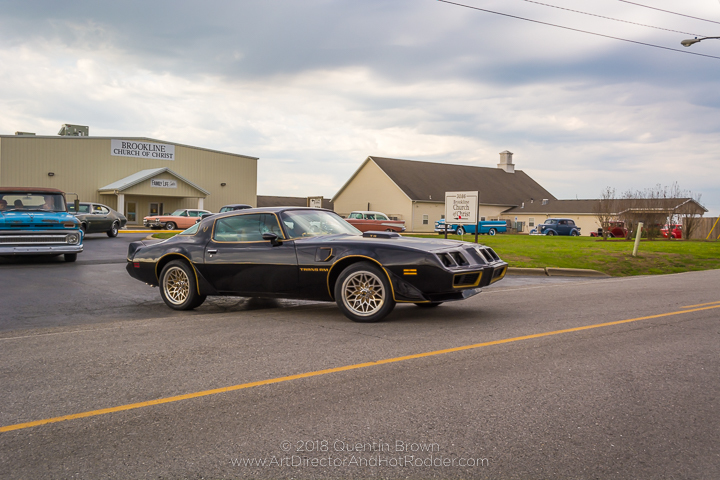 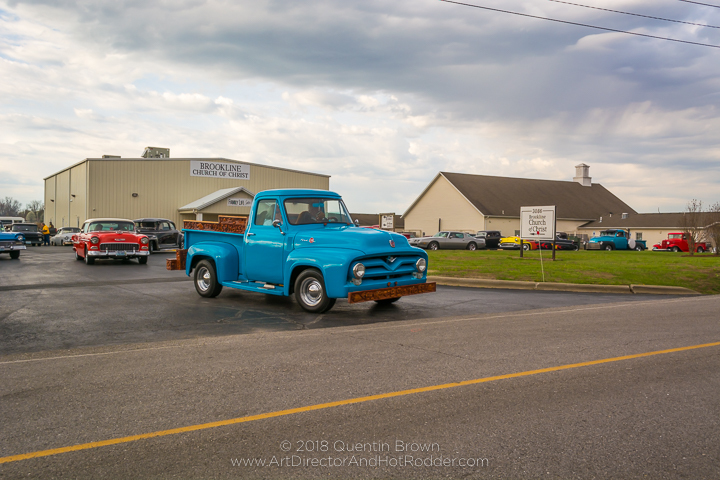 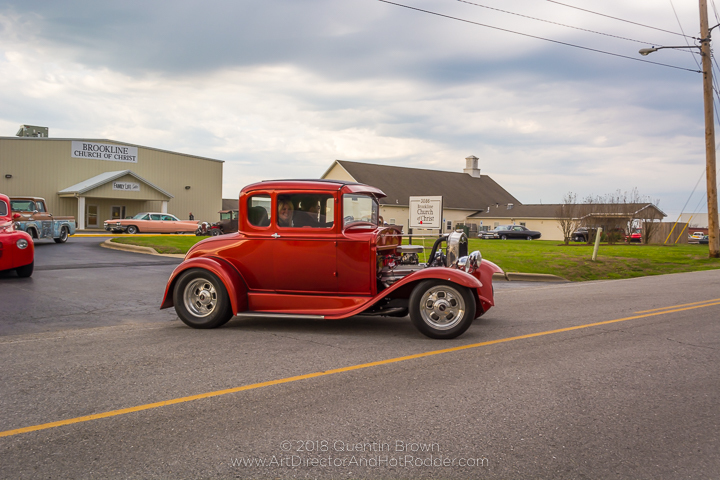 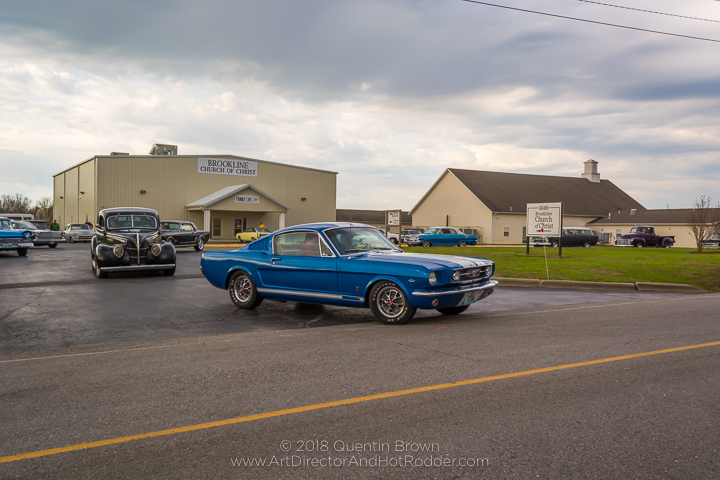 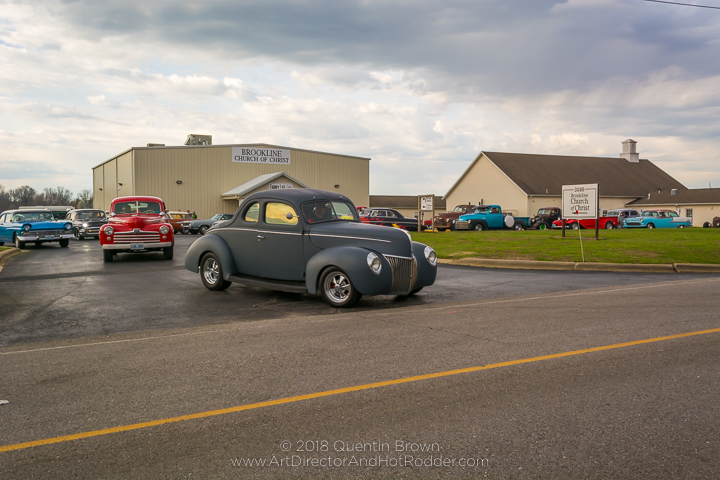 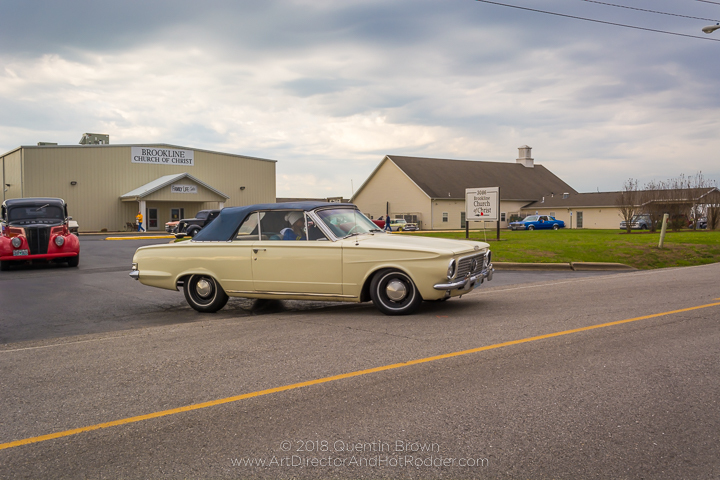 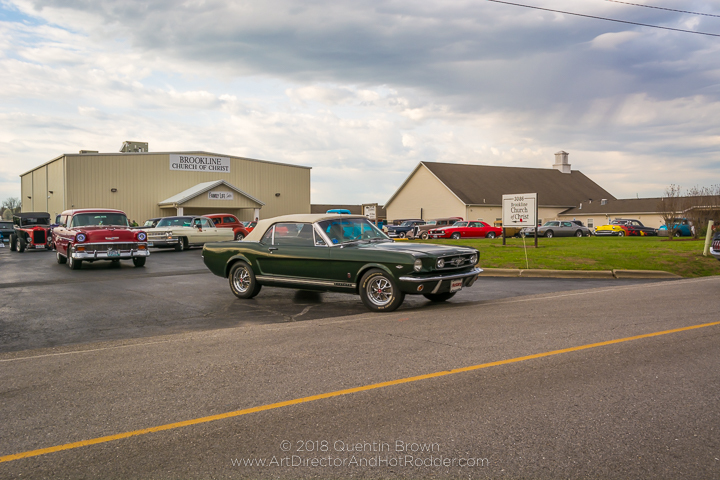 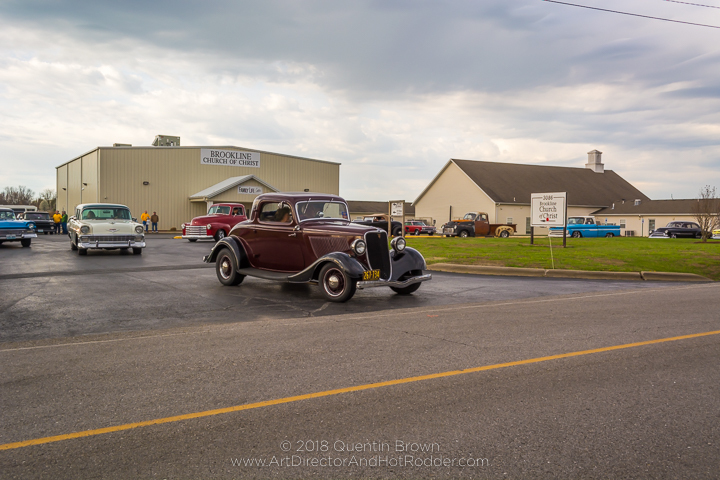 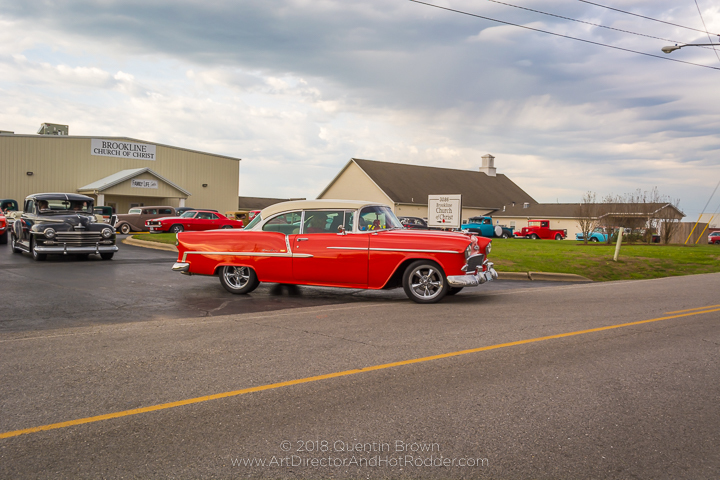 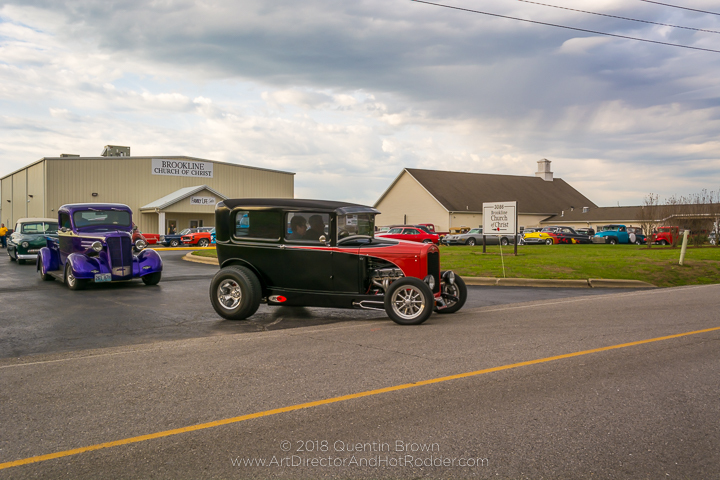 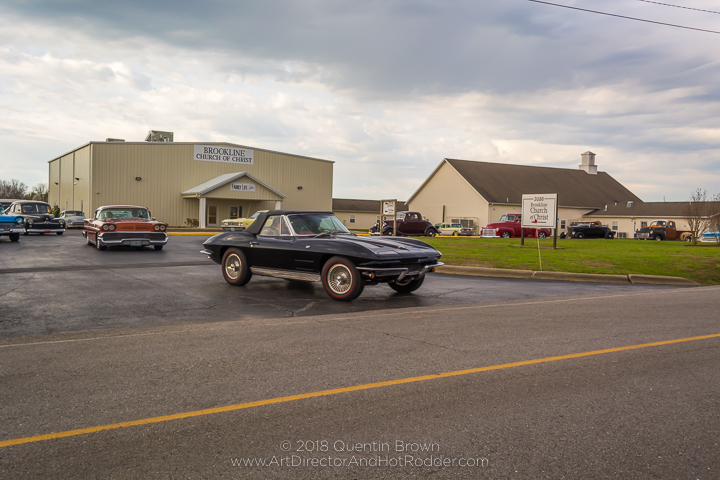 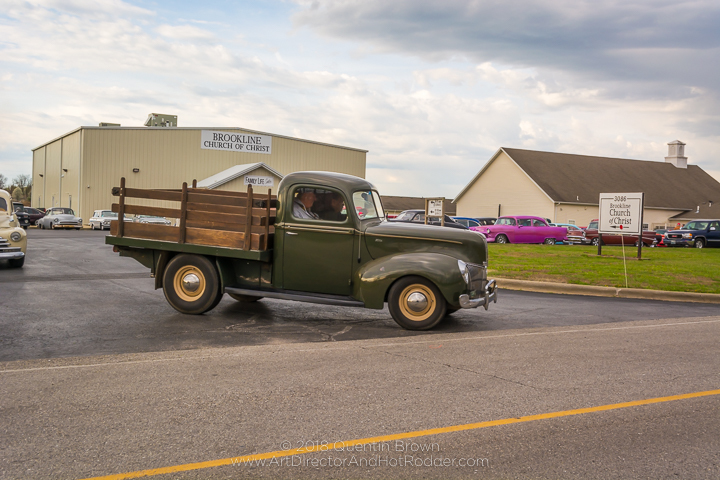 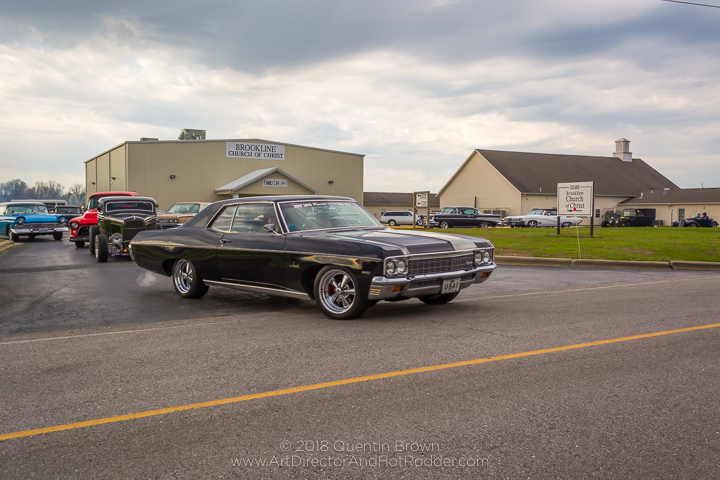 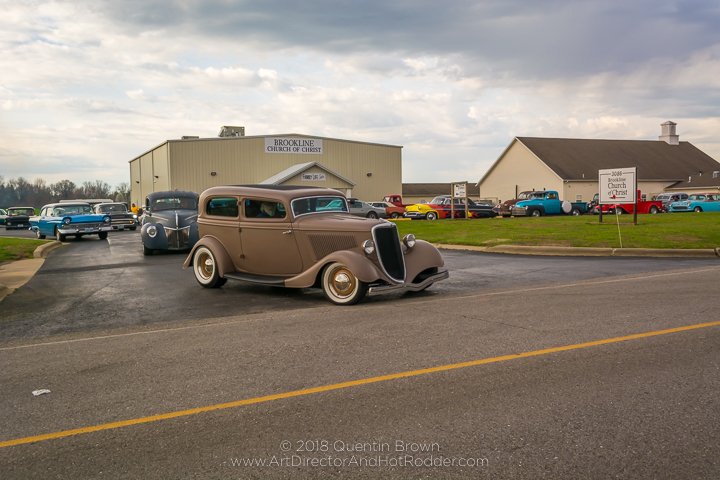 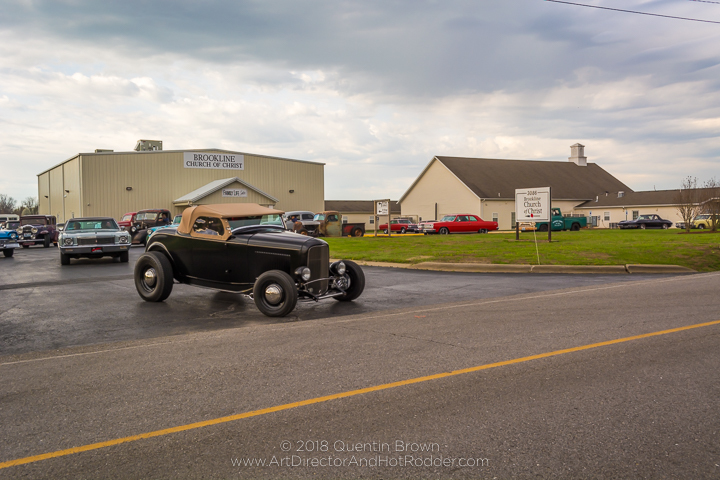 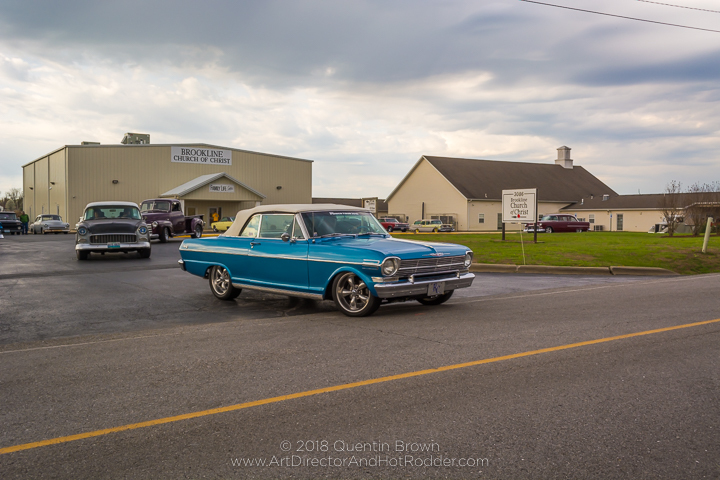 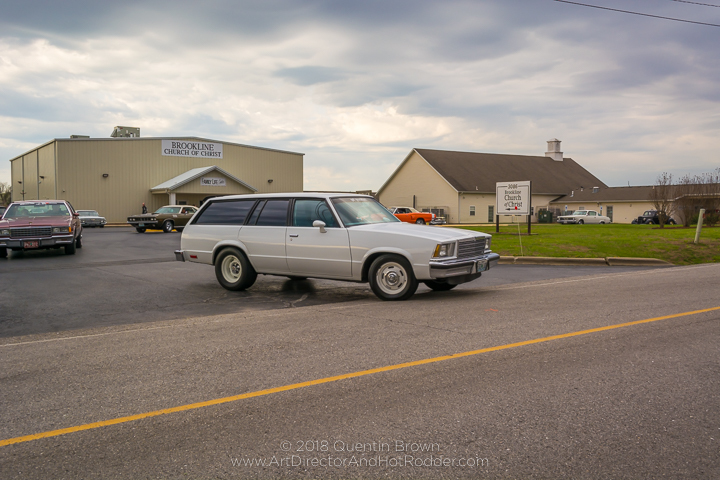 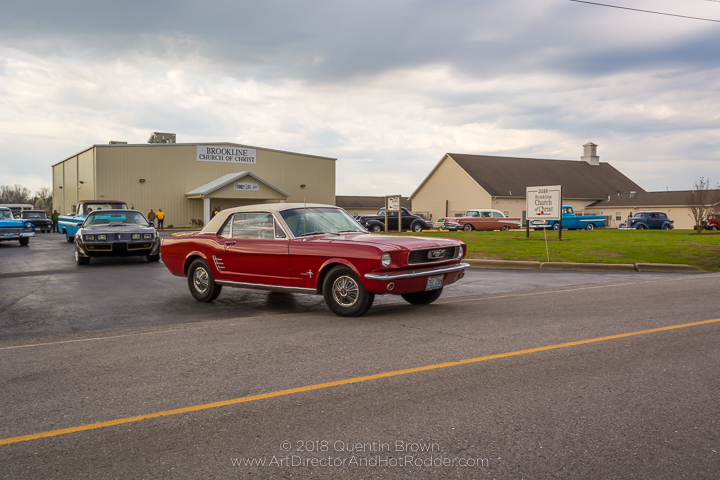 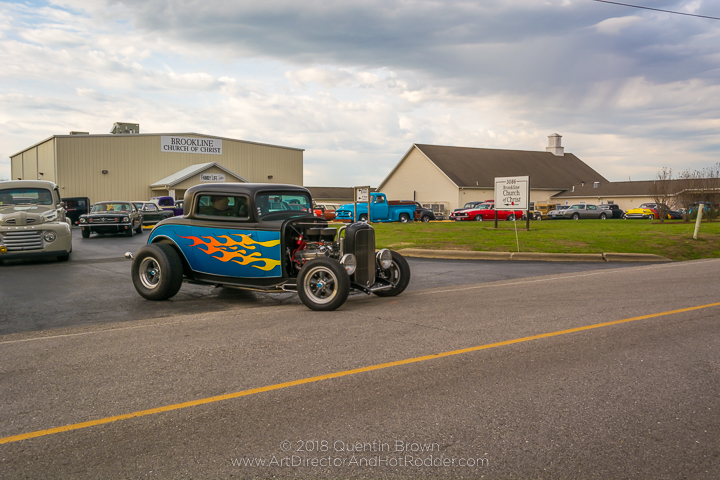 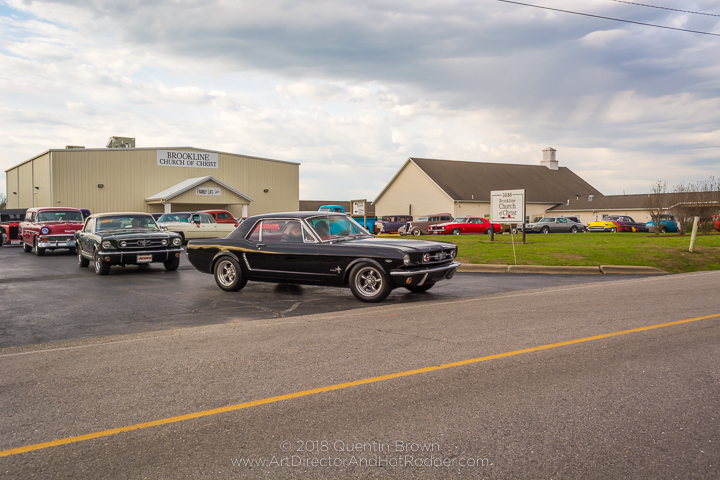 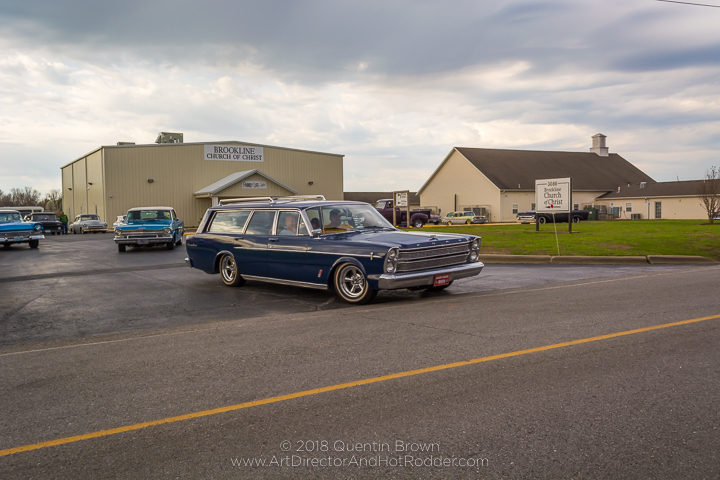 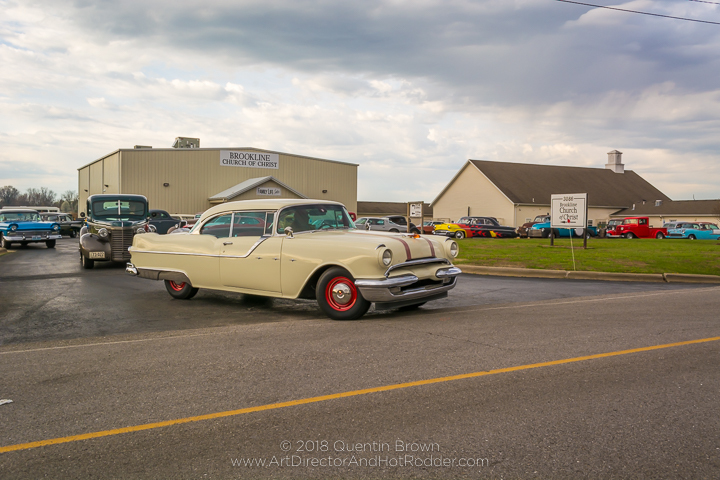 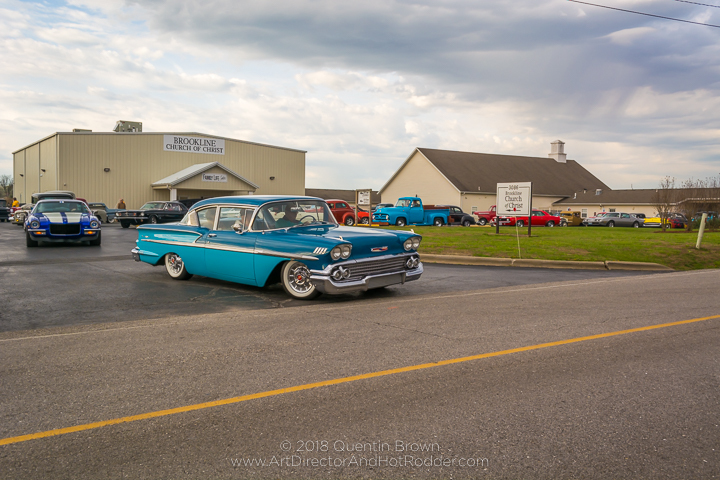 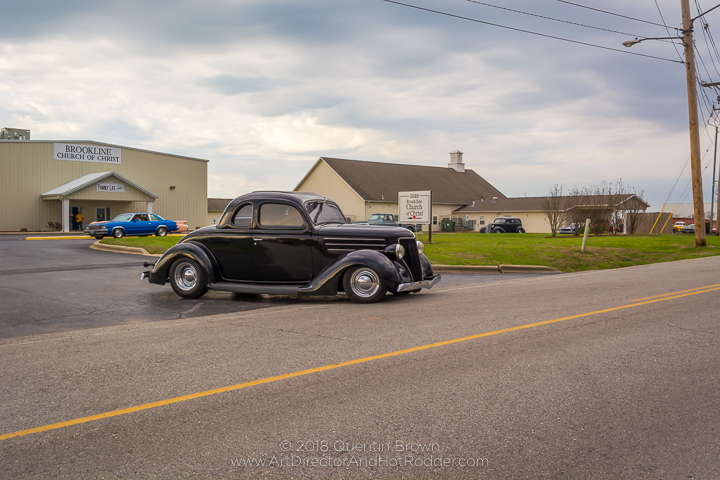 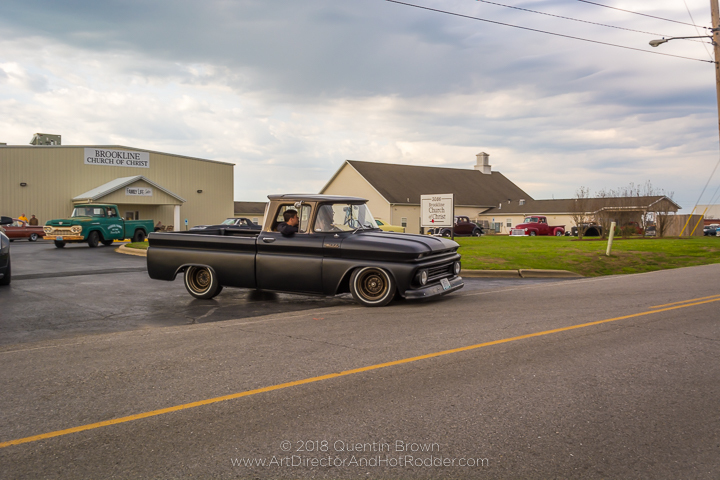 All week the weather forecast called for rain, which I was afraid would impact attendance for this year’s Hot Rod Hundred, but then on the day of the event the rain held off for the most part and we were able to go on a great drive. 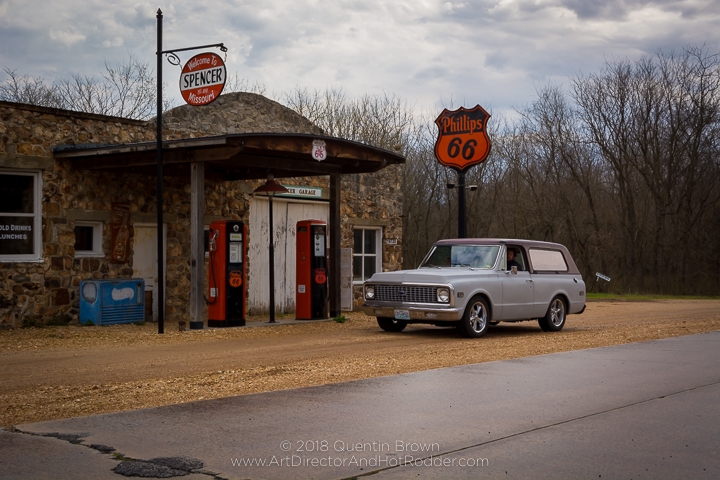 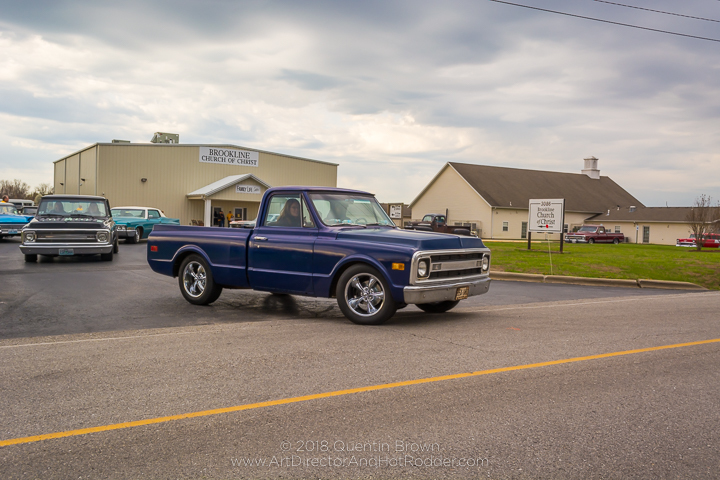 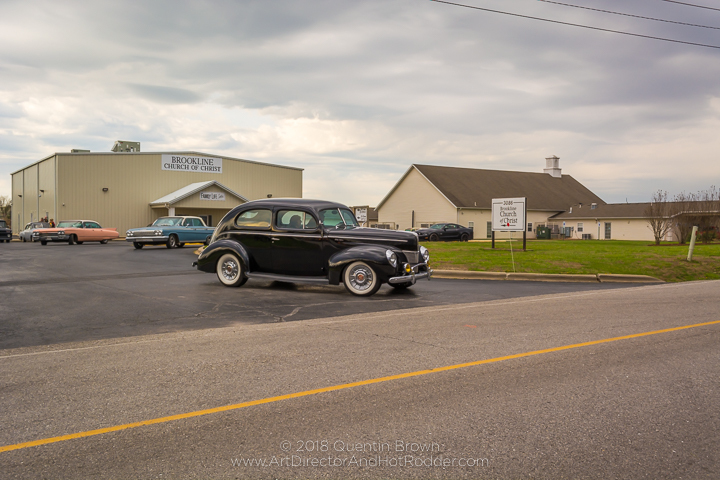 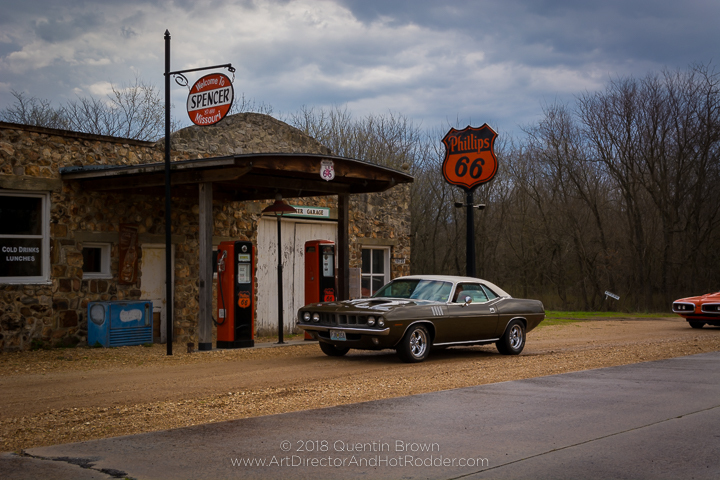 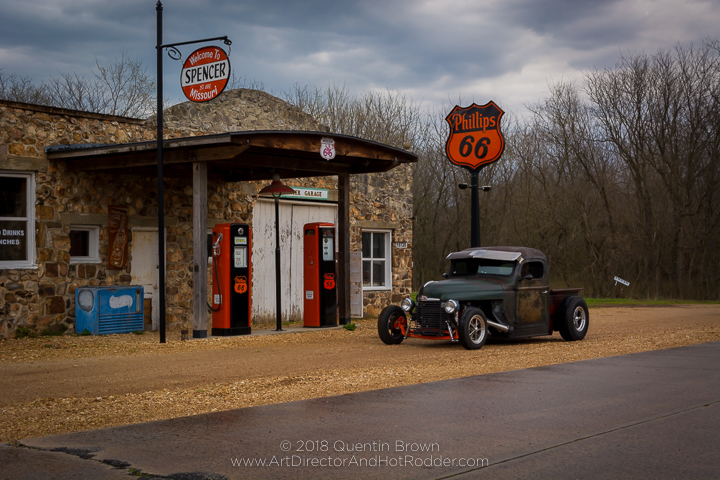 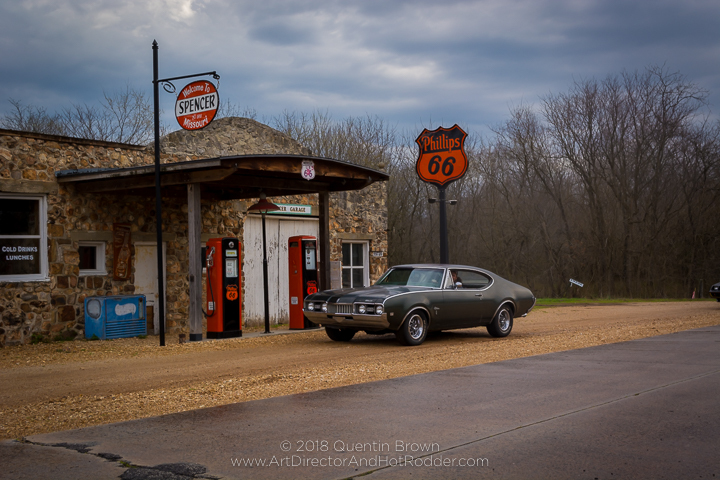 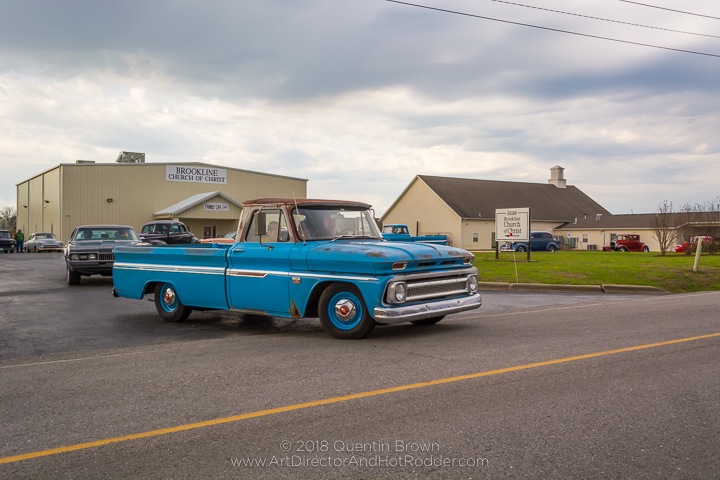 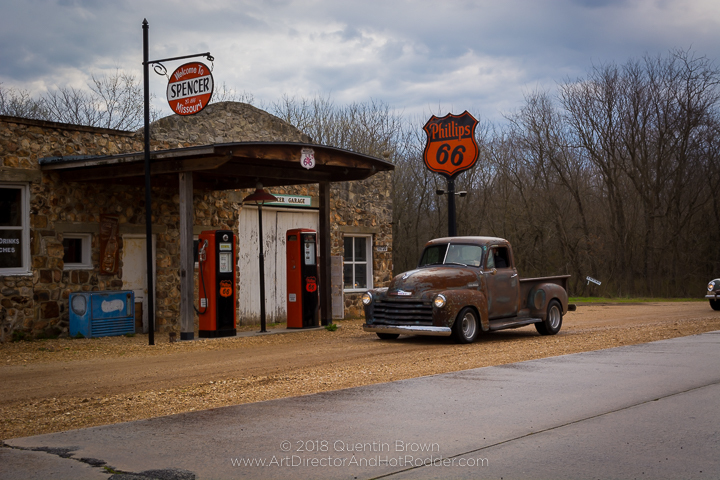 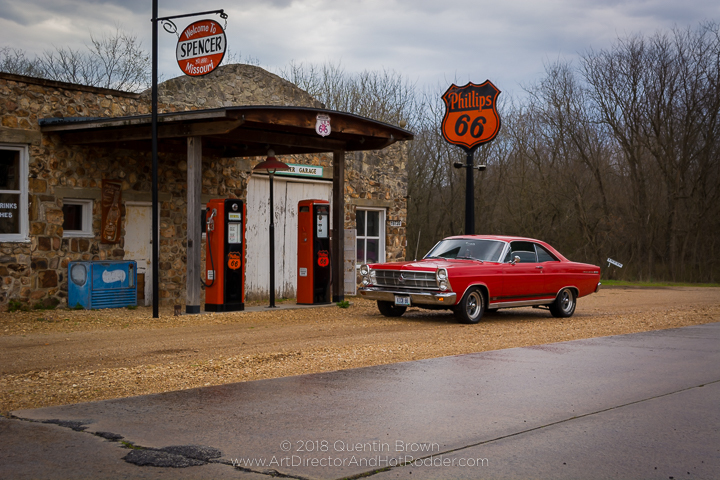 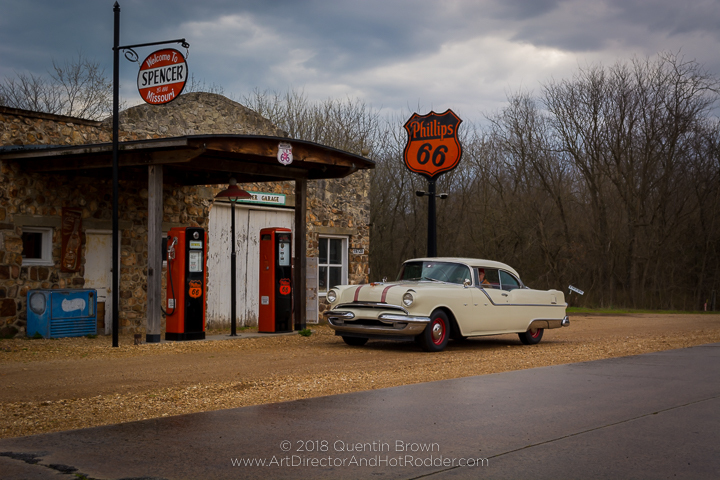 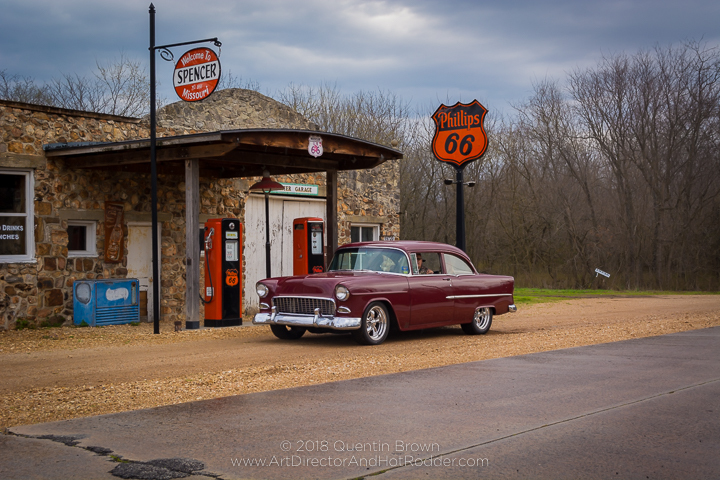 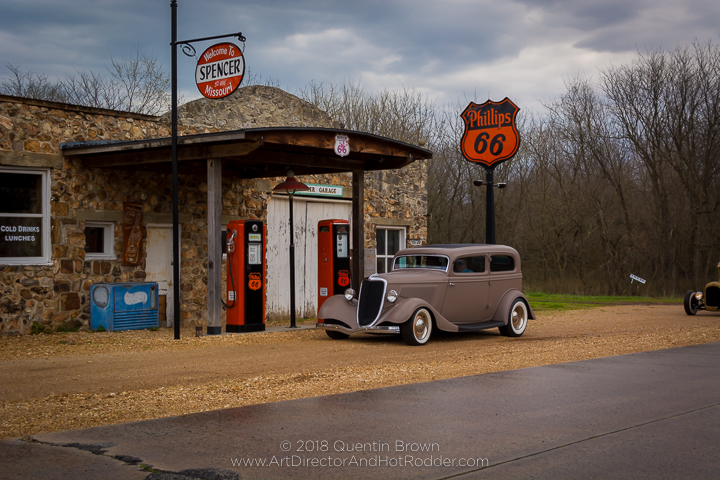 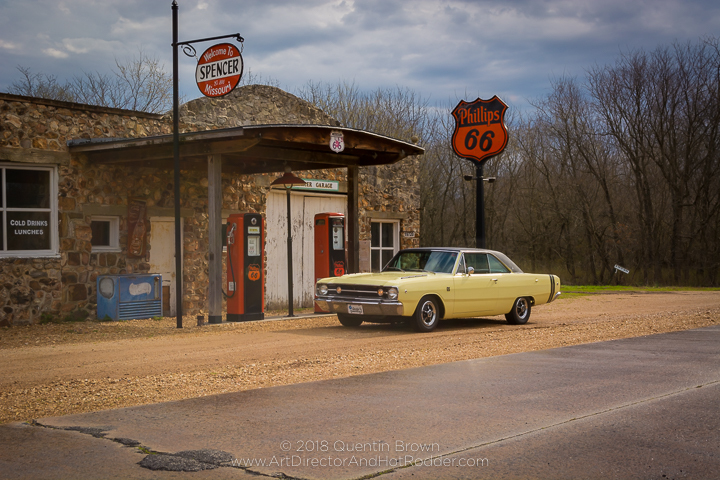 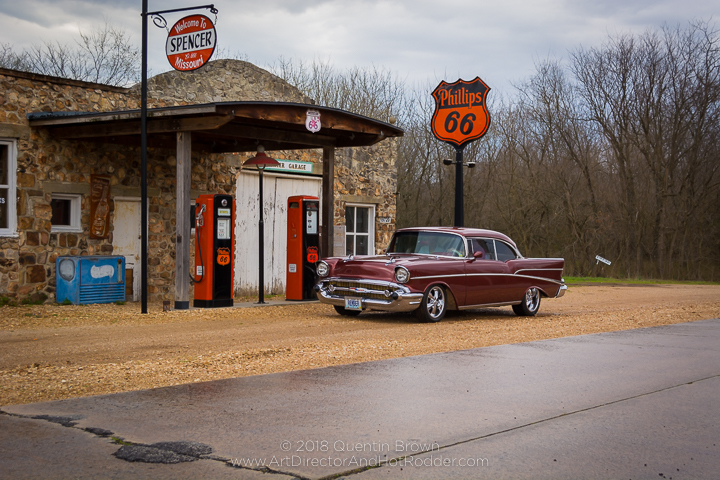 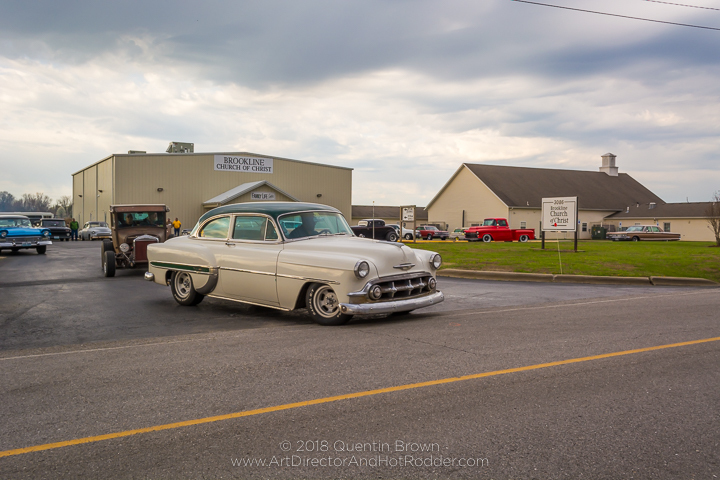 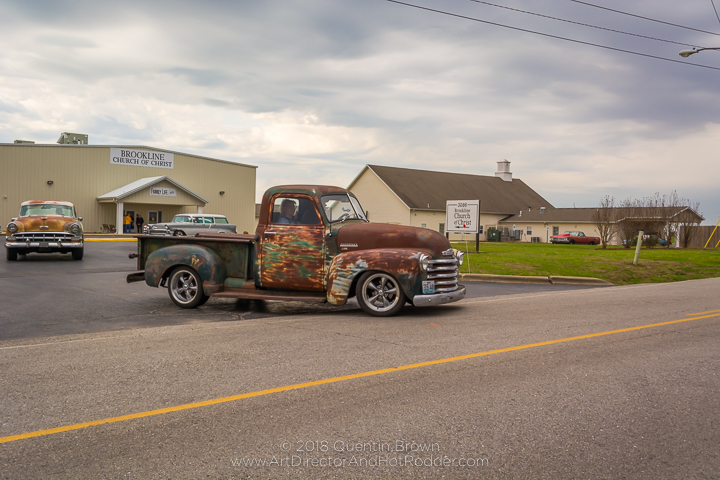 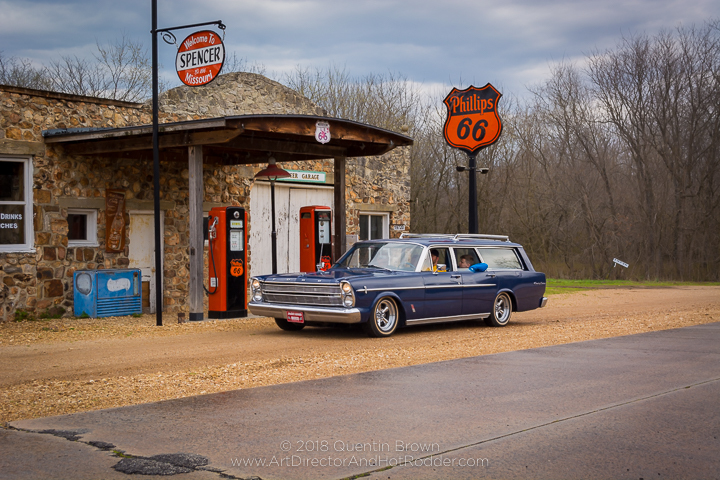 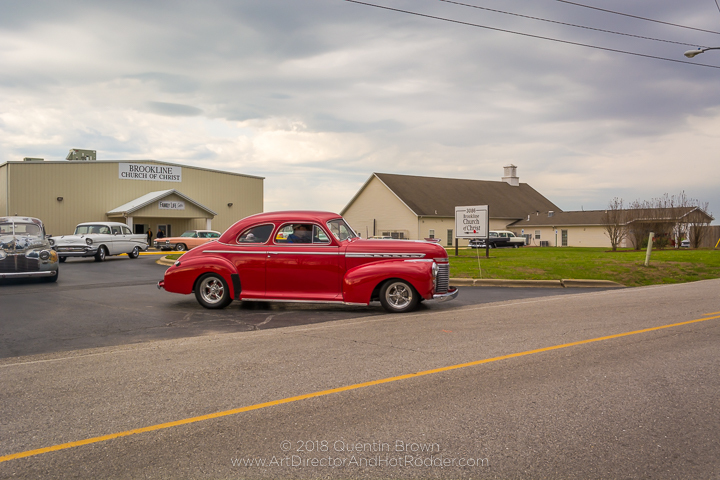 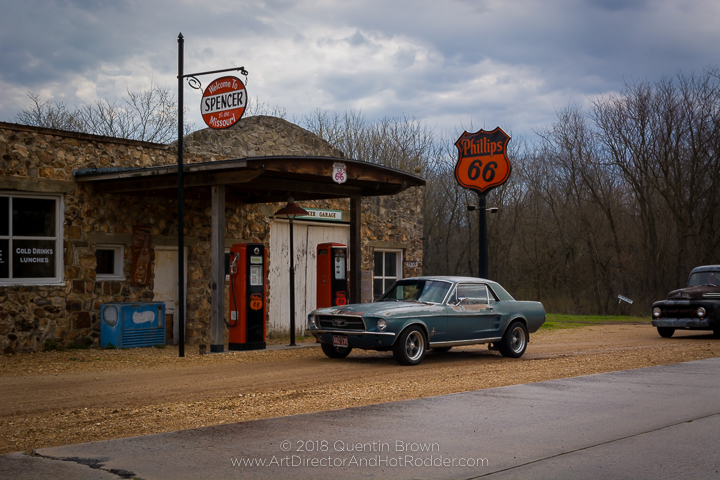 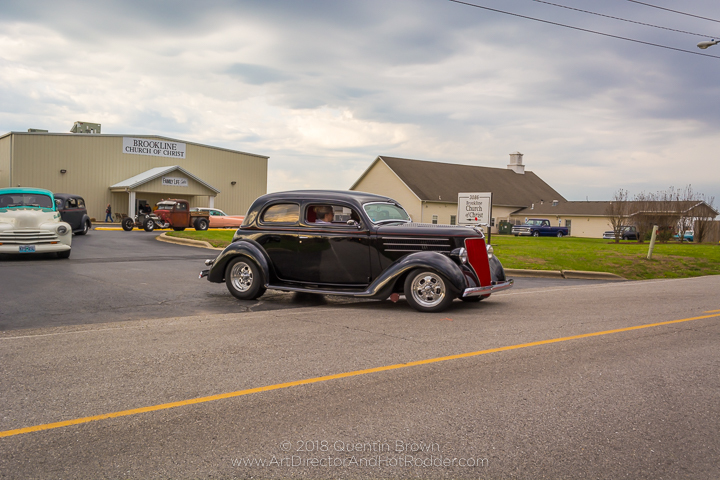 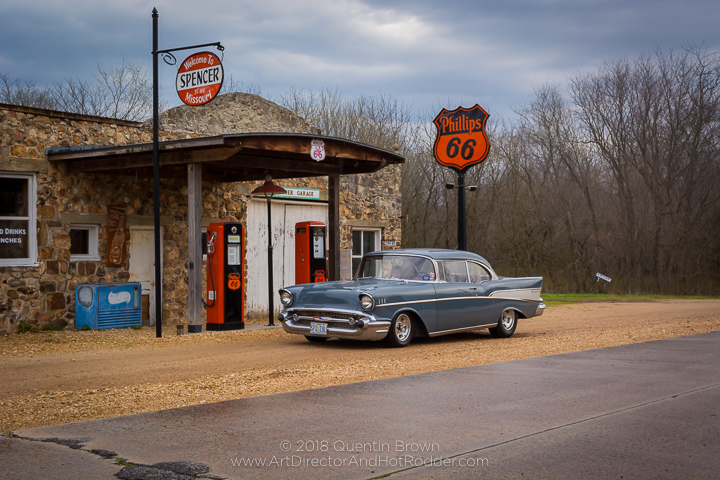 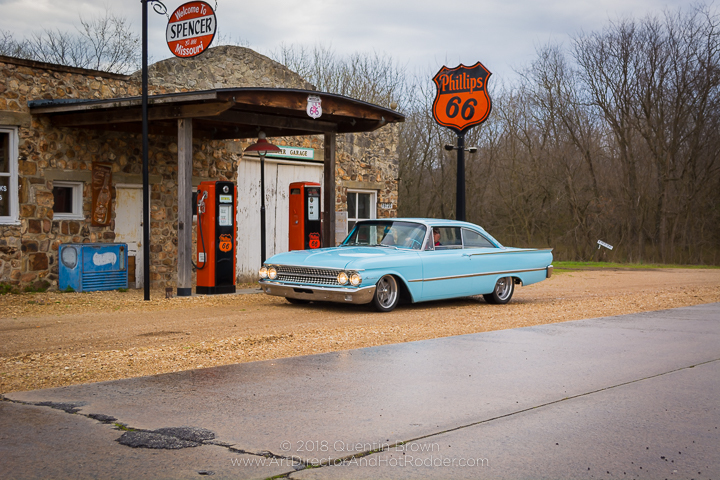 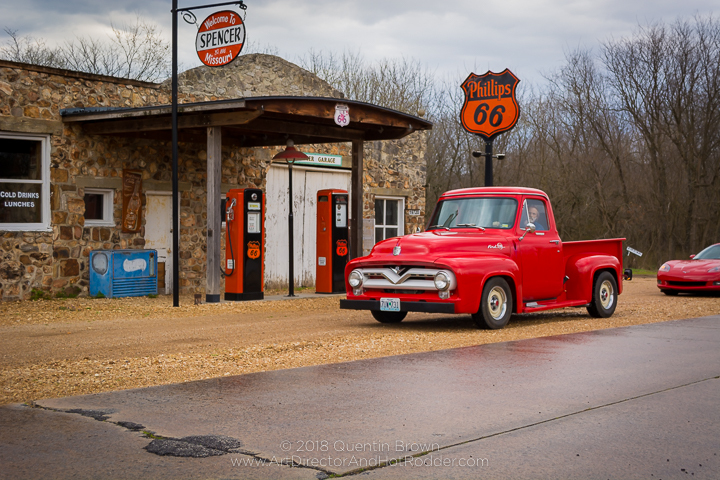 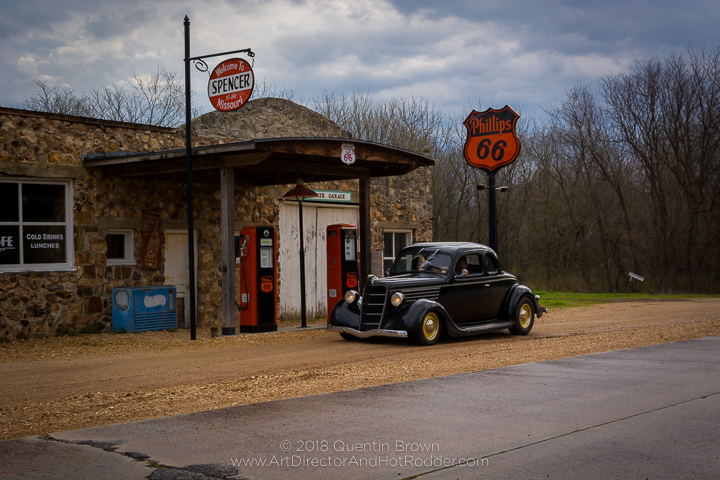 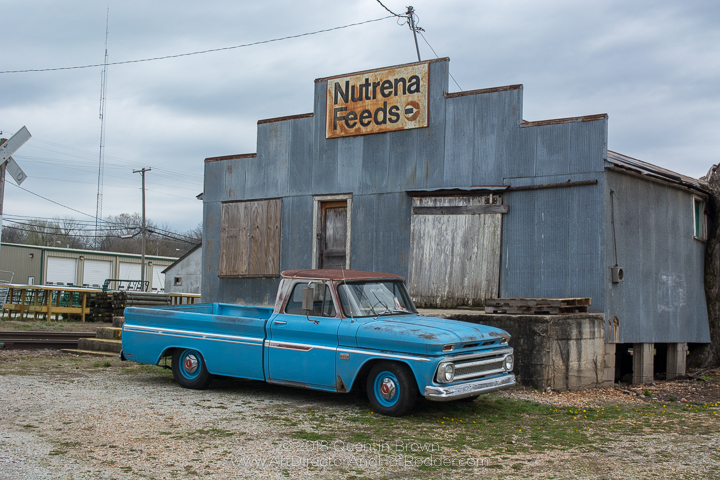 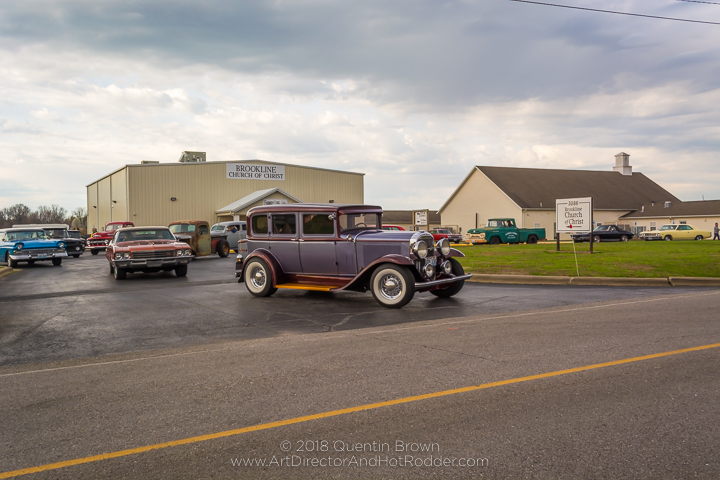 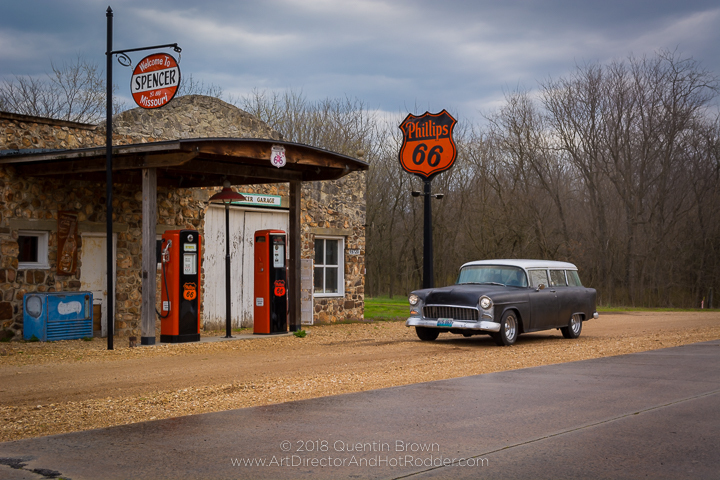 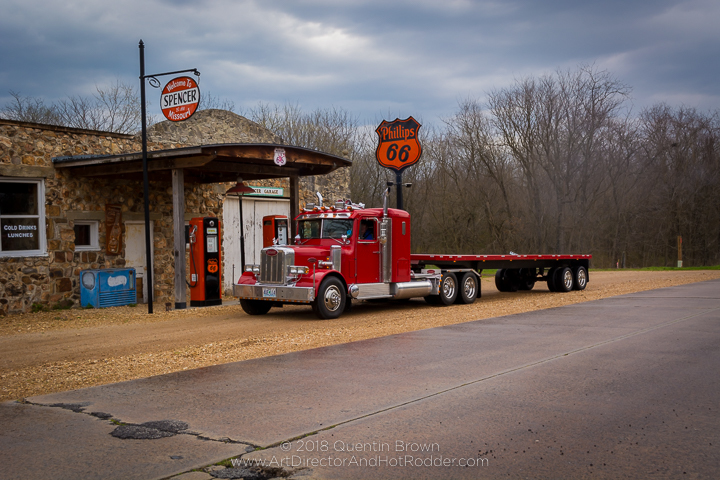 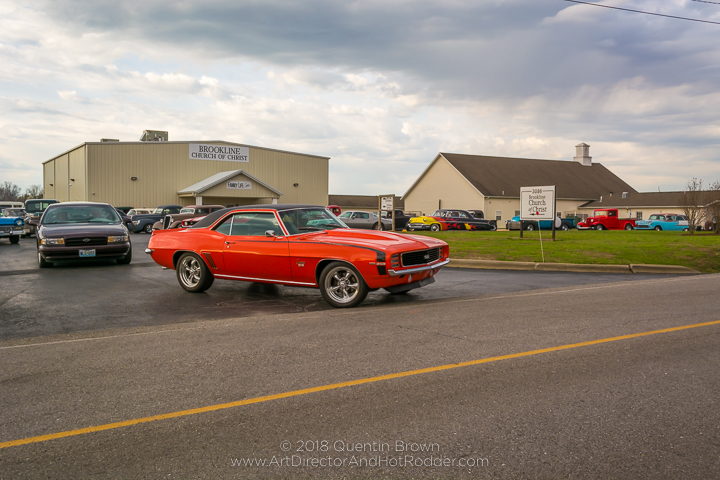 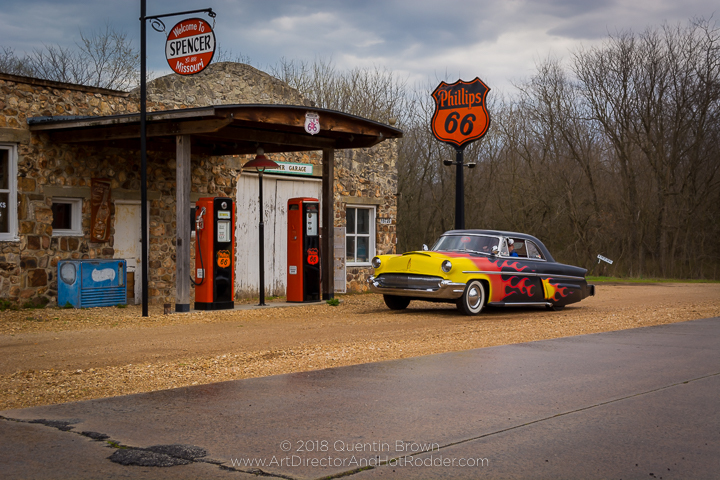 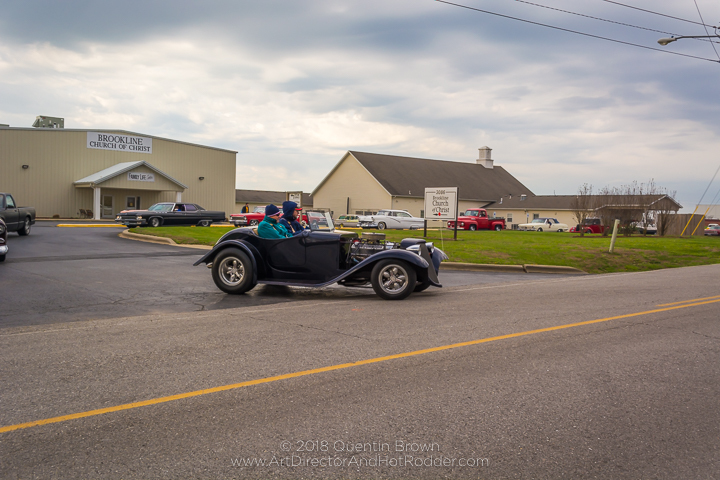 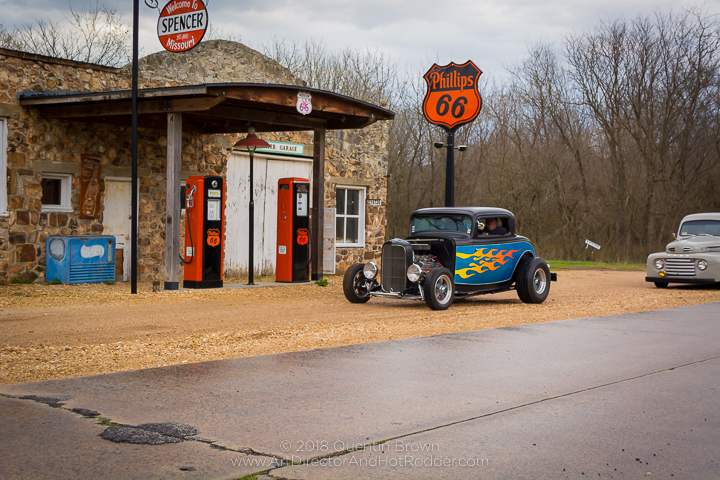 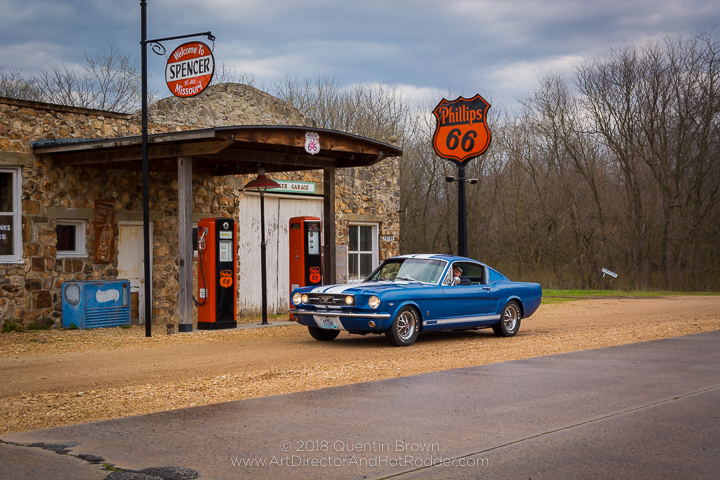 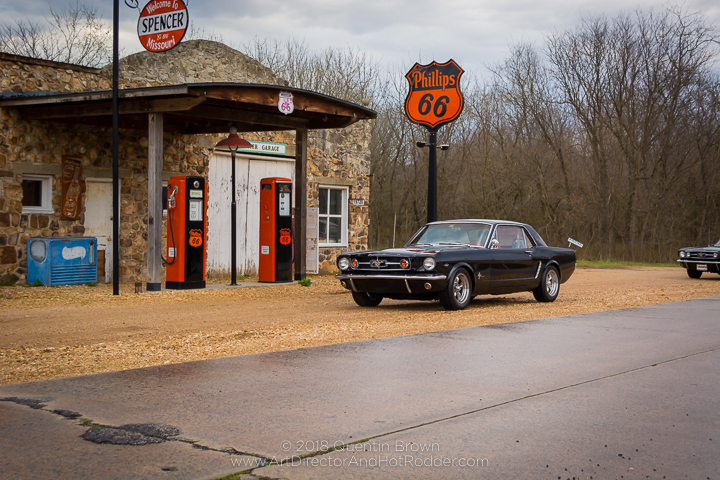 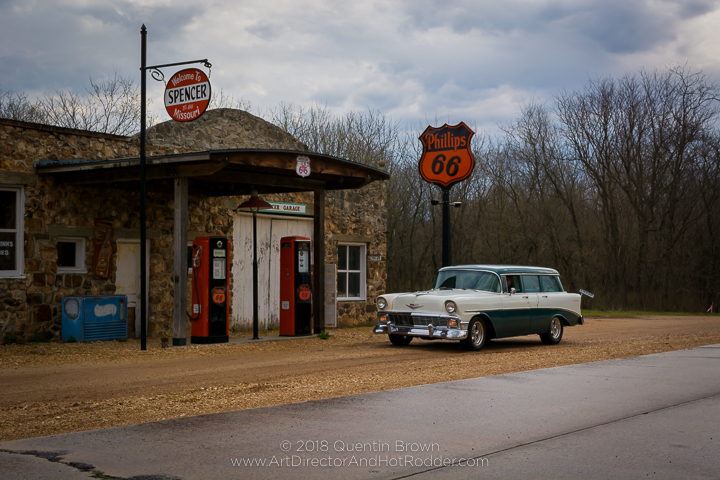 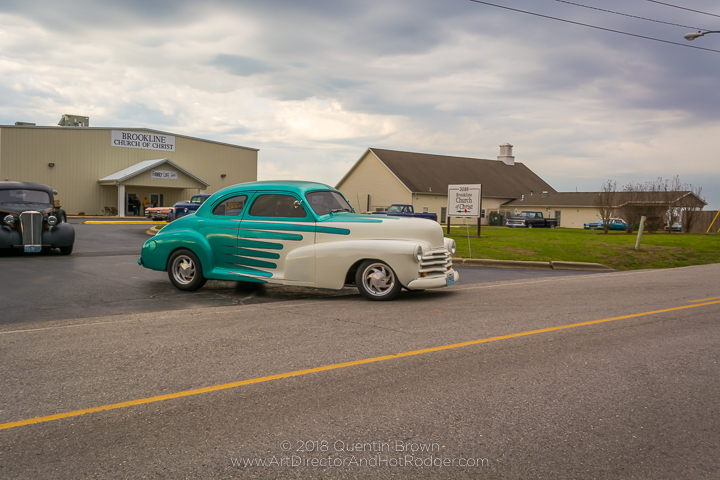 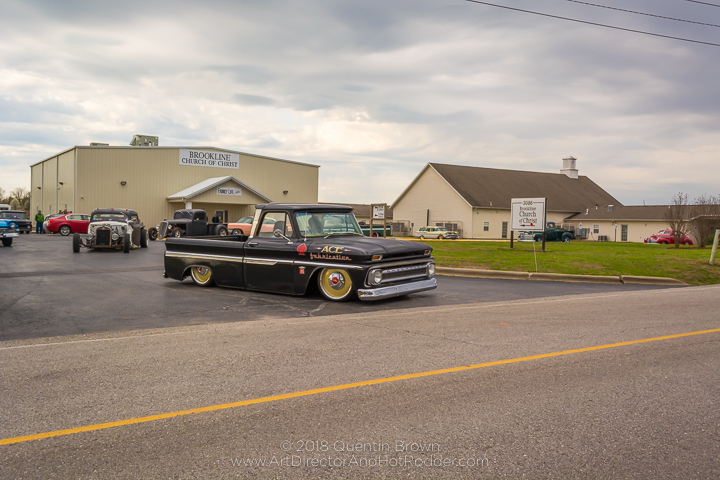 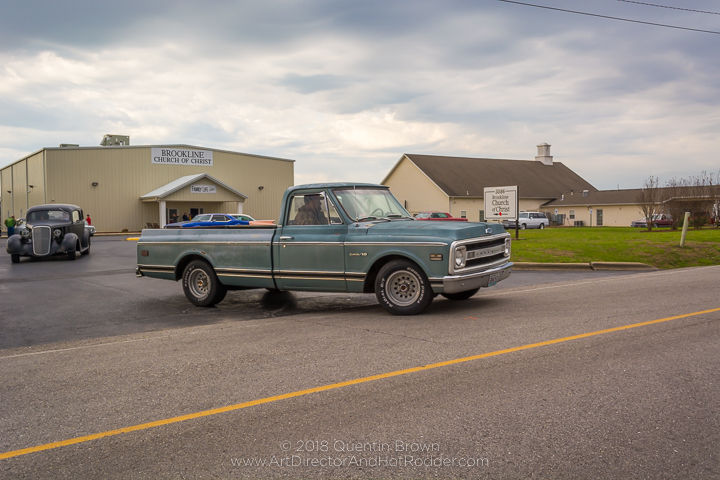 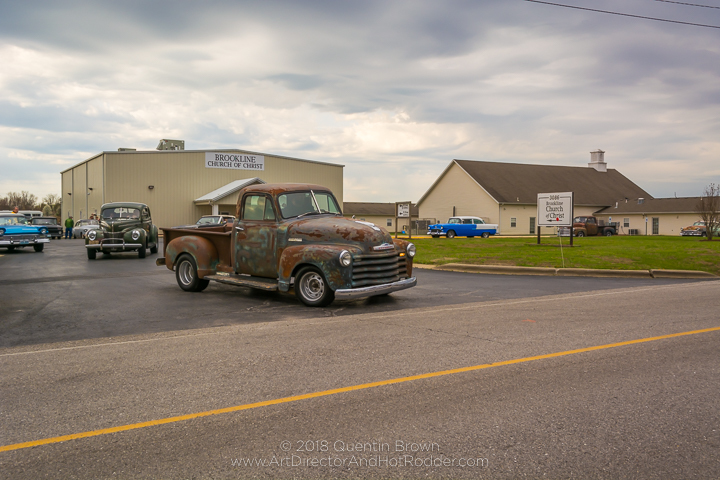 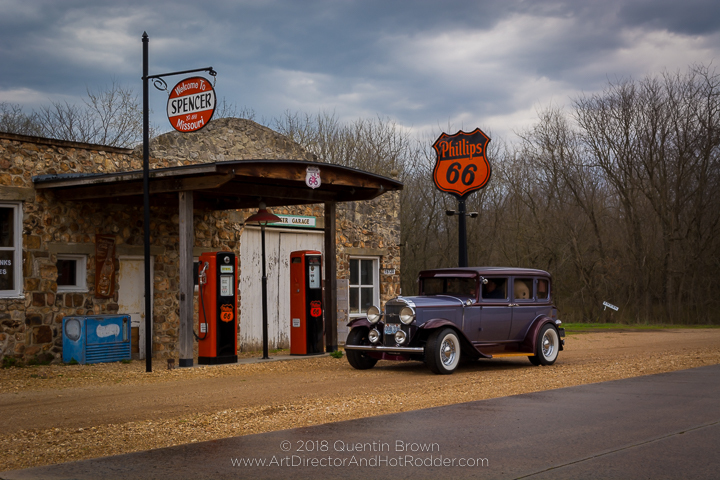 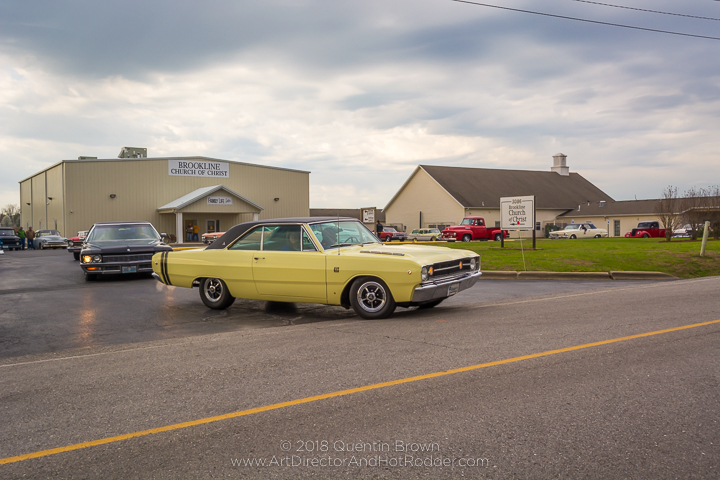 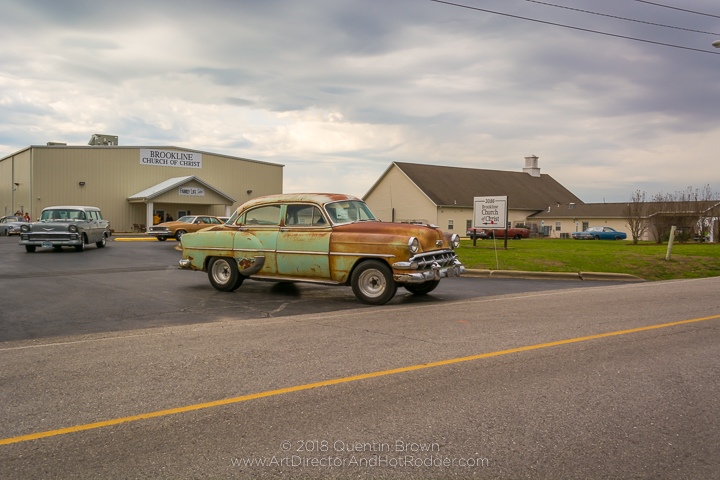 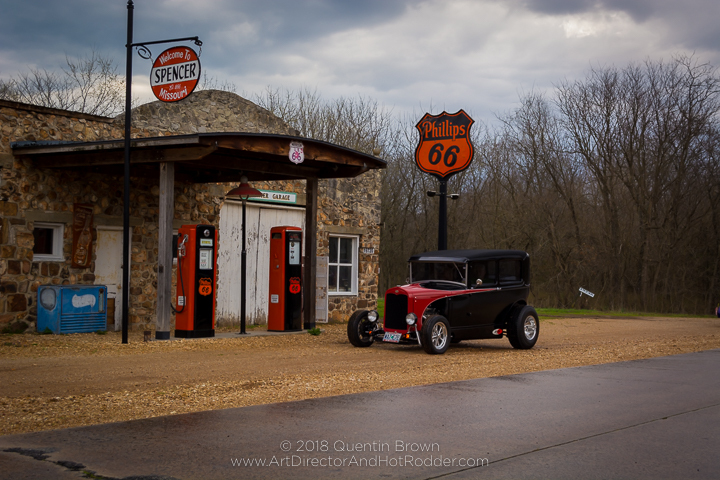 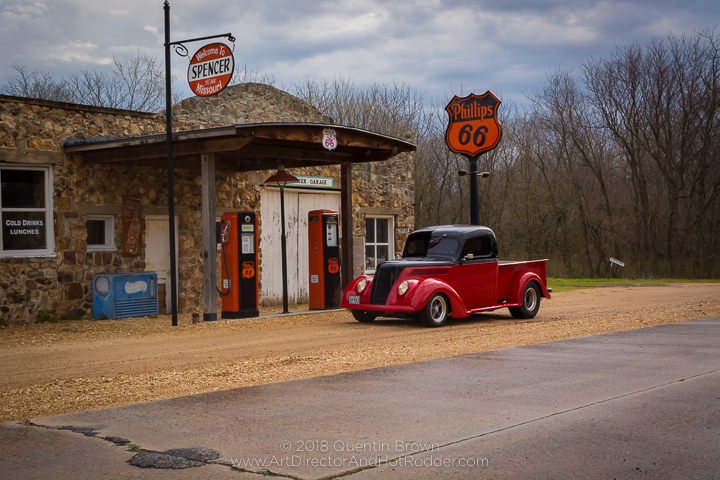 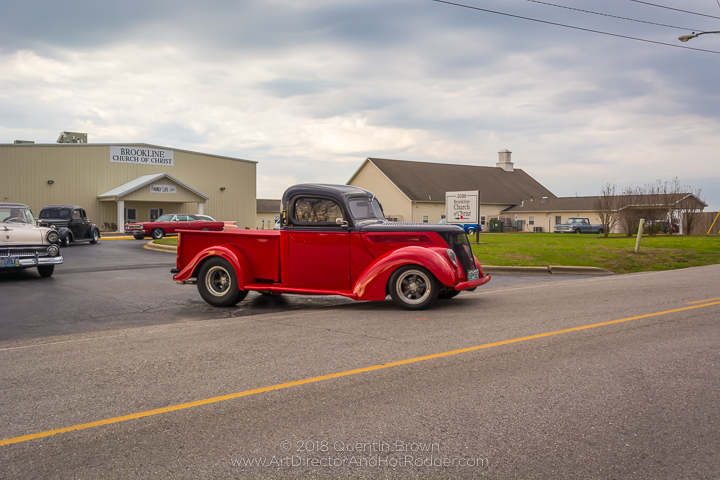 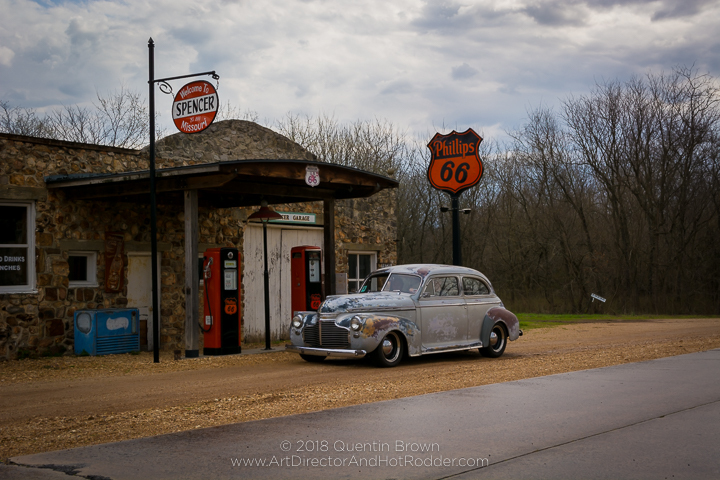 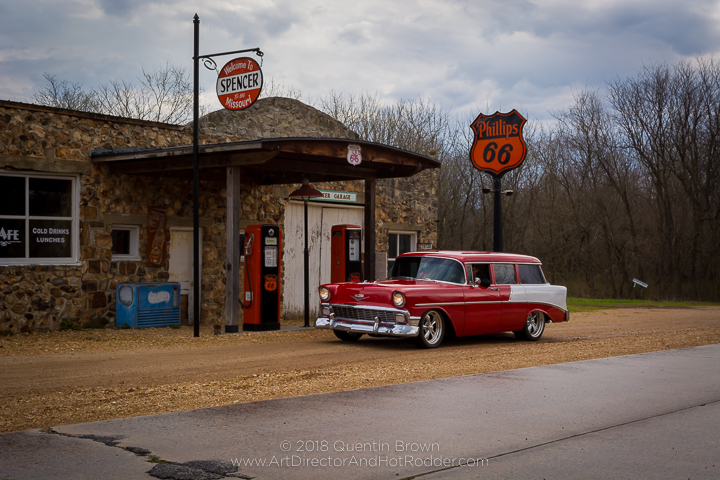 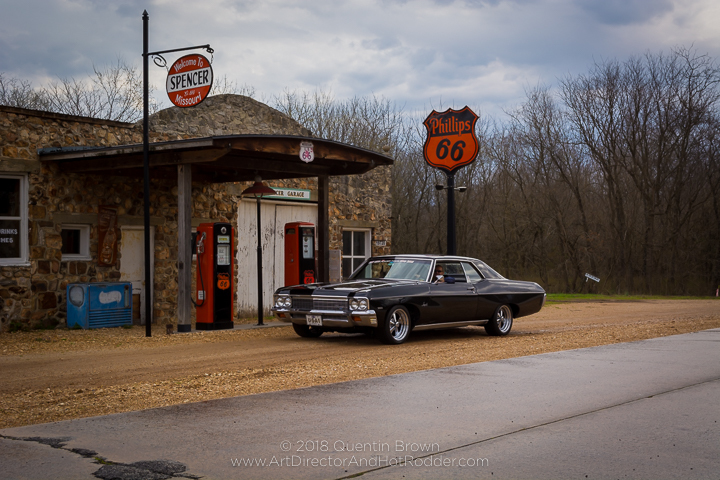 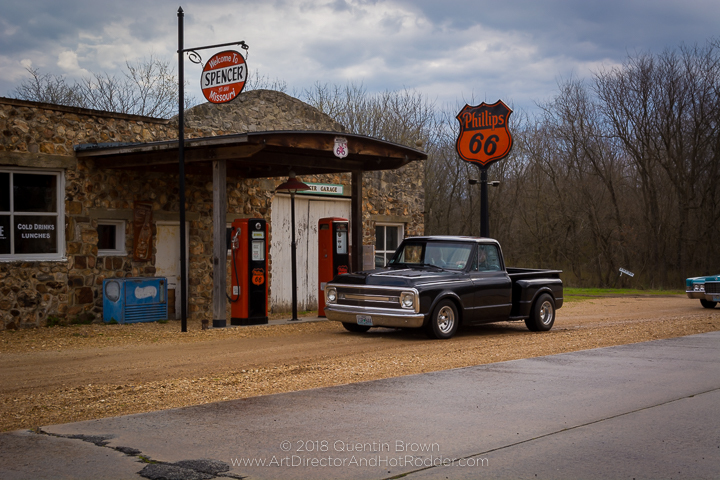 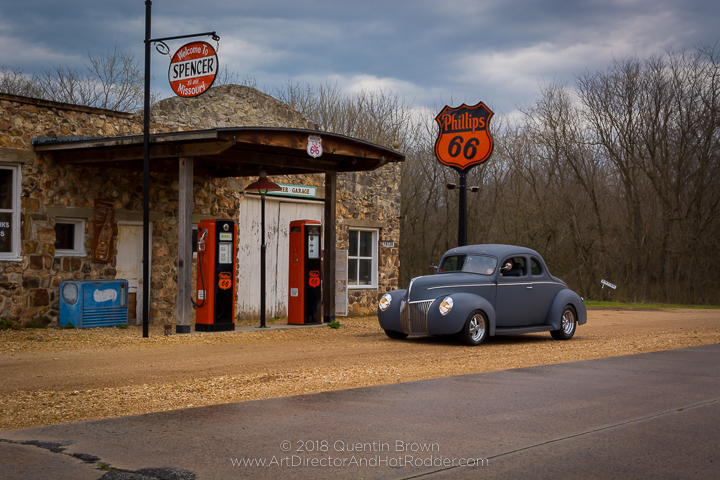 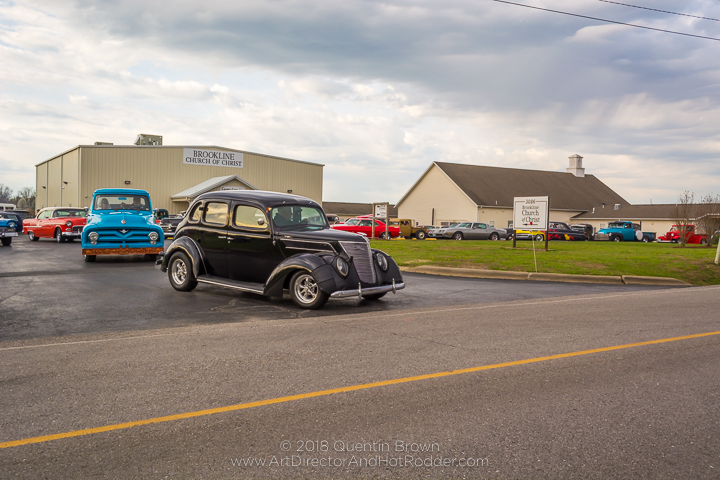 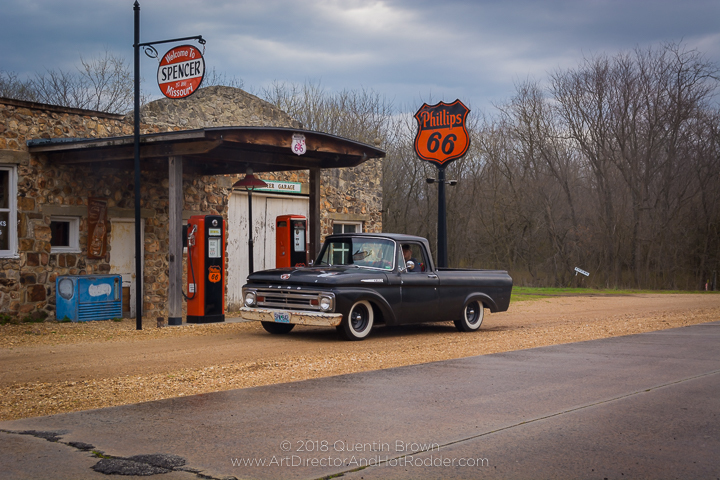 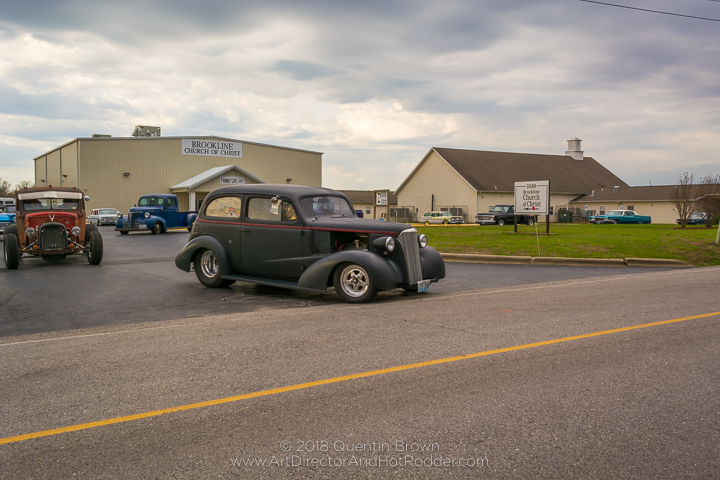 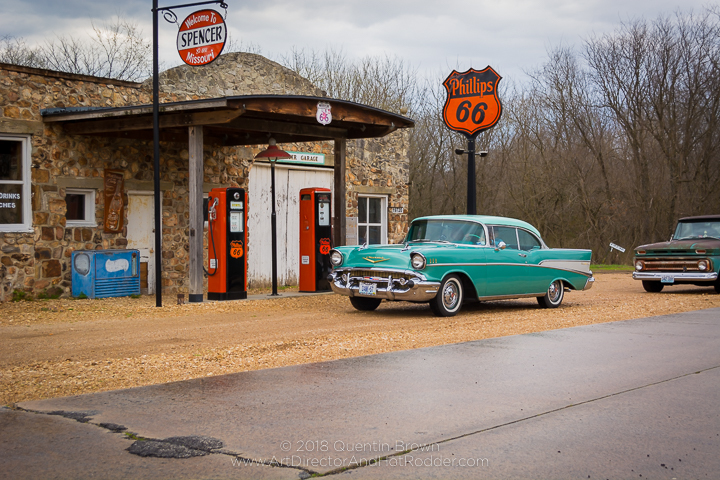 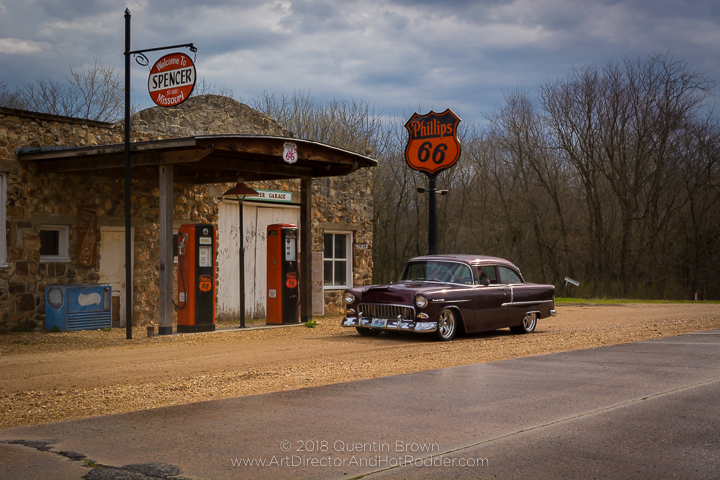 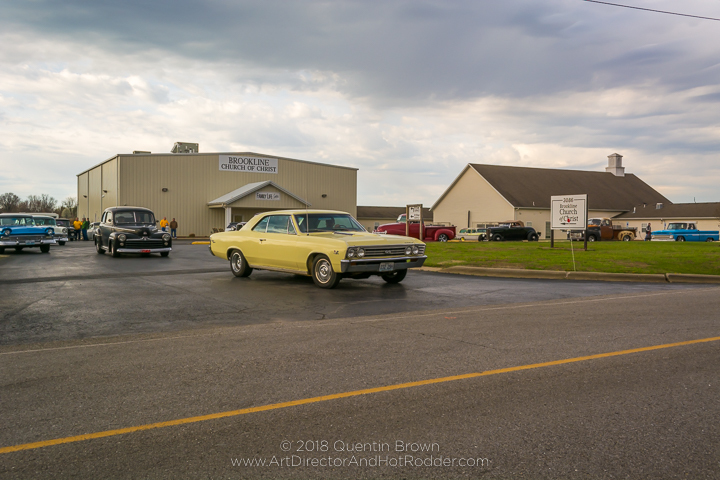 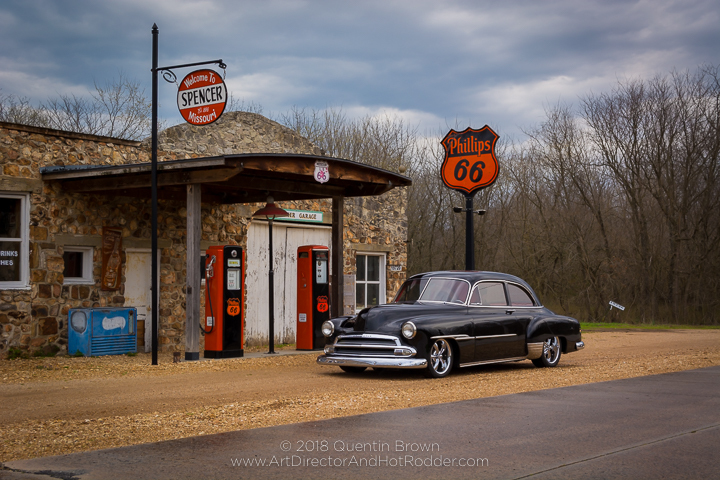 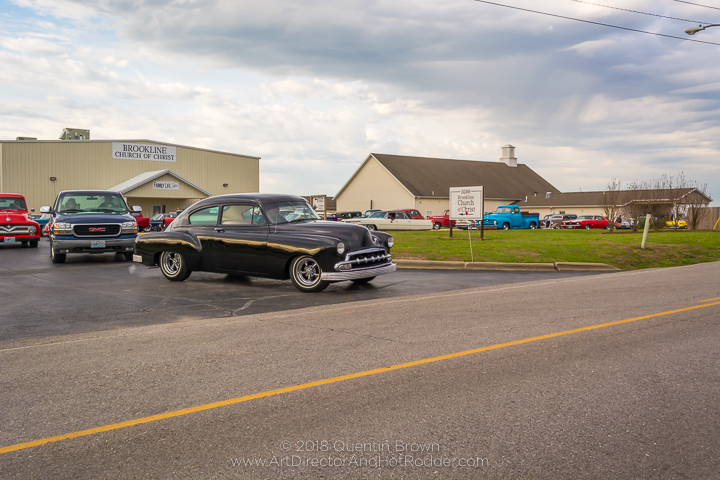 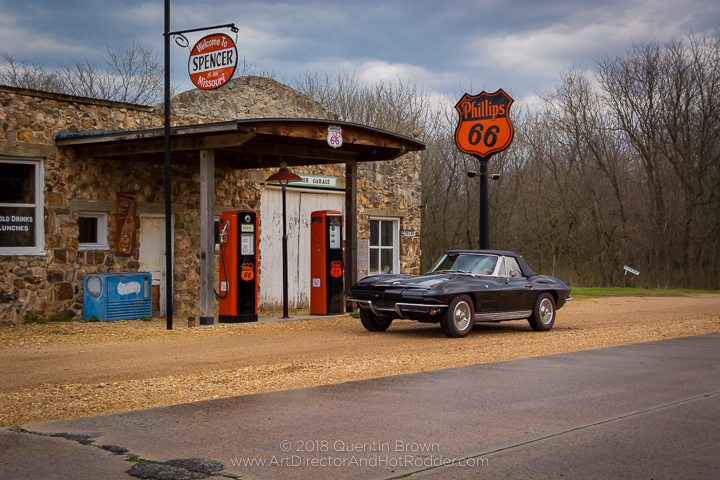 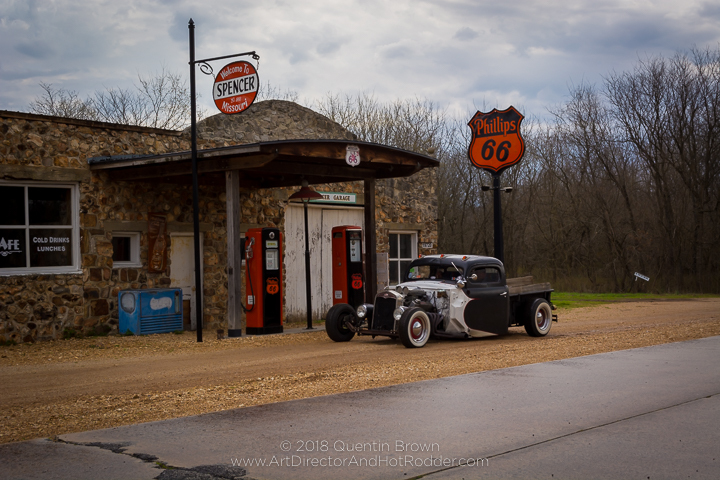 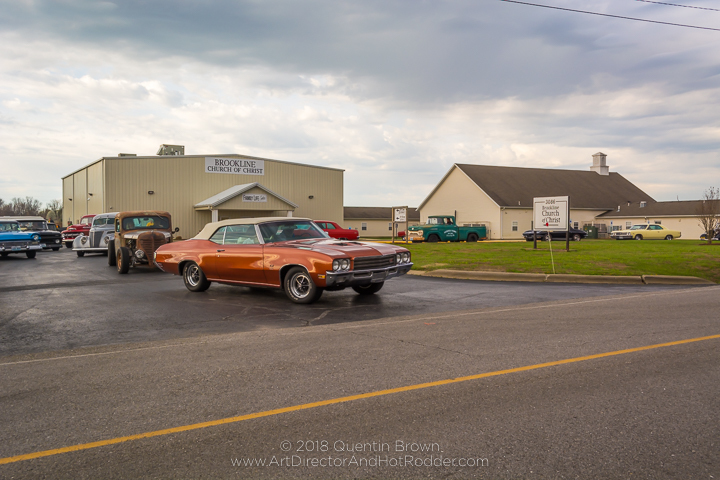 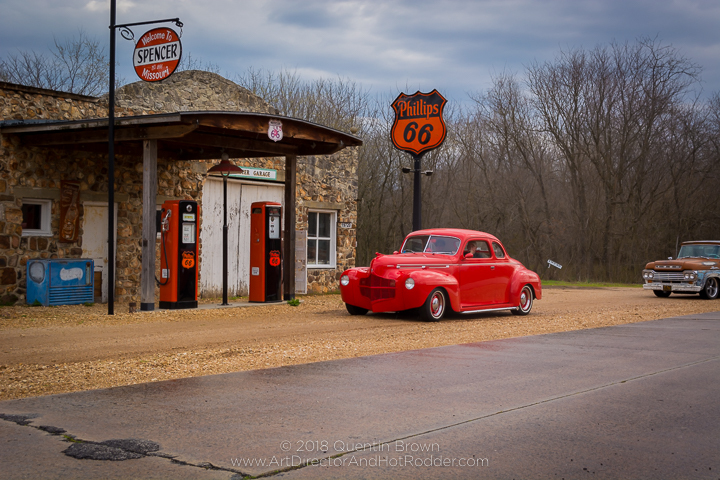 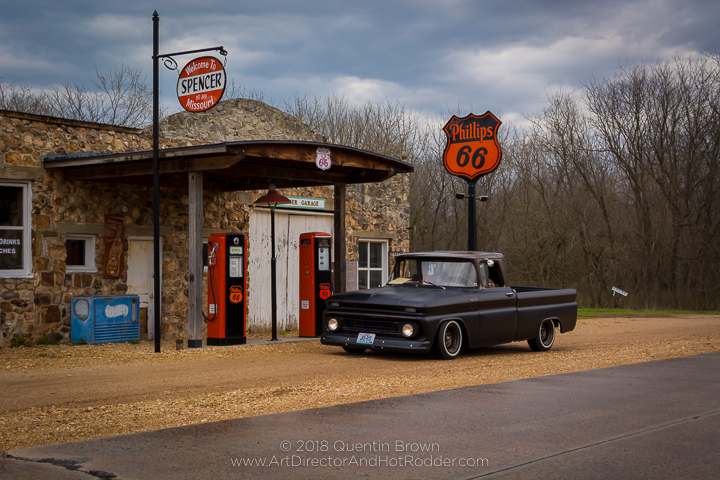 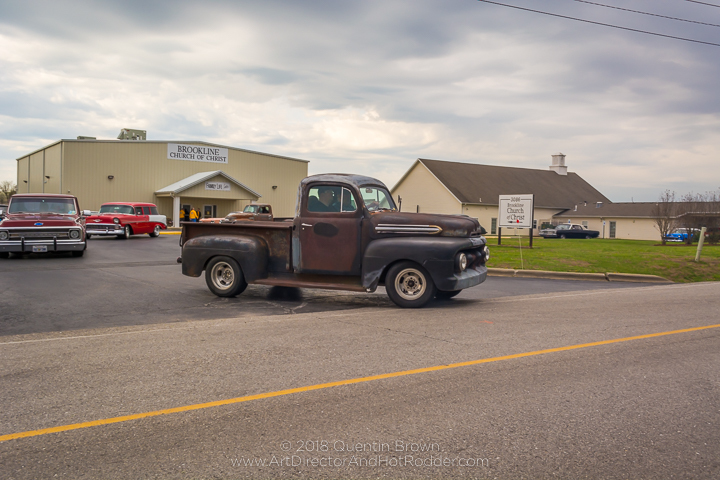 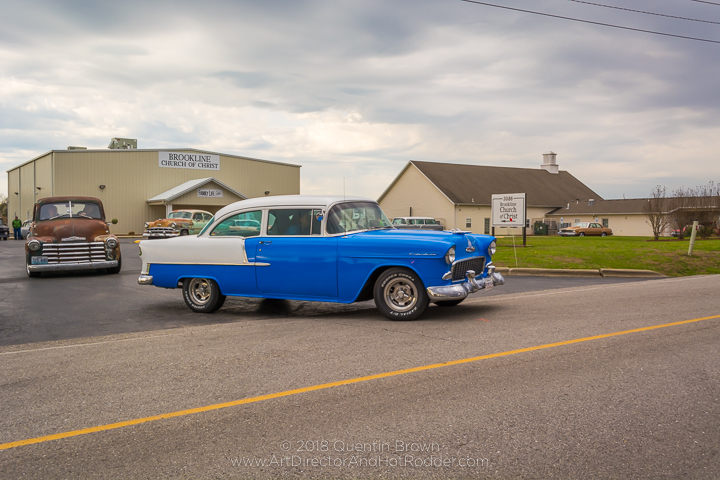 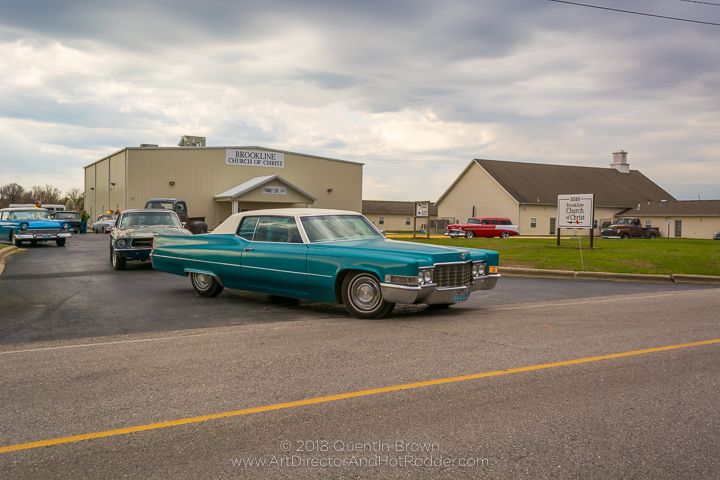 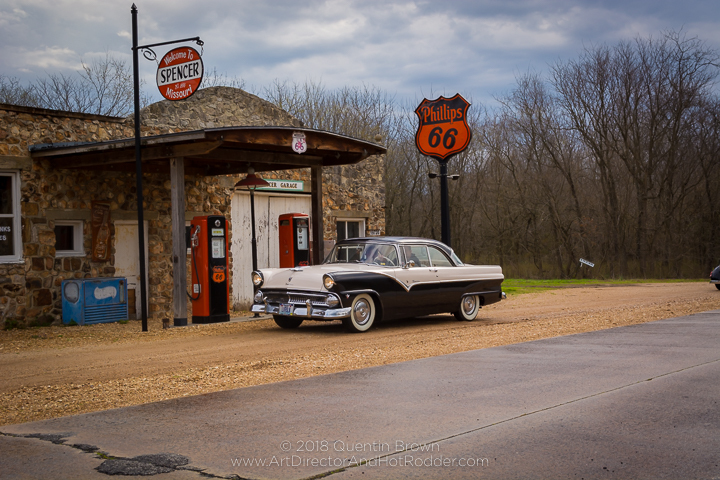 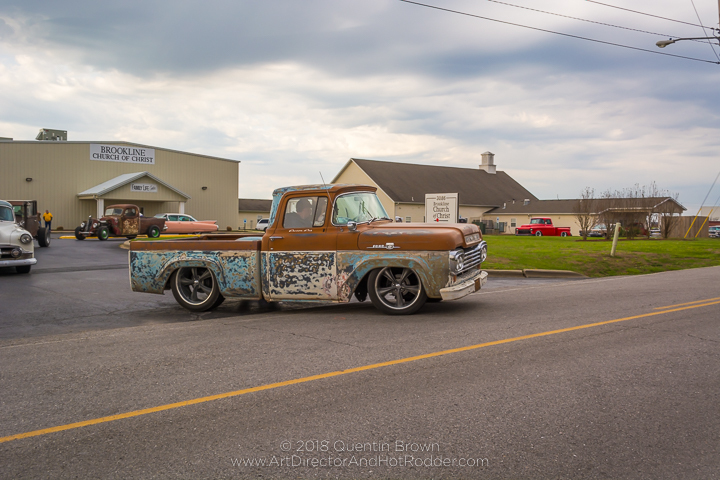 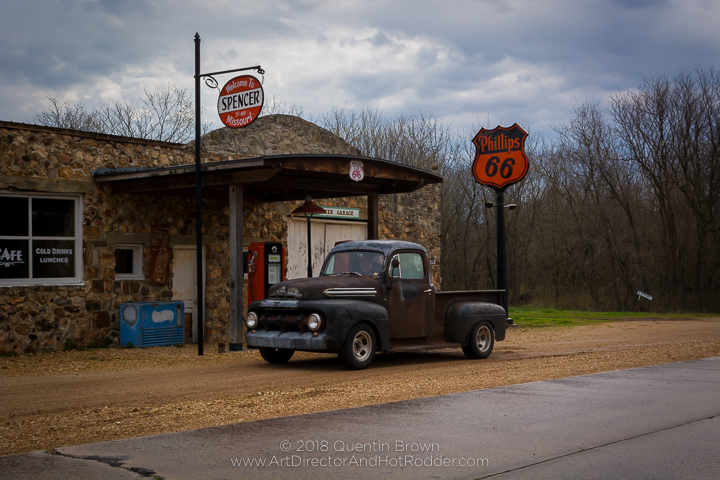 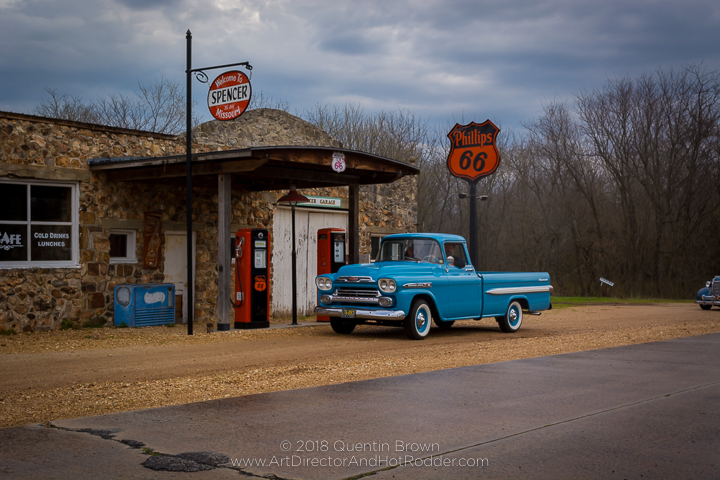 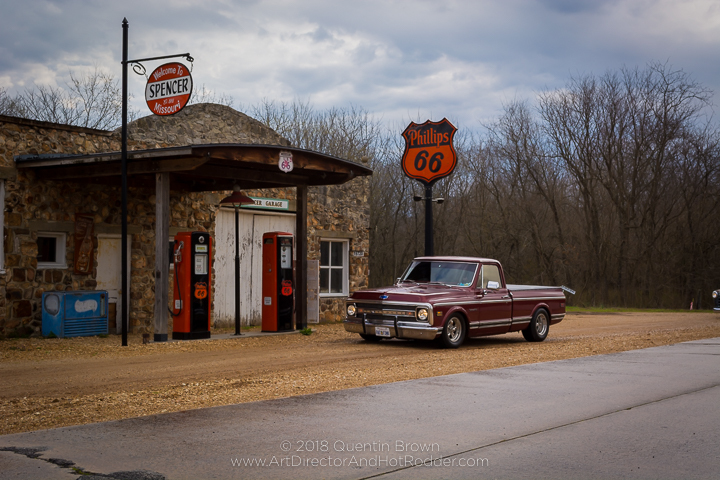 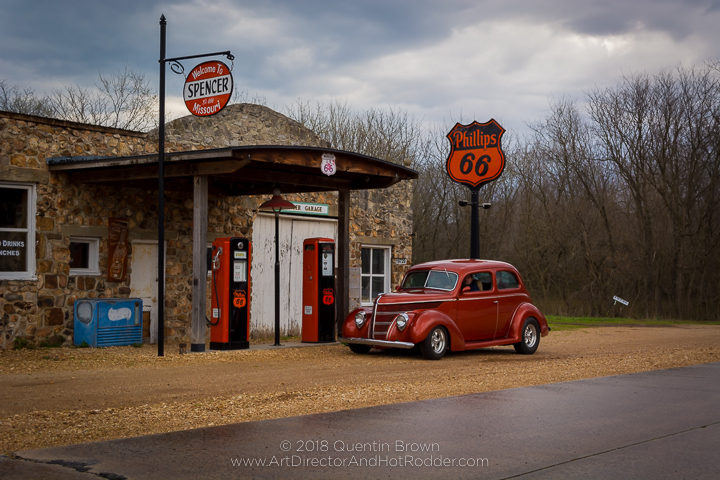 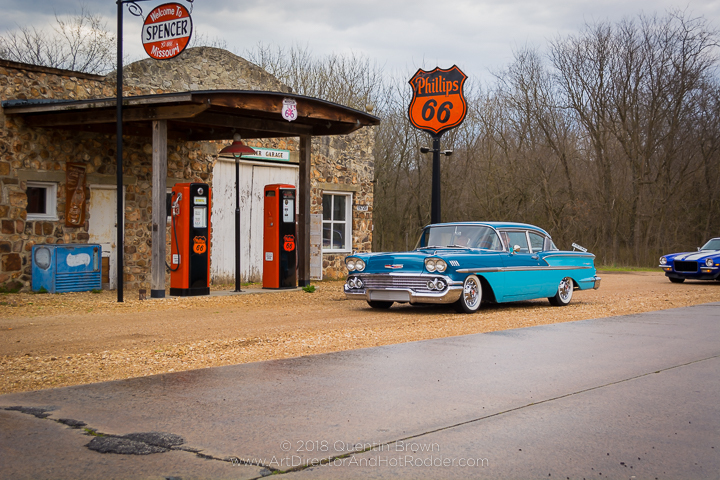 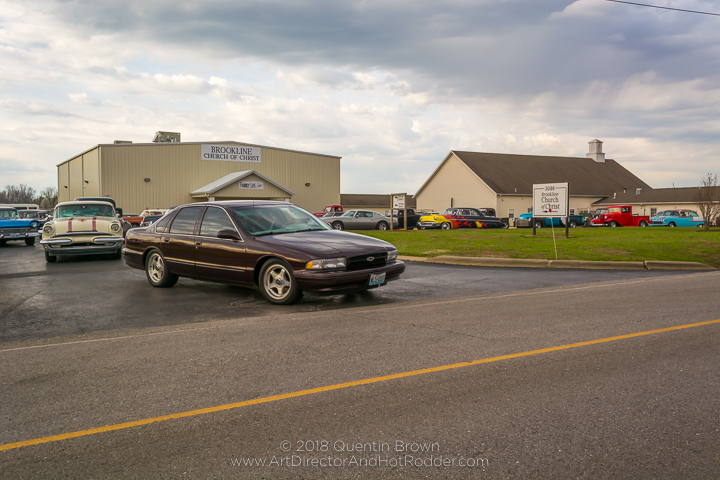 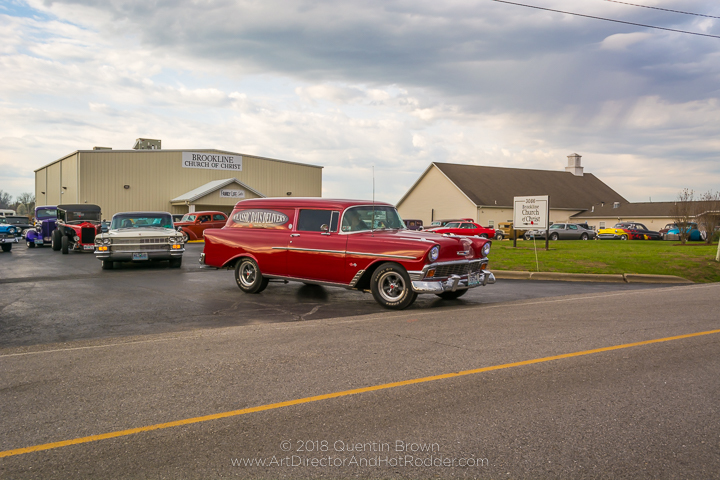 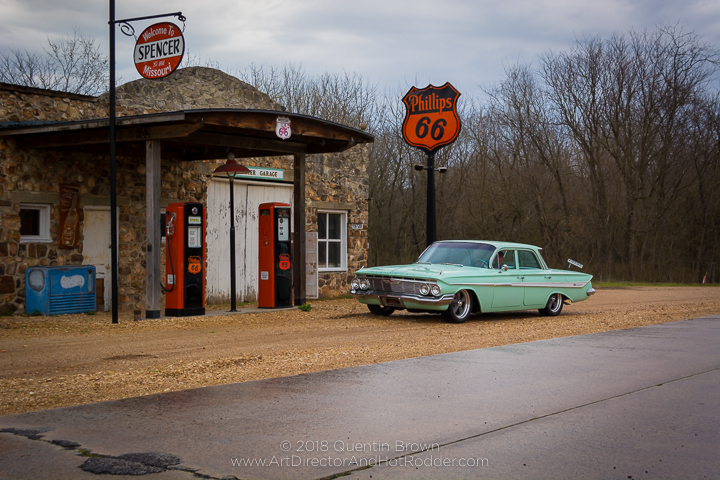 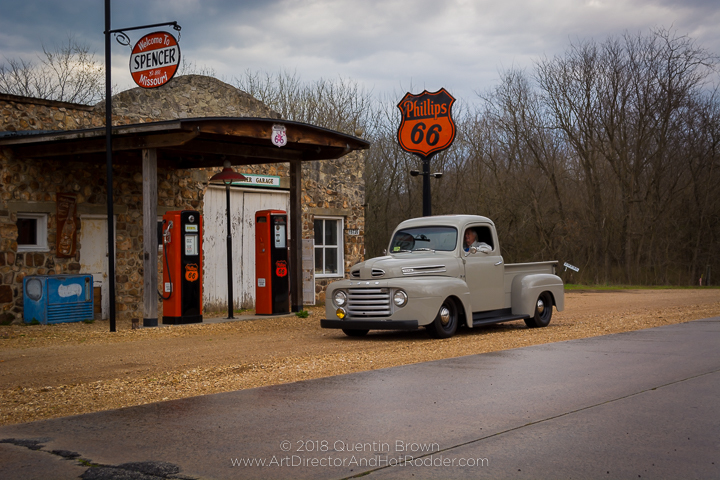 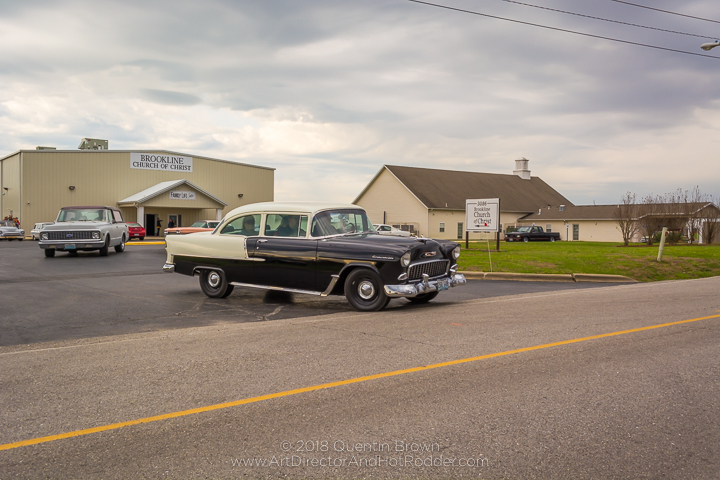 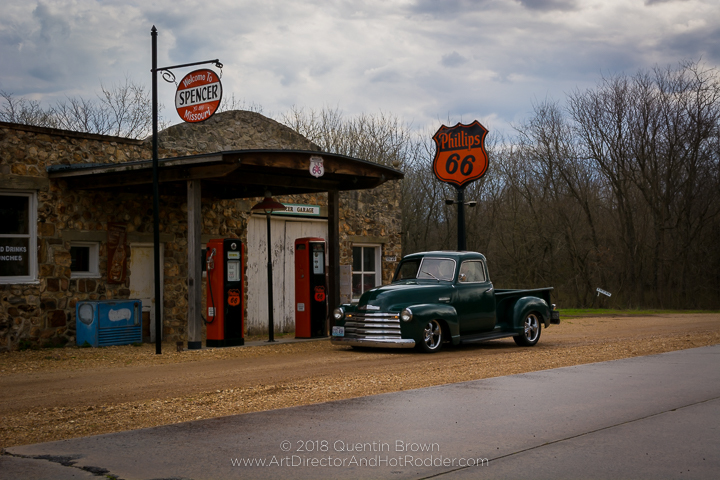 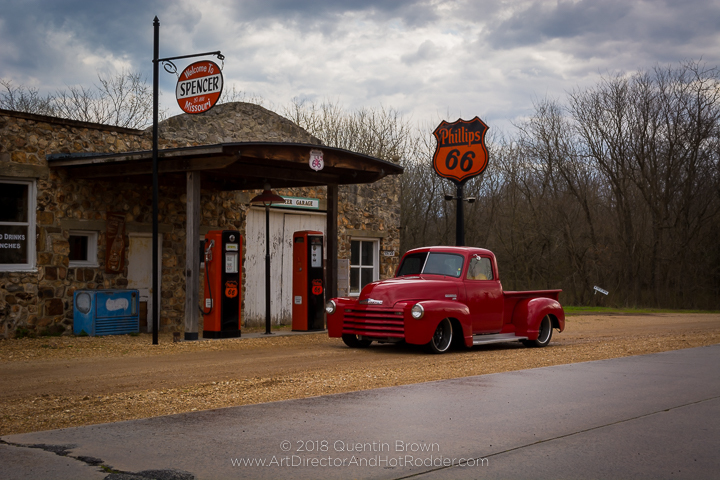 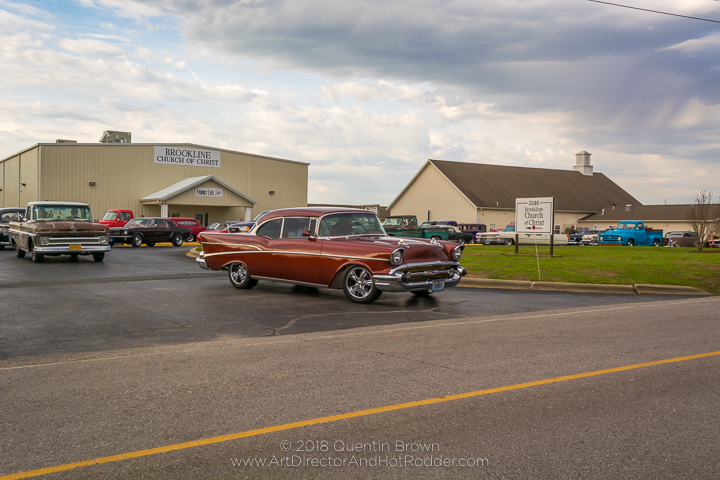 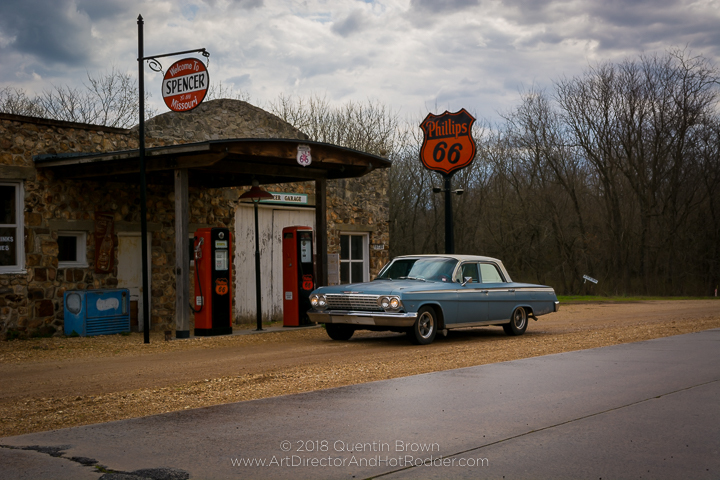 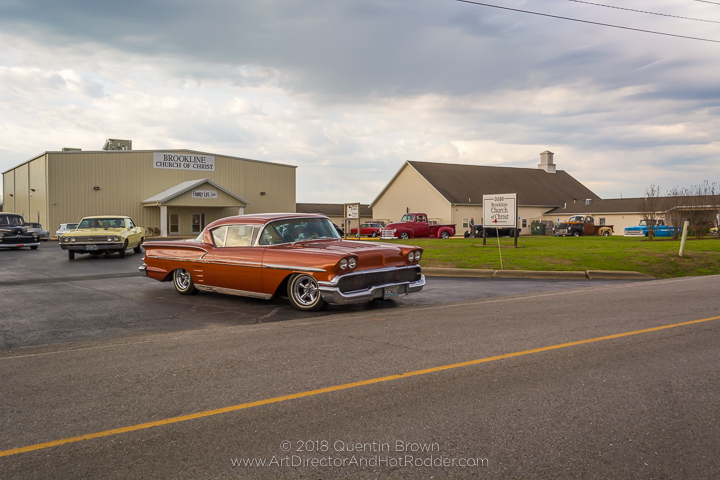 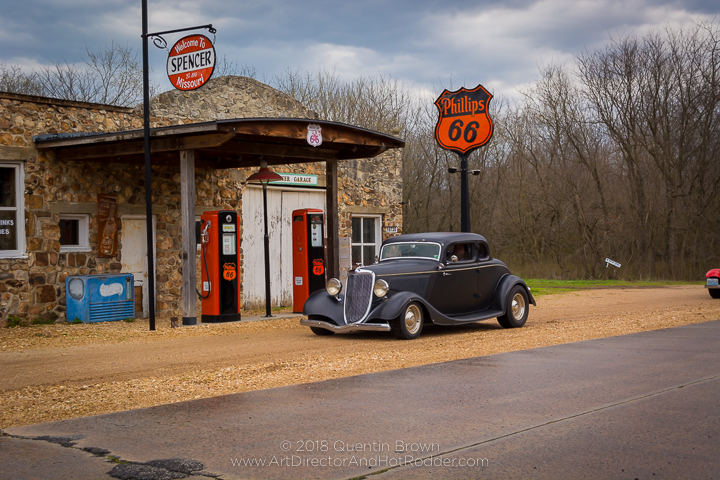 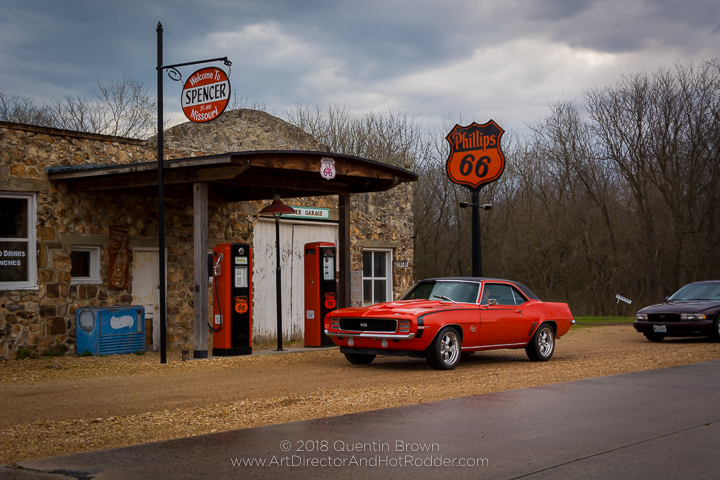 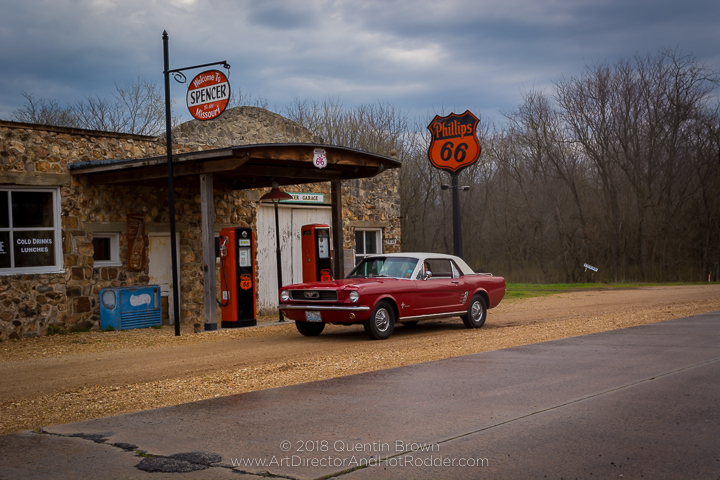 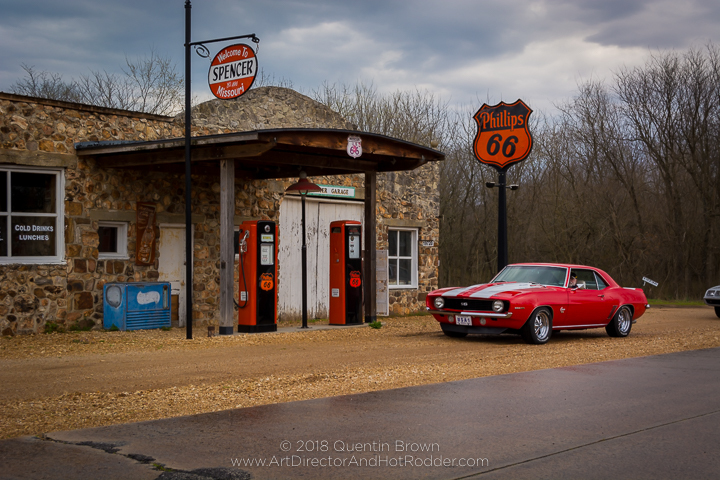 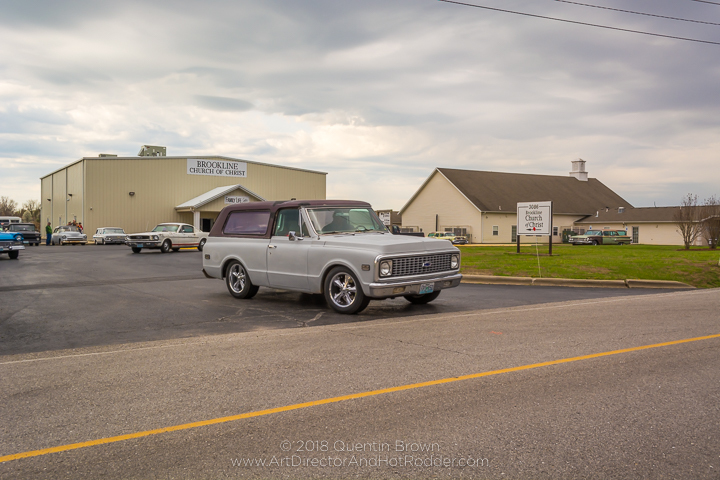 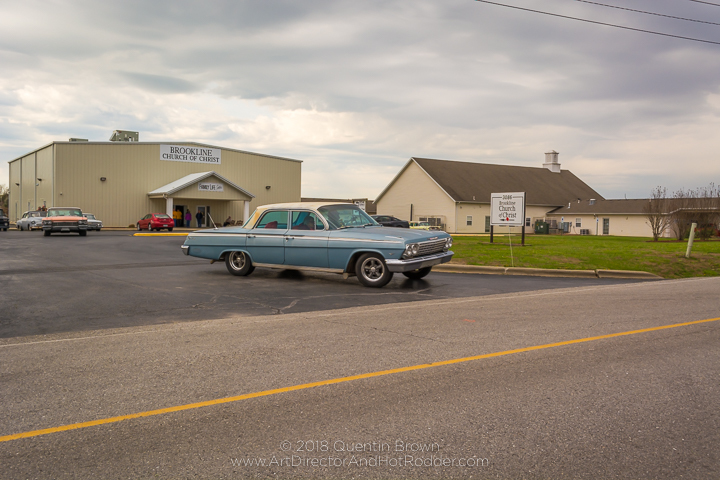 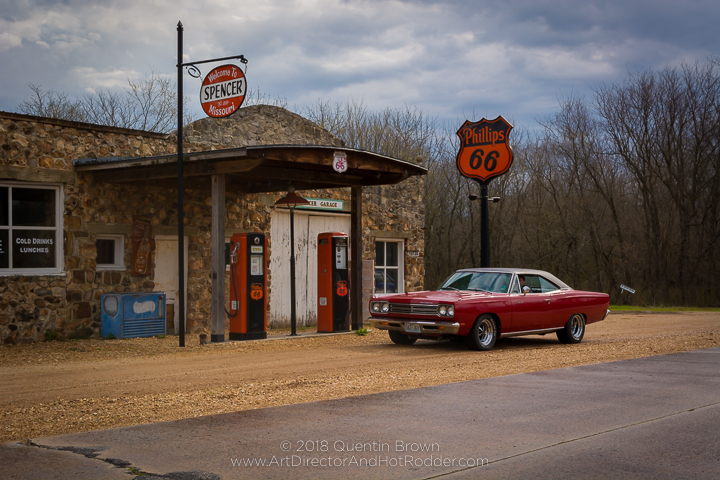 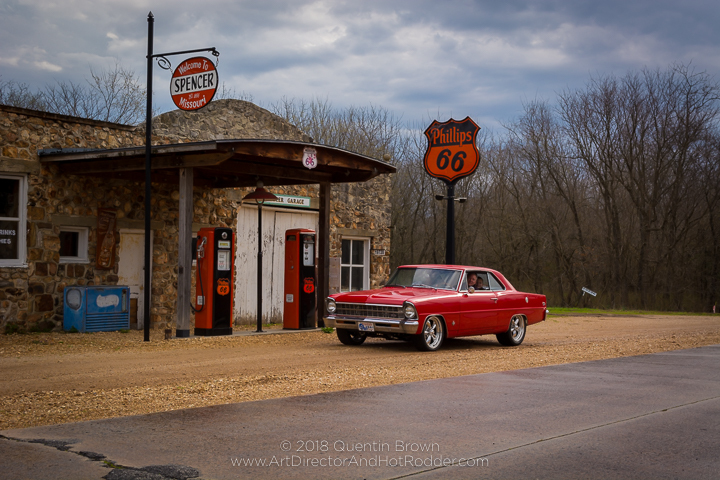 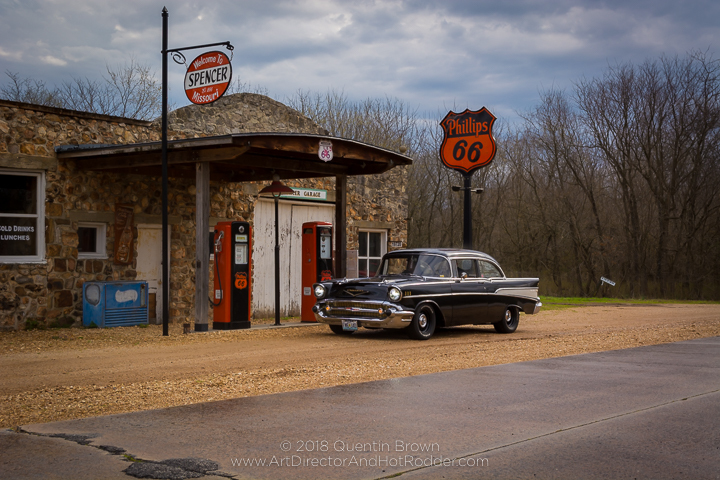 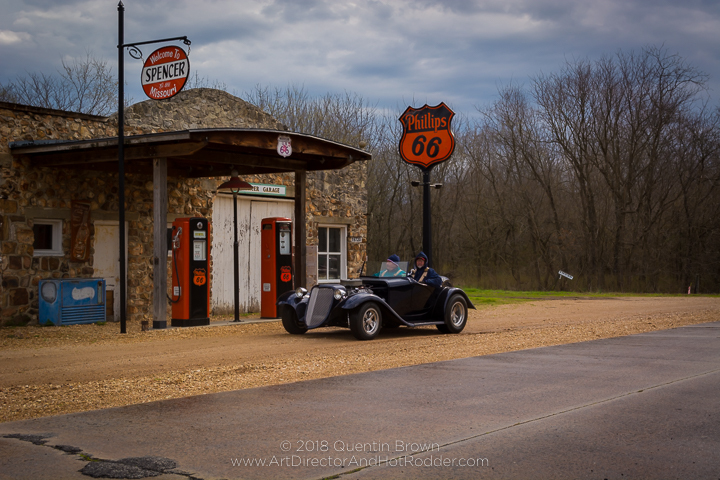 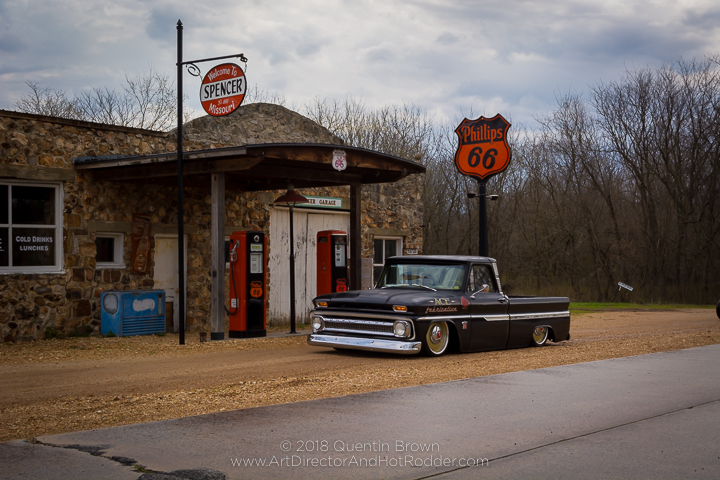 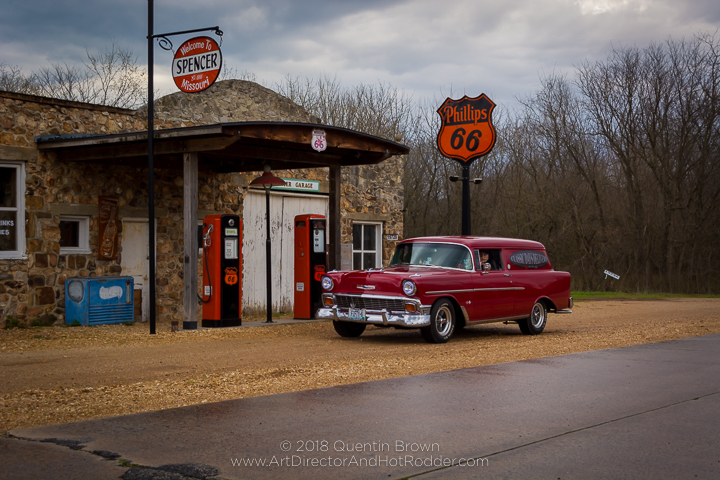 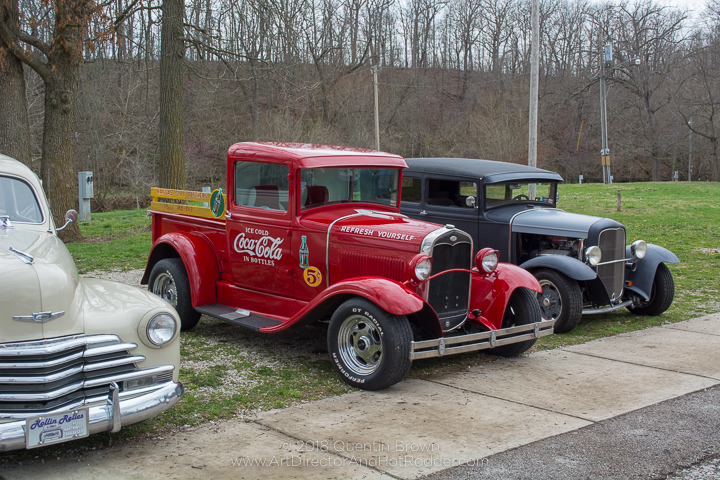 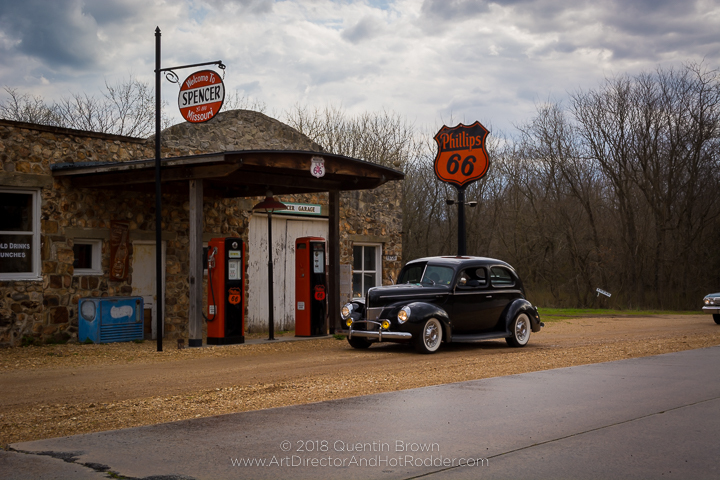 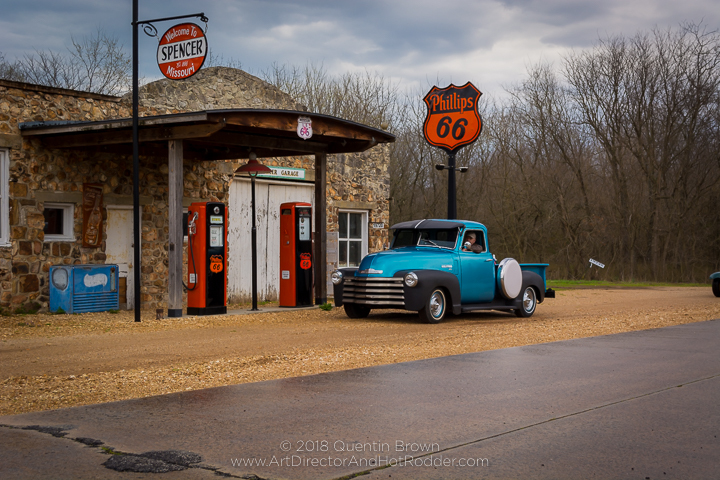 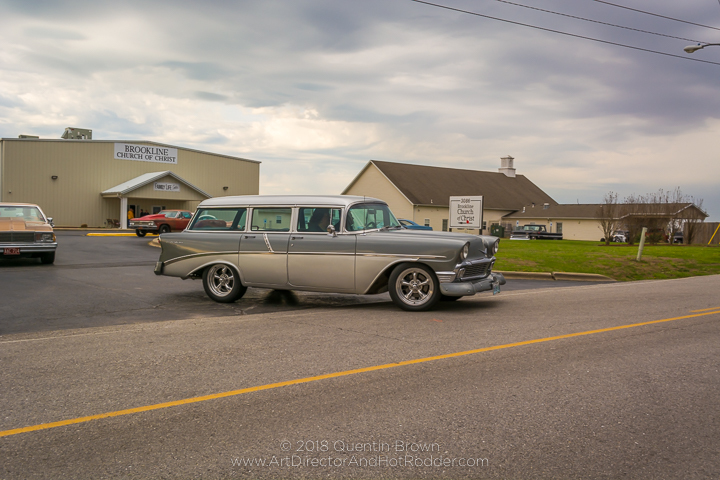 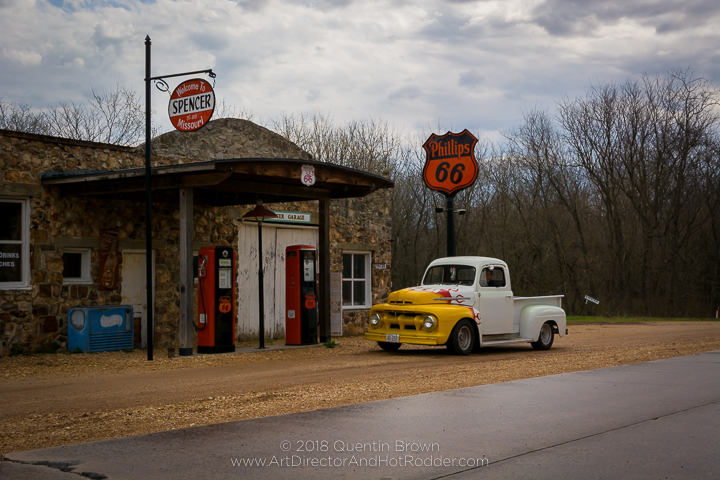 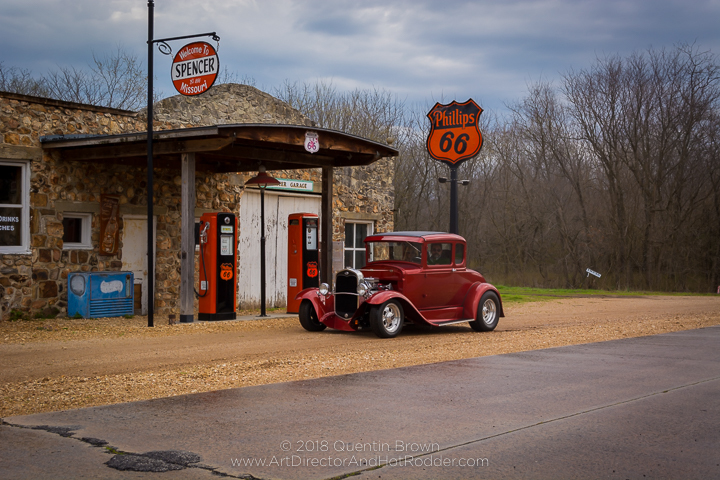 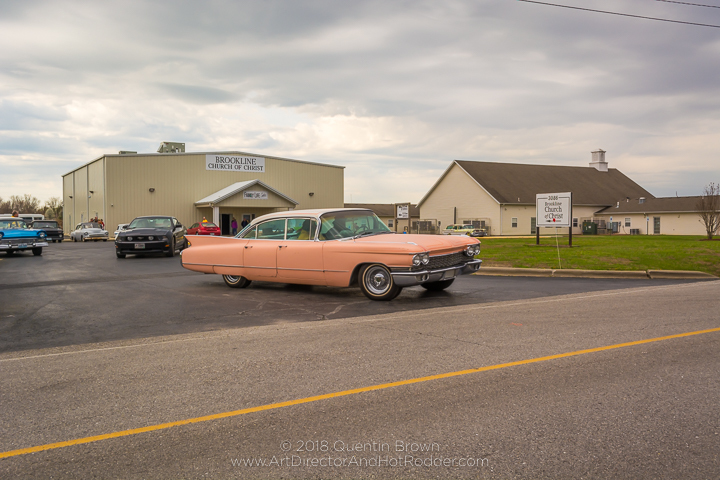 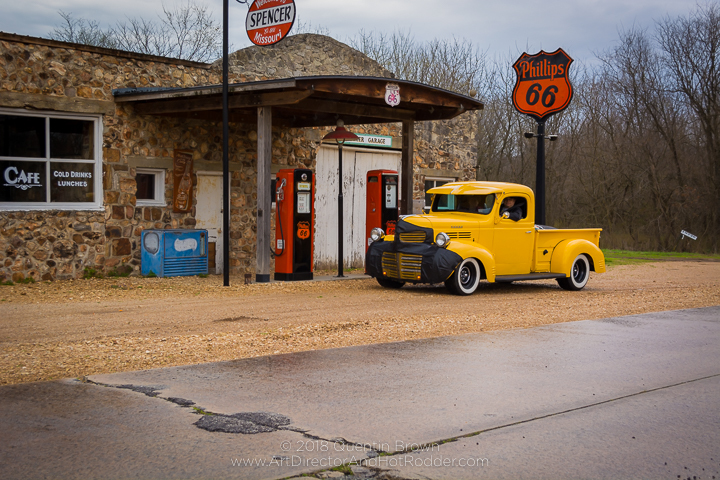 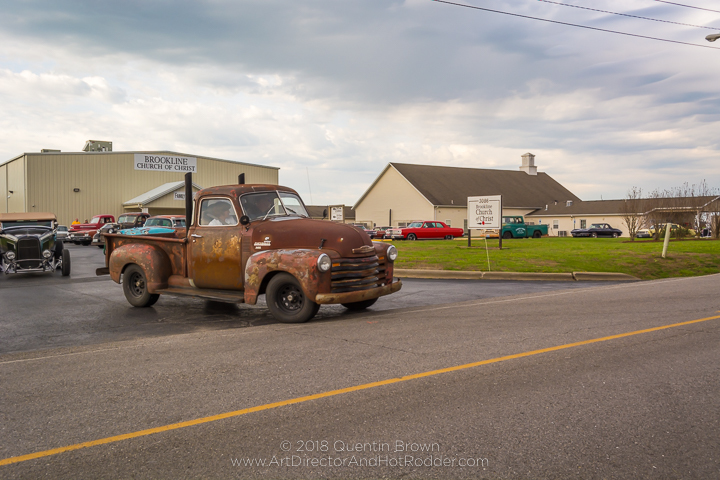 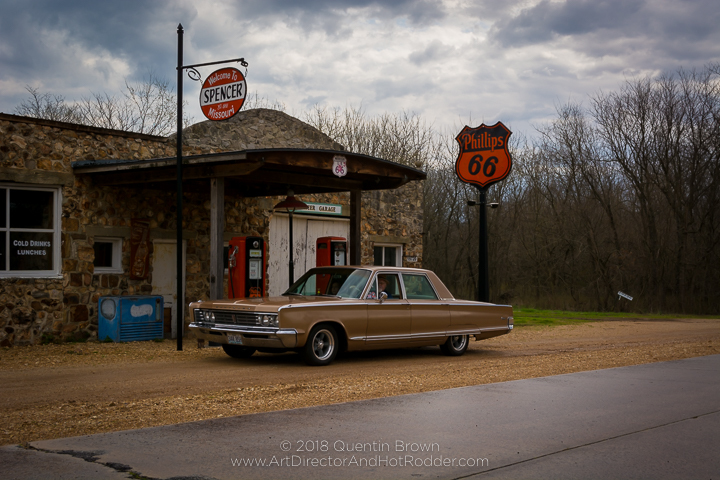 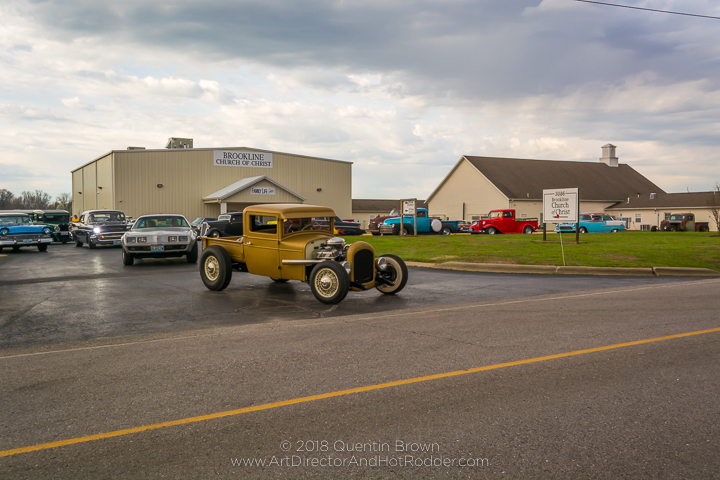 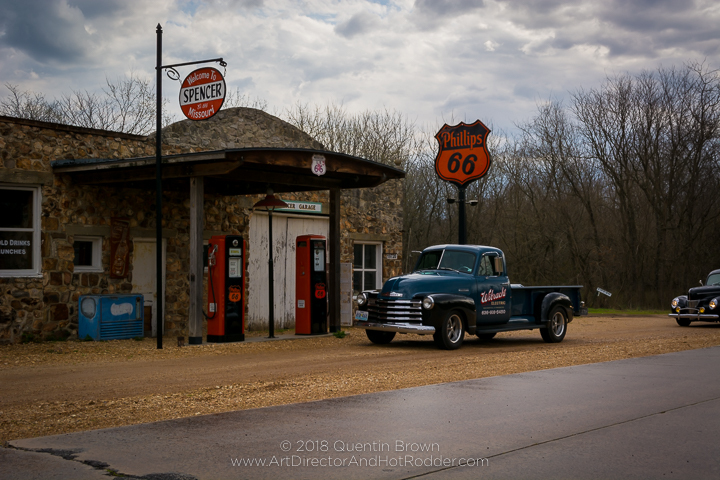 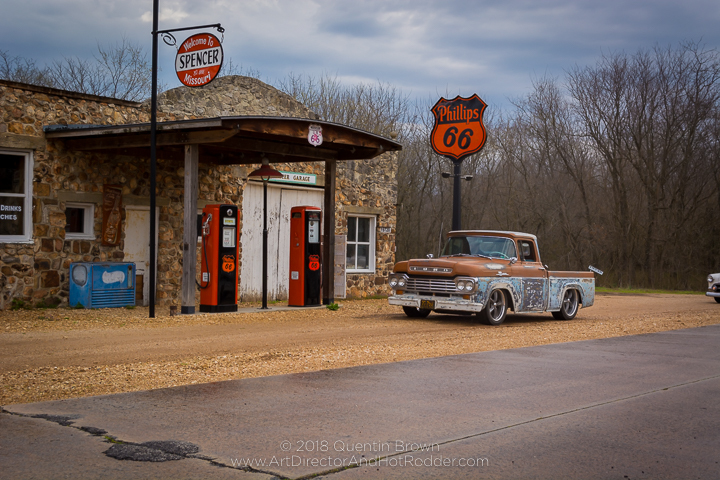 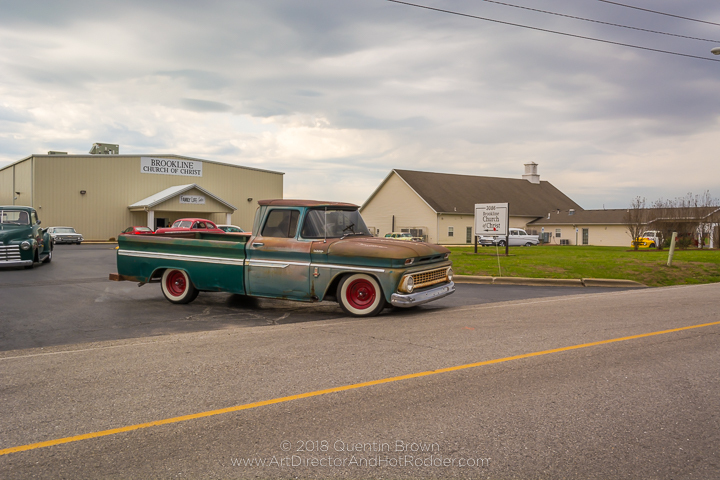 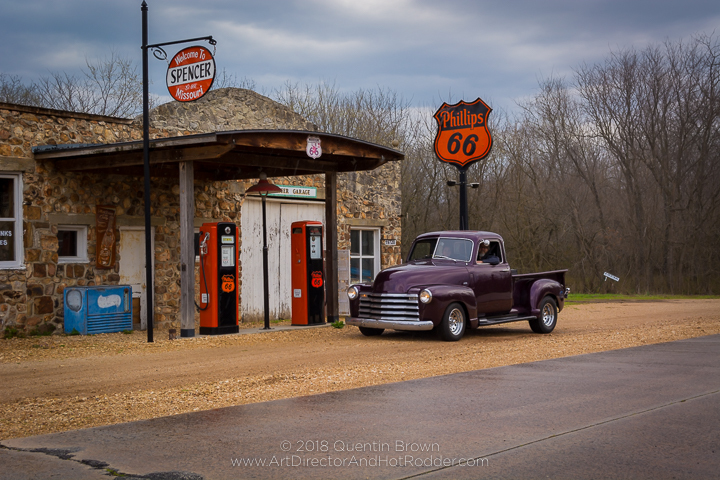 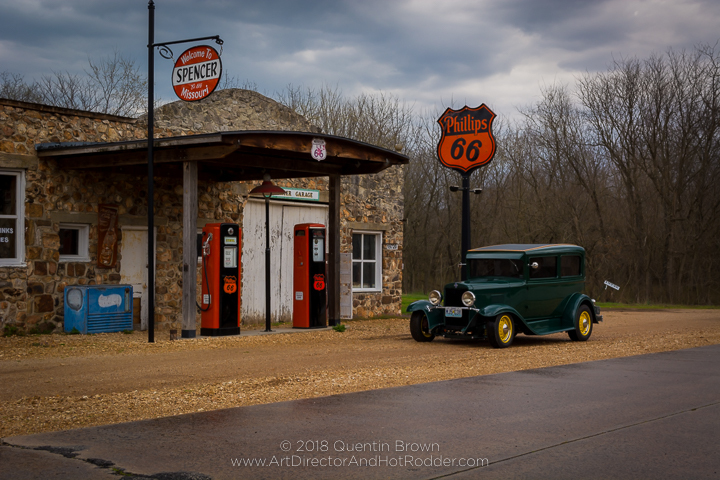 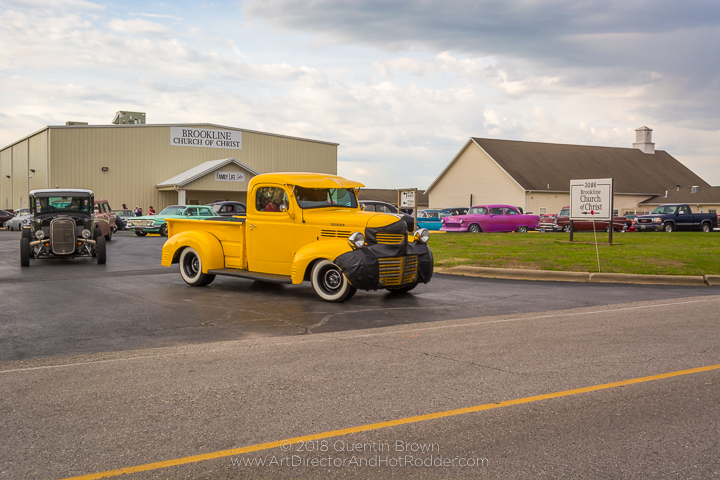 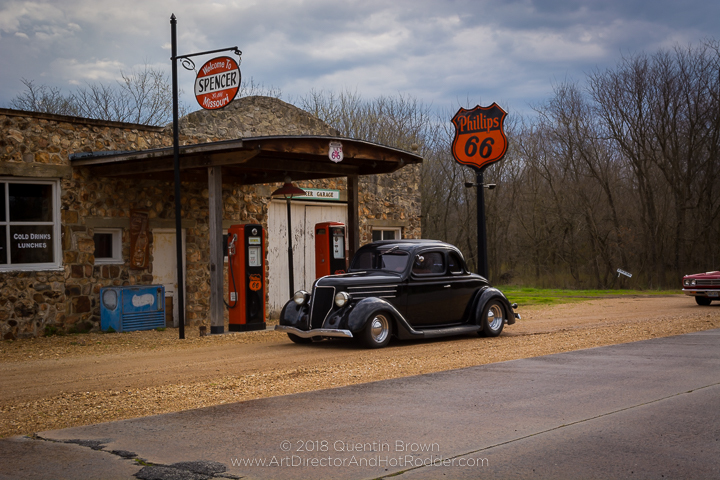 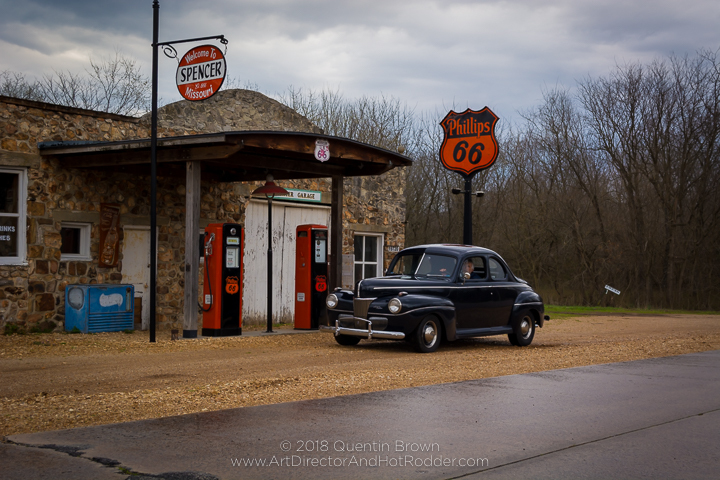 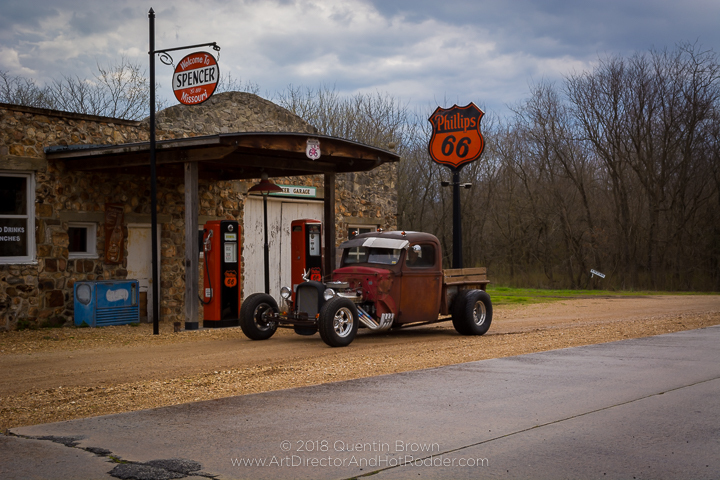 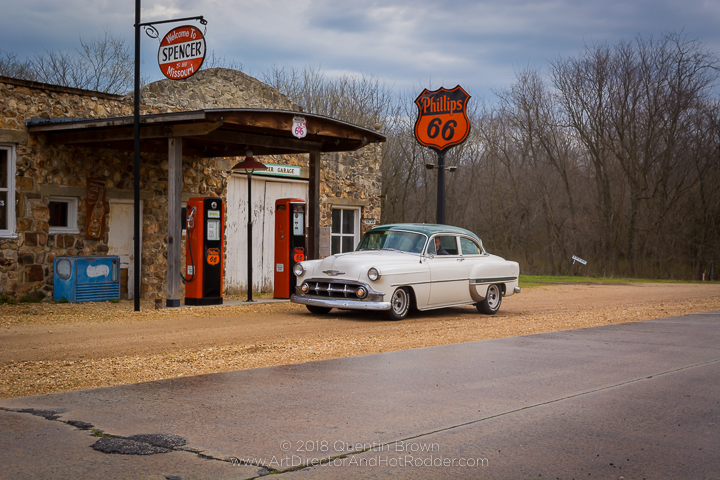 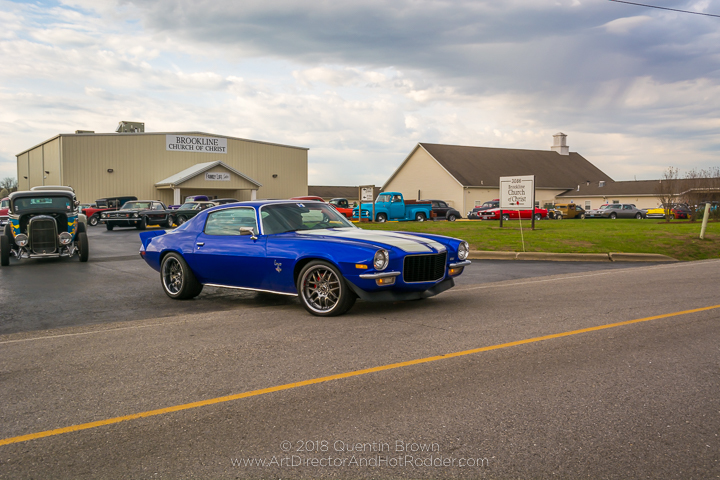 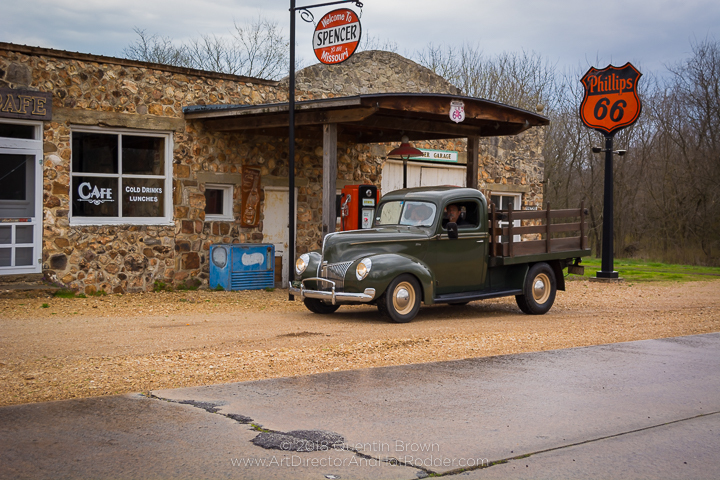 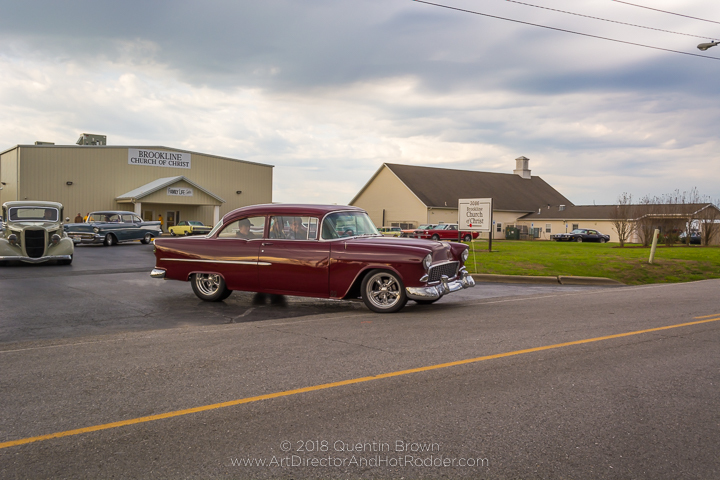 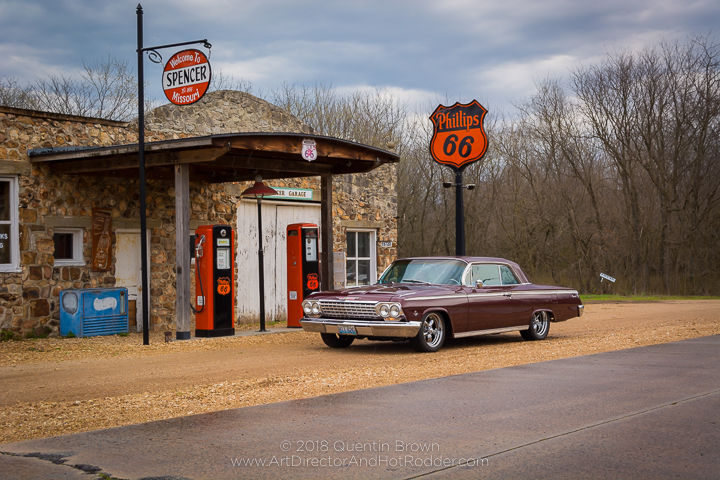 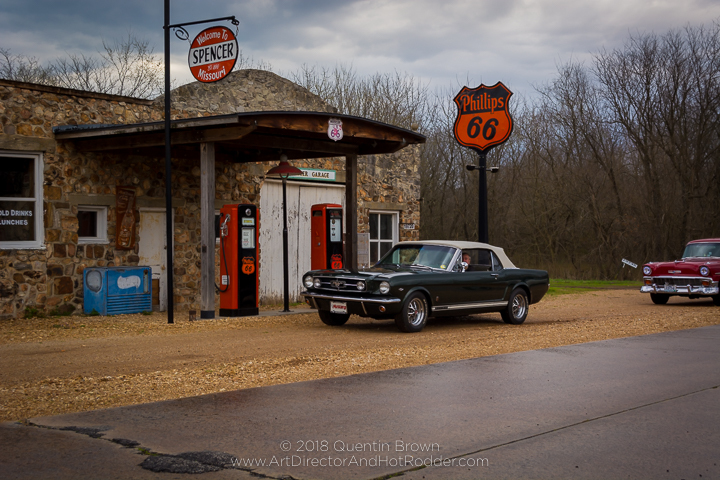 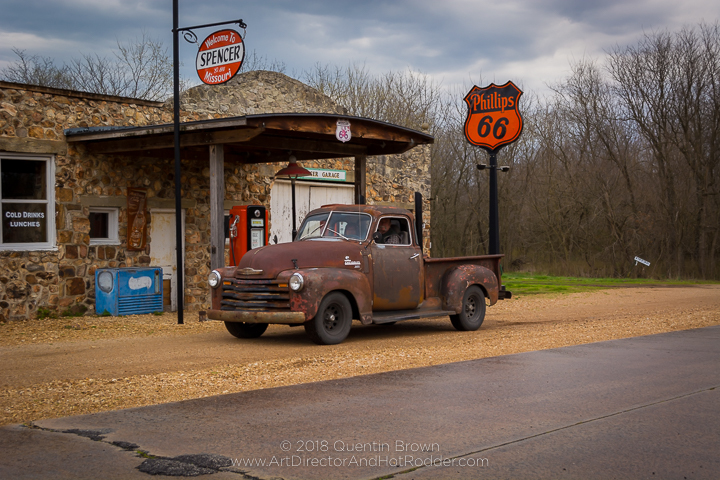 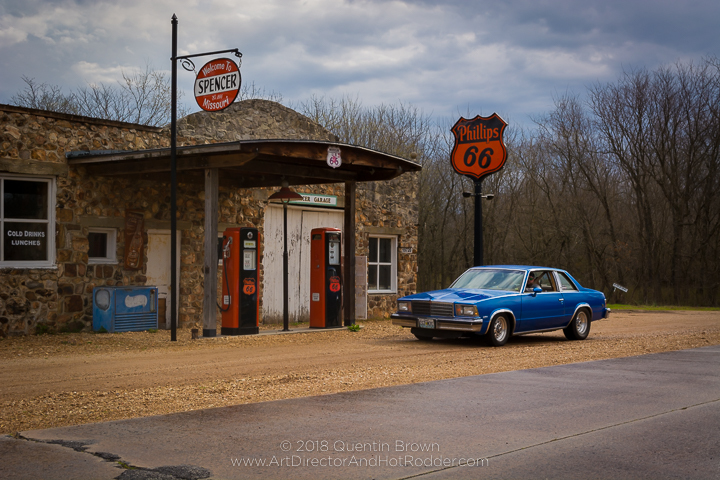 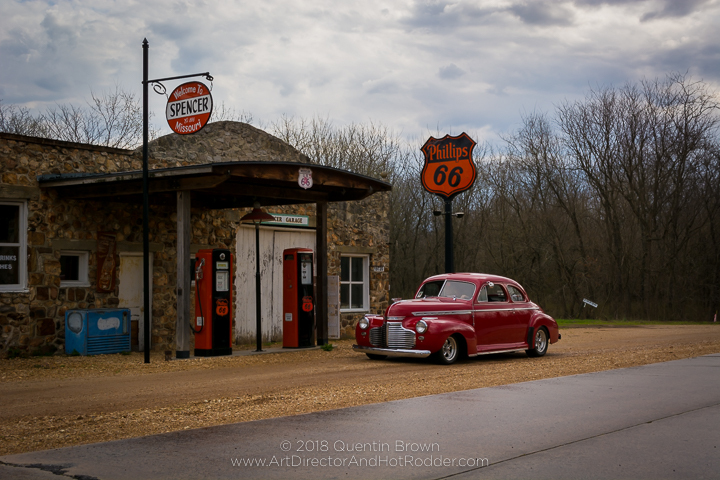 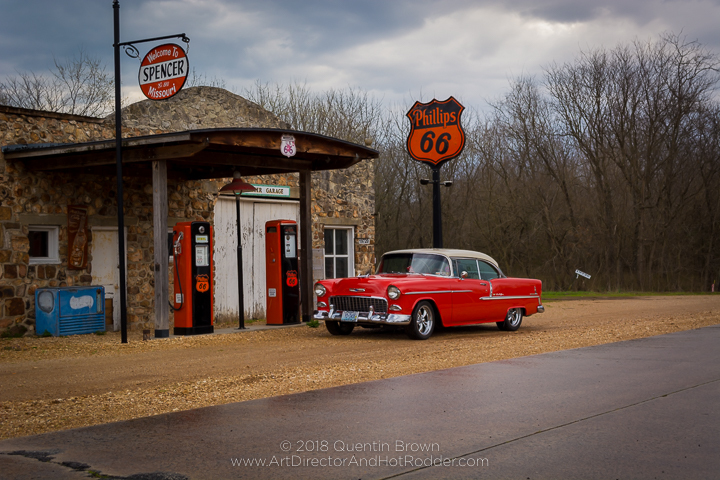 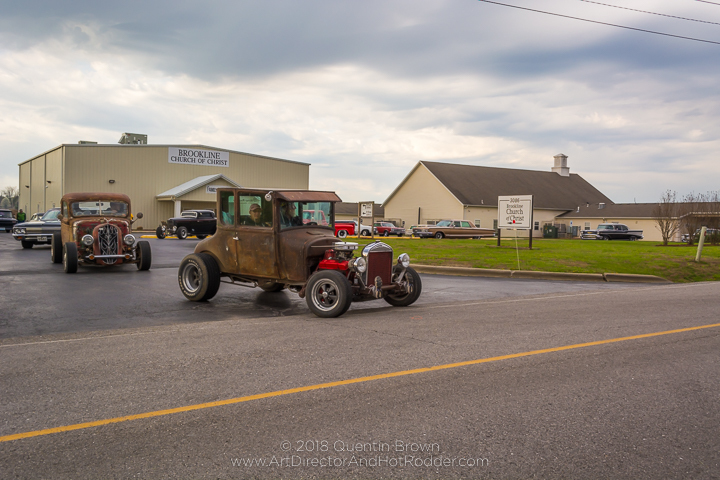 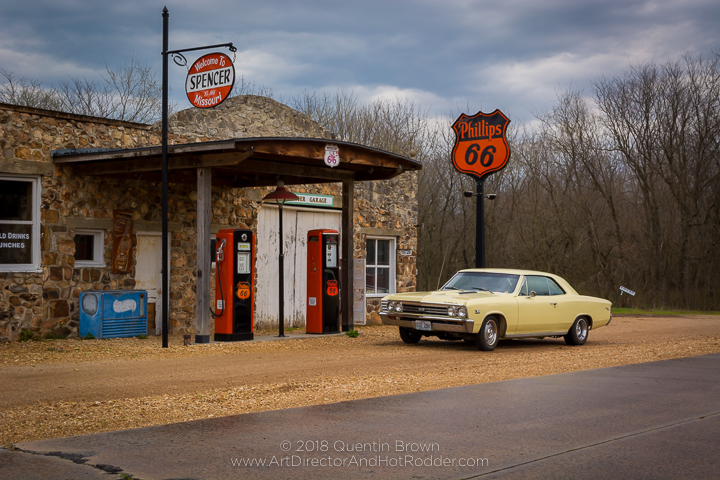 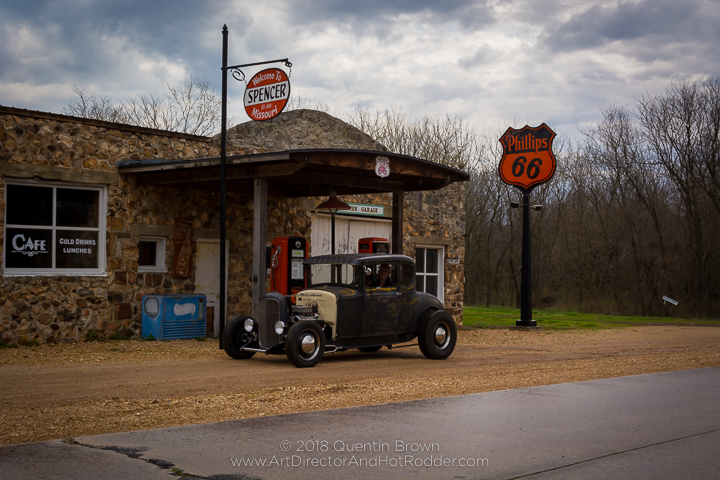 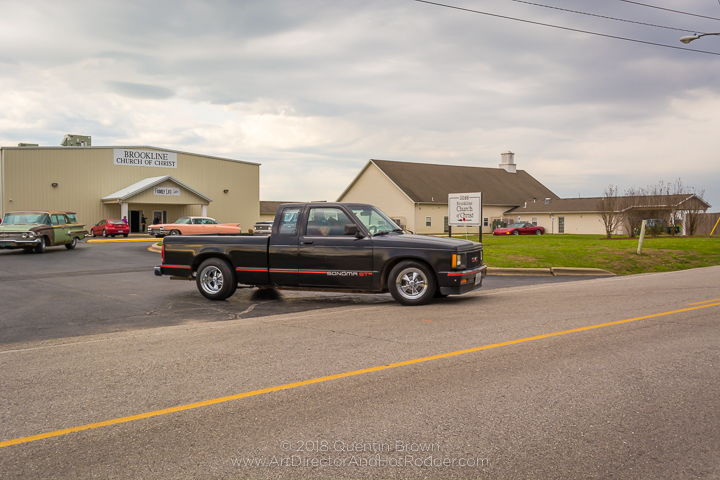 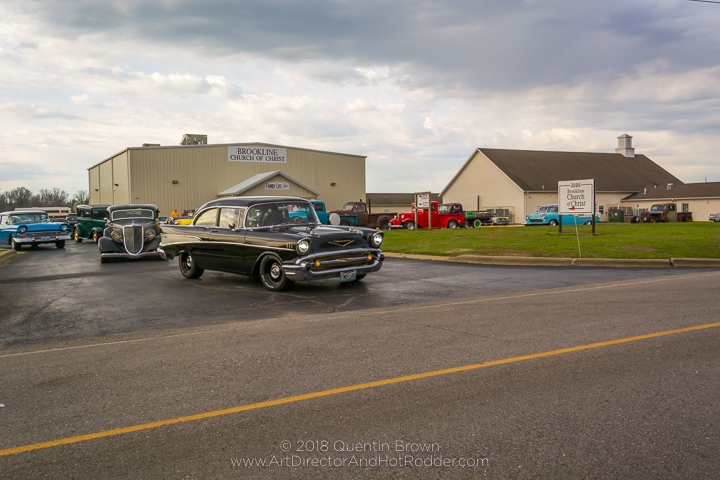 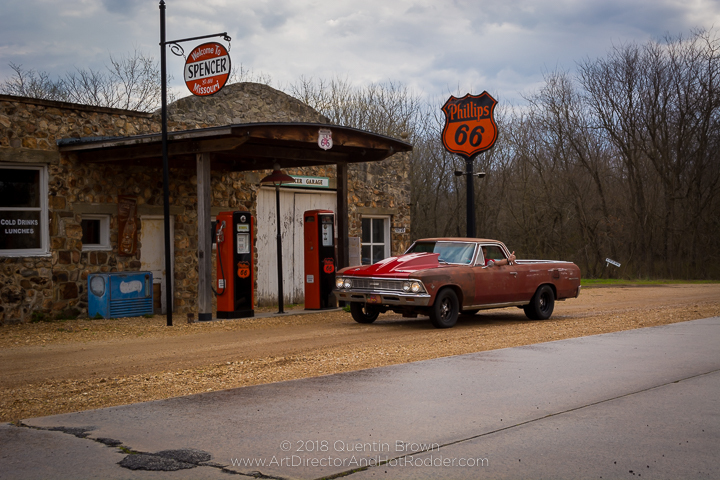 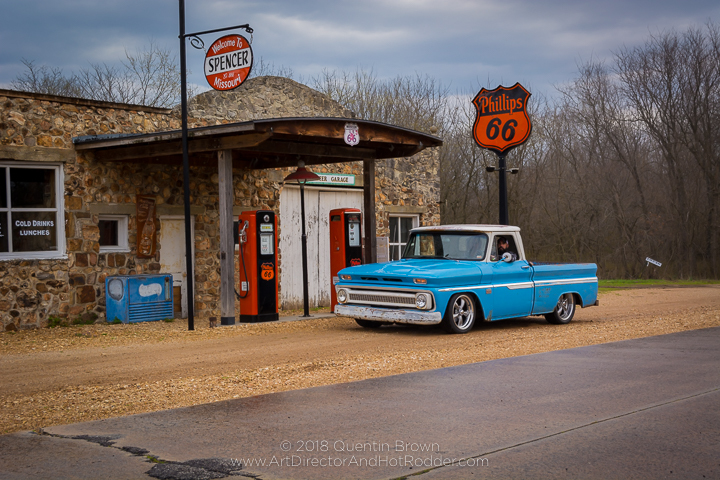 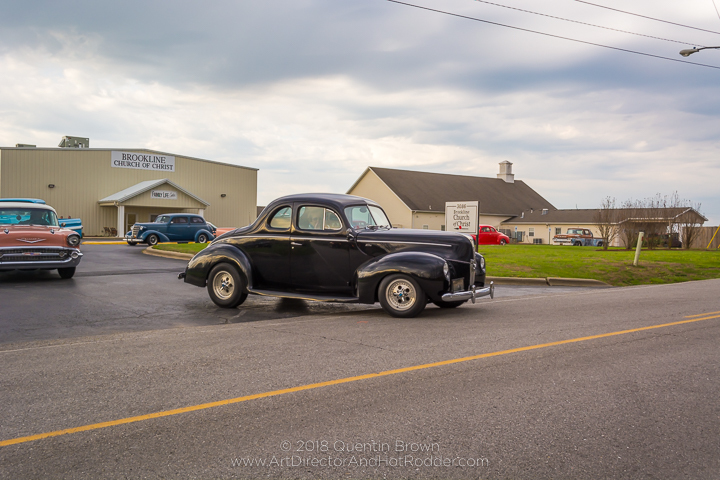 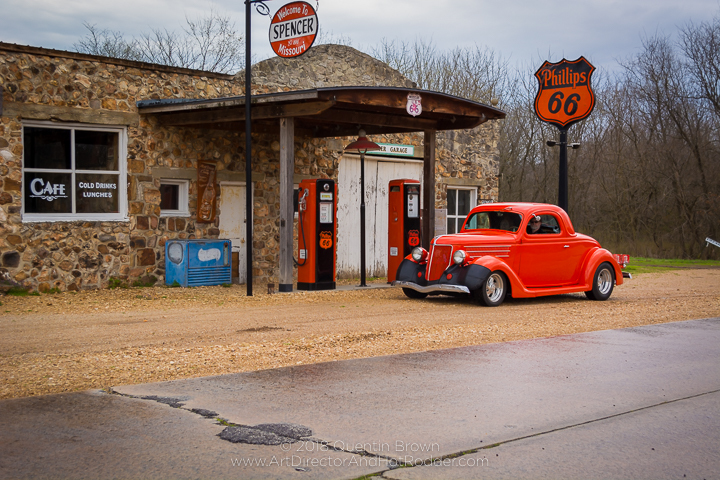 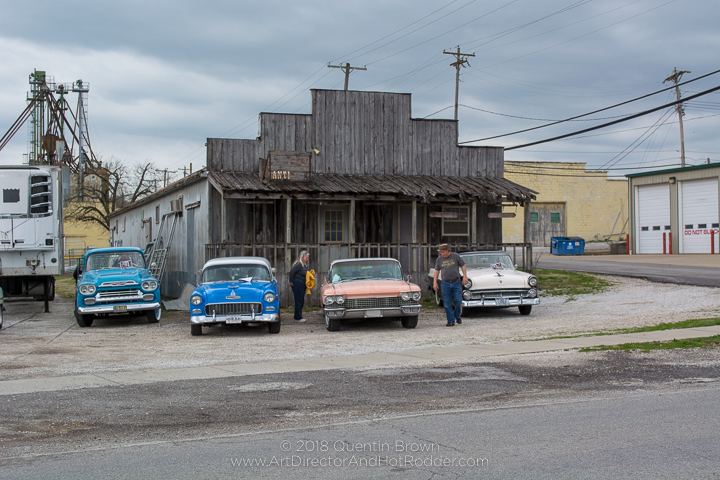 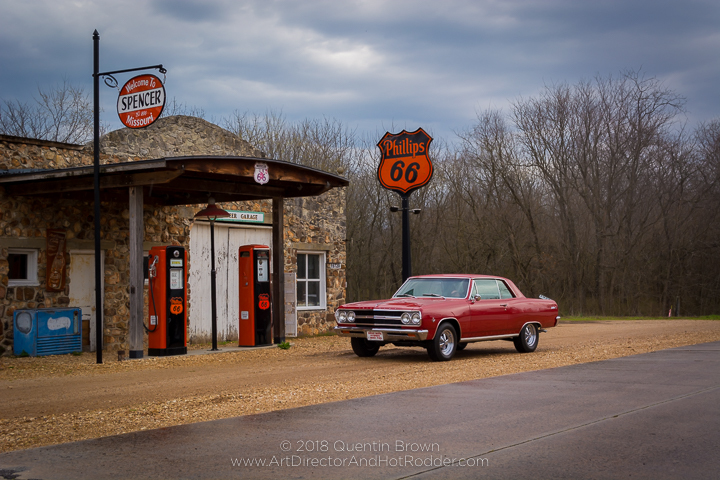 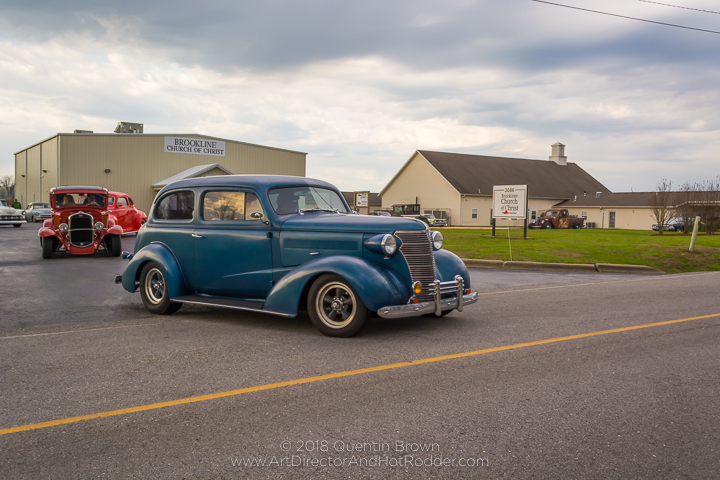 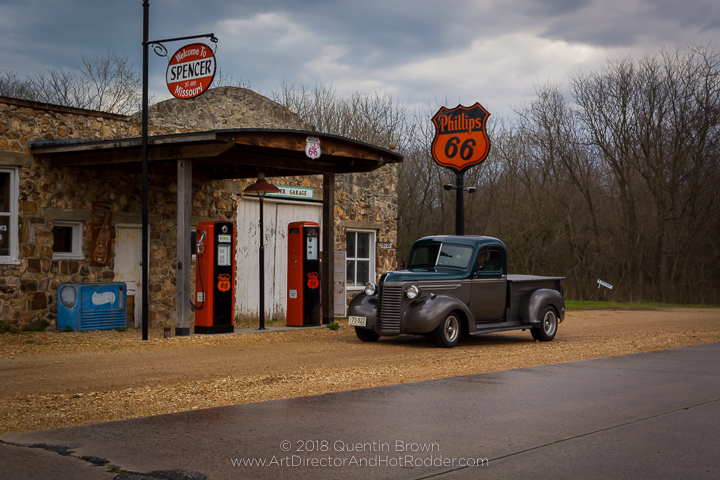 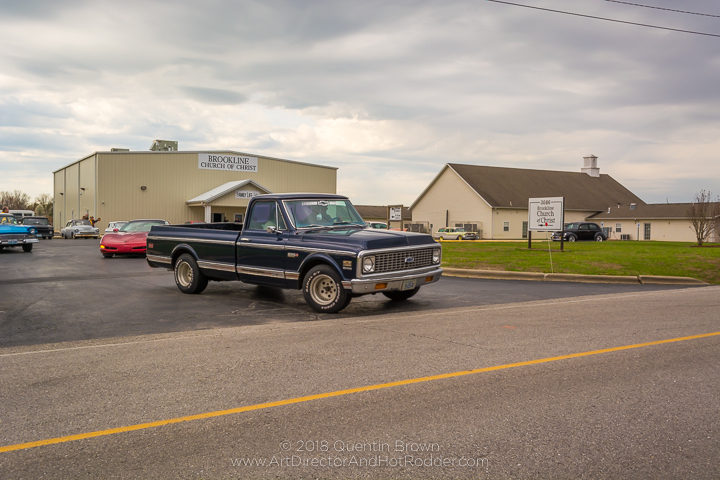 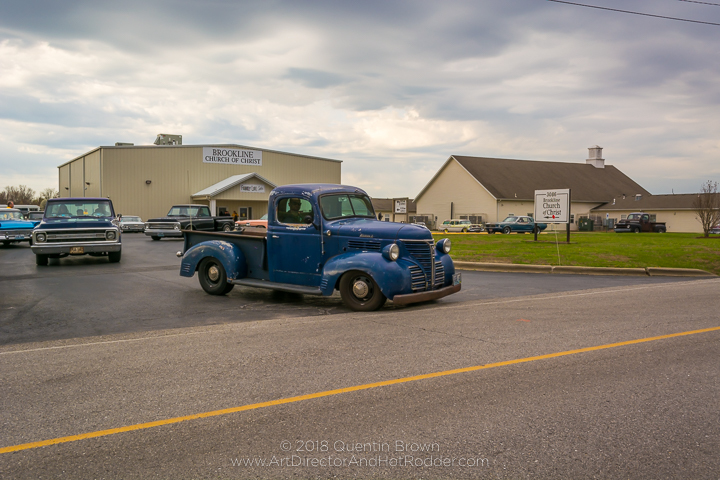 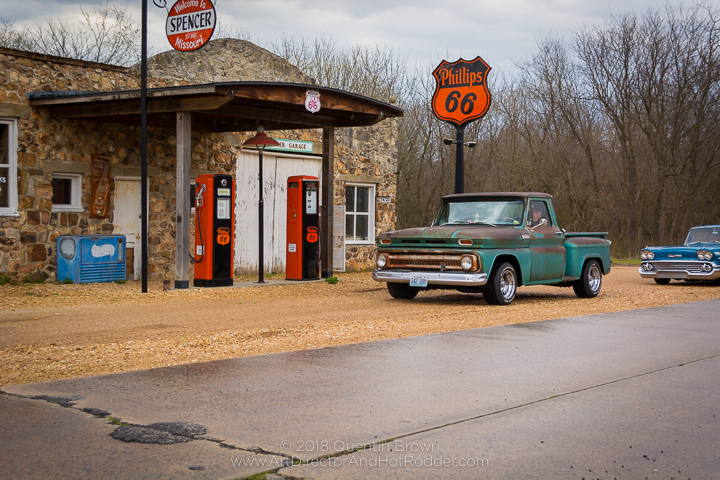 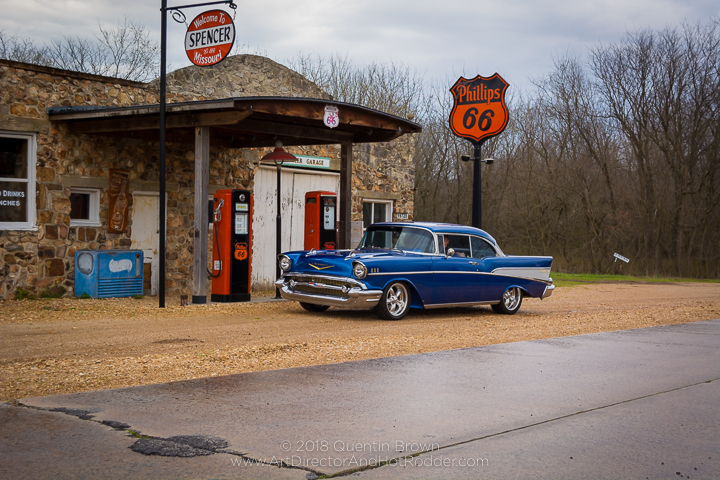 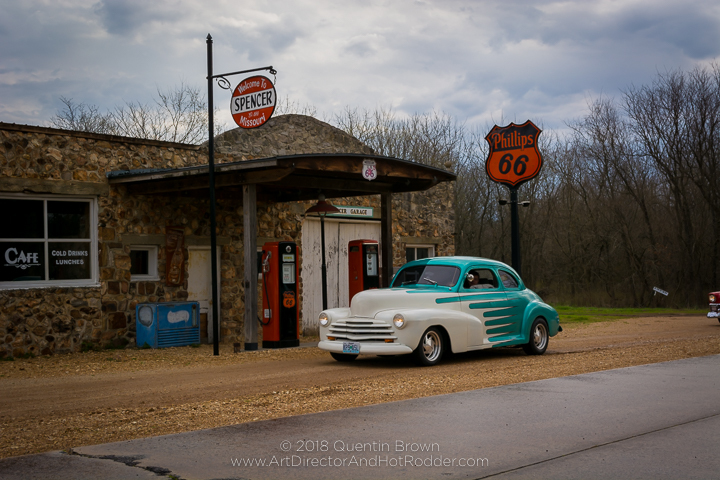 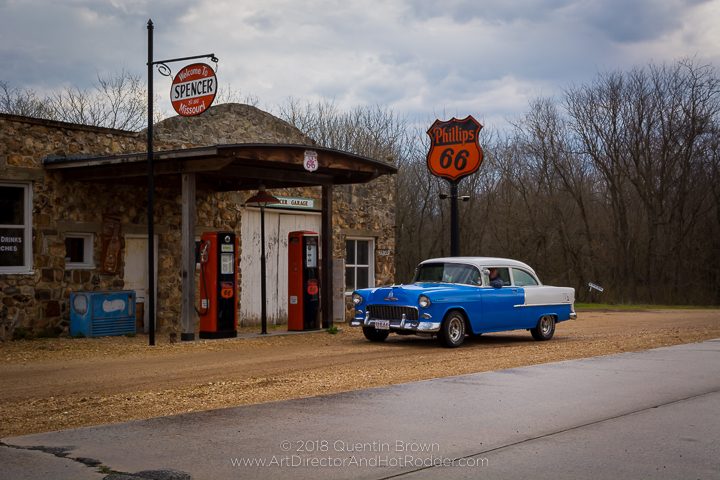 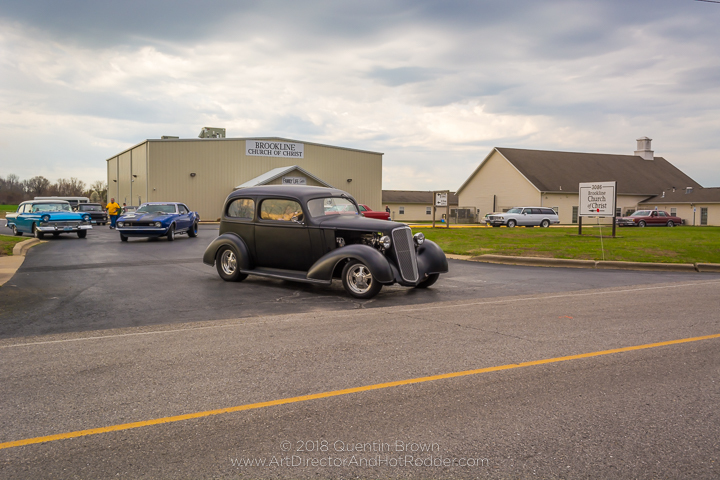 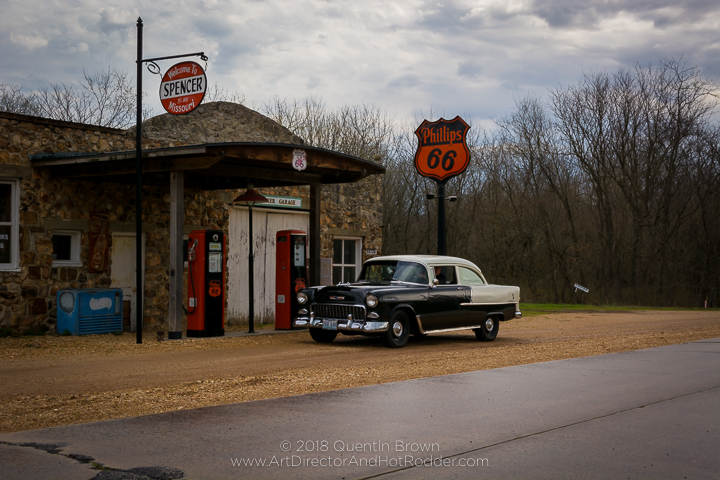 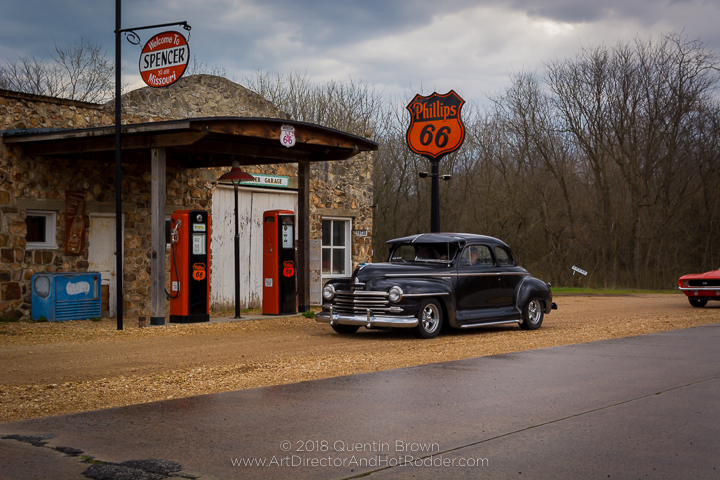 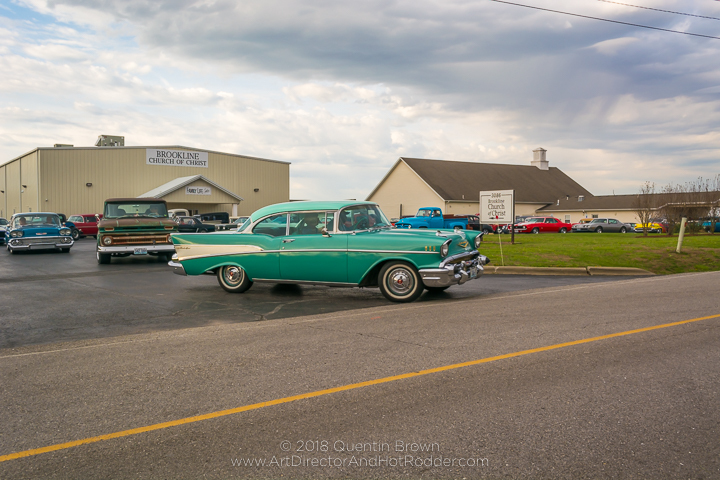 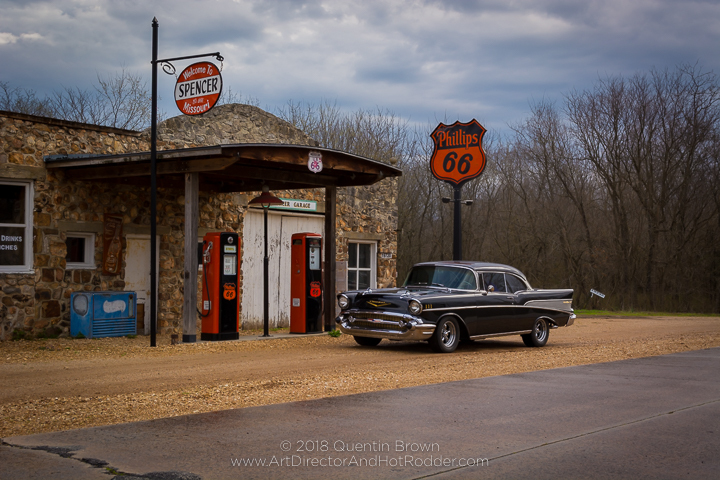 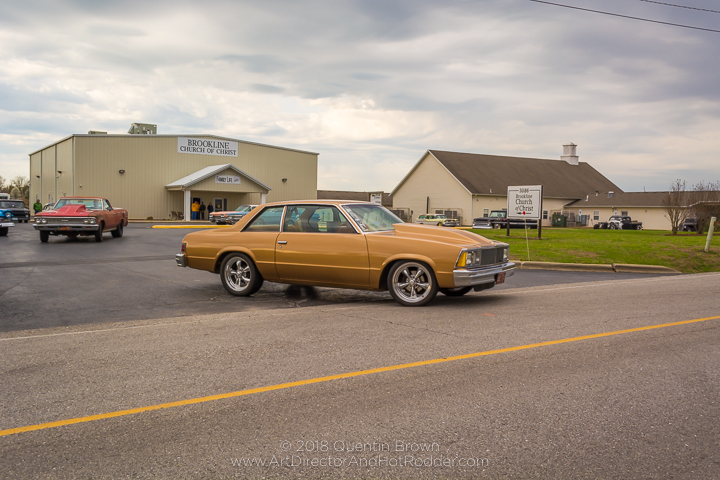 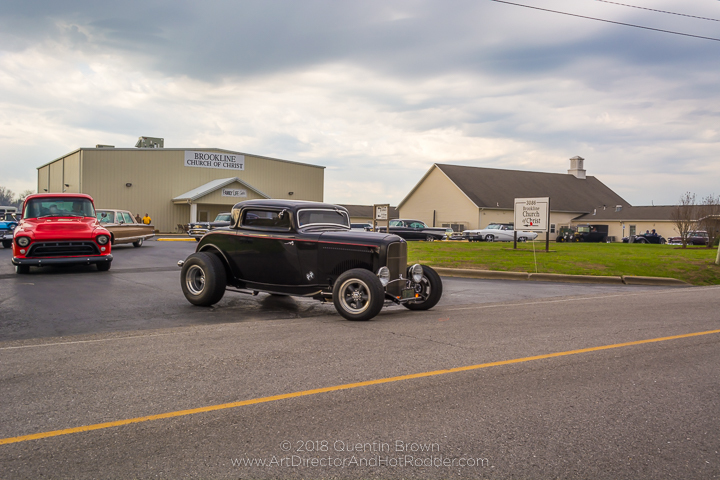 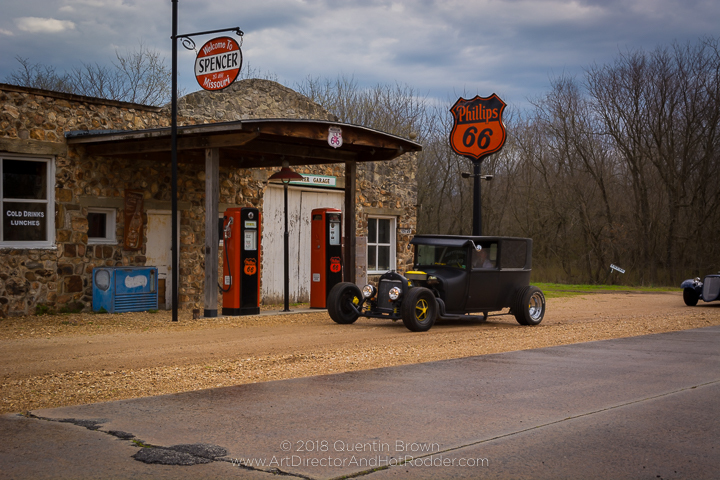 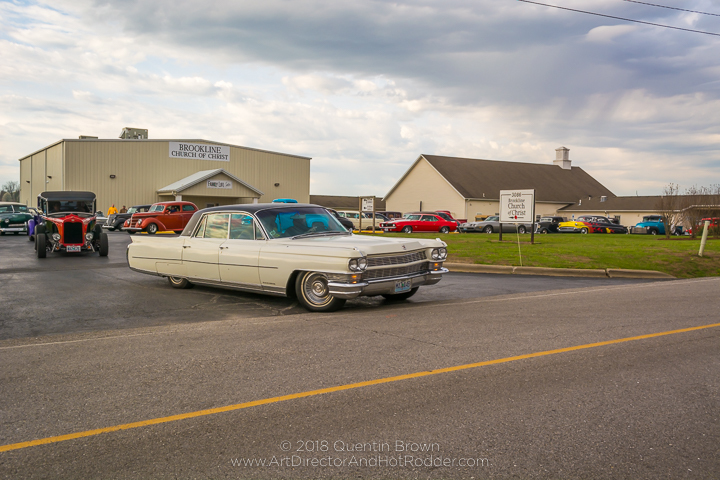 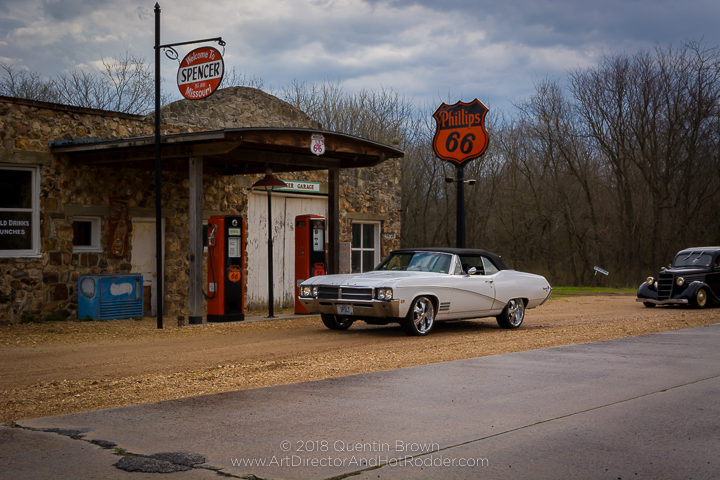 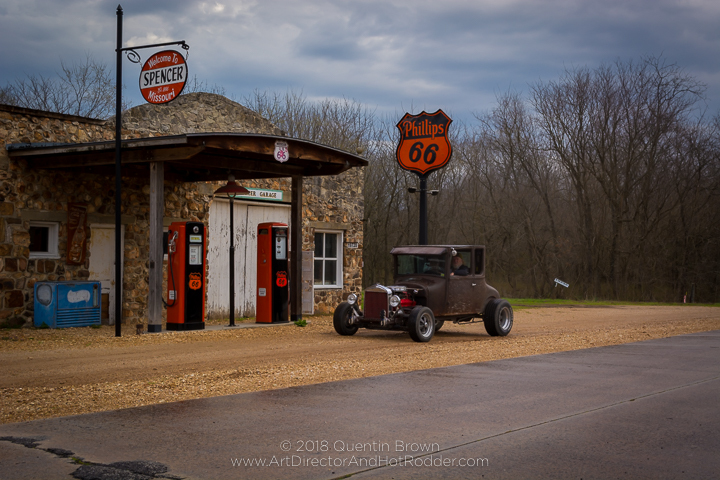 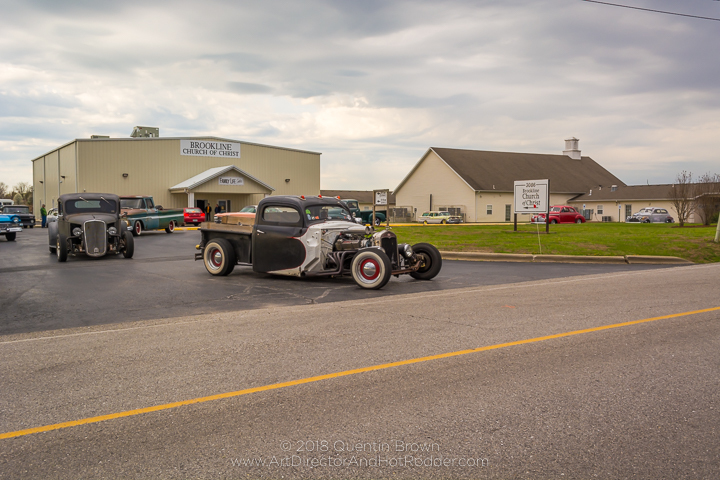 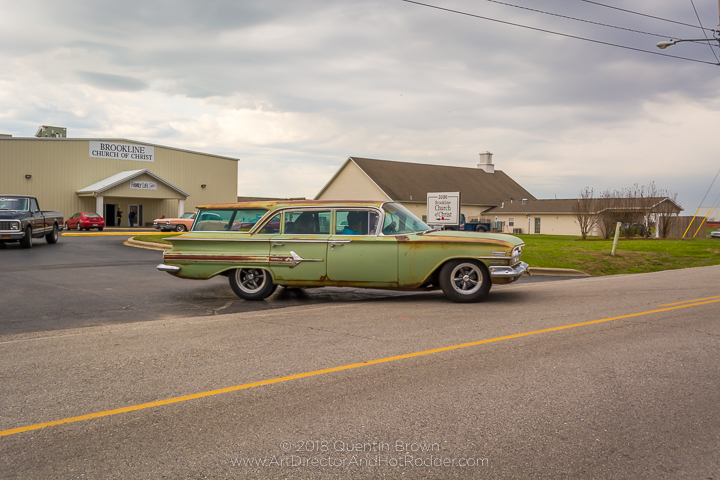 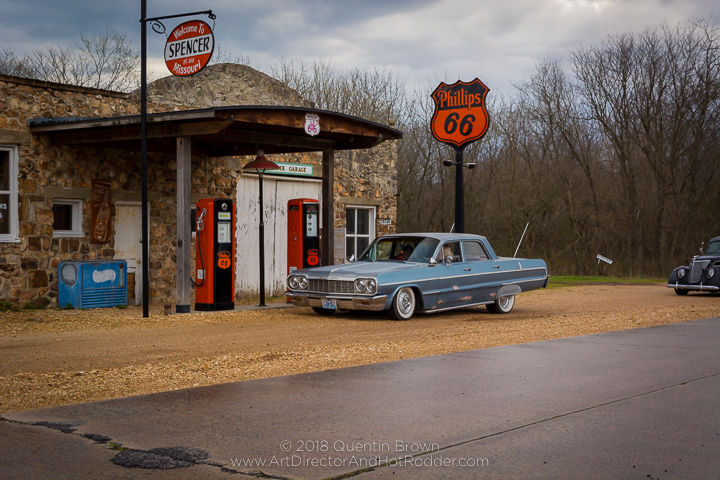 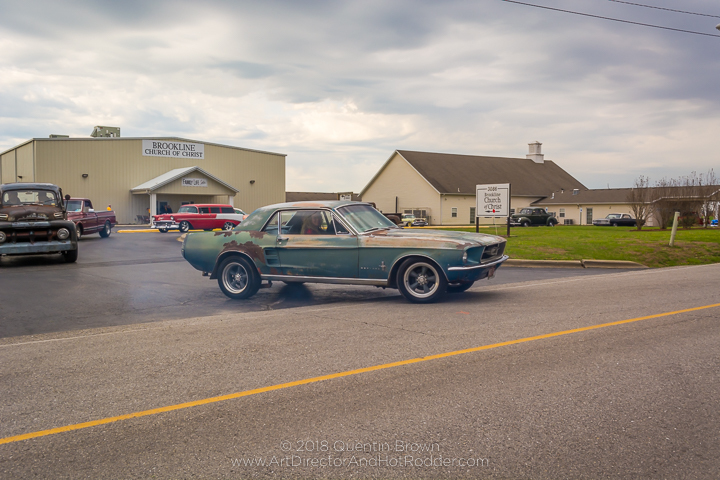 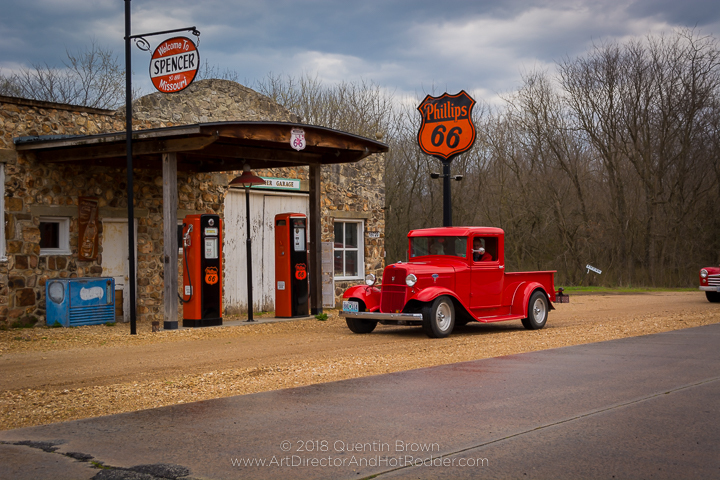 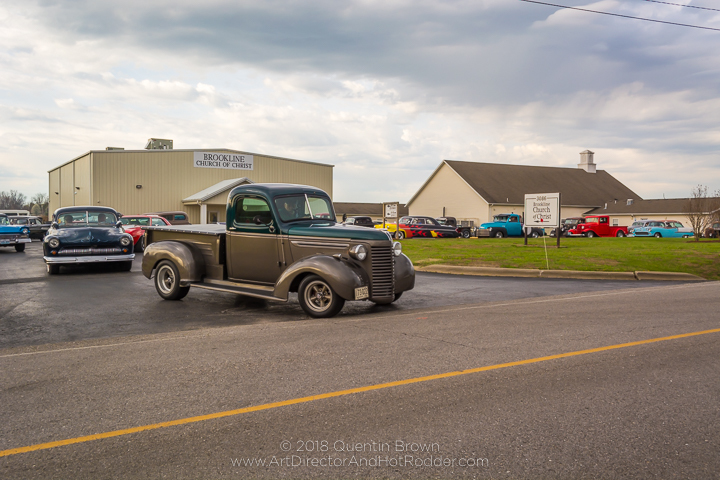 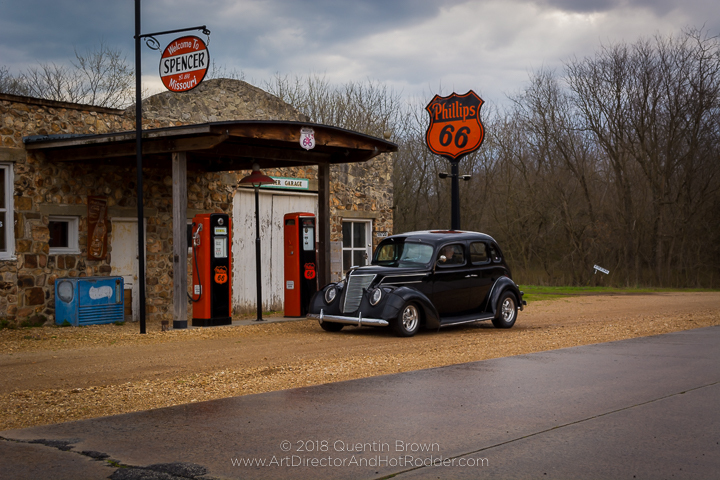 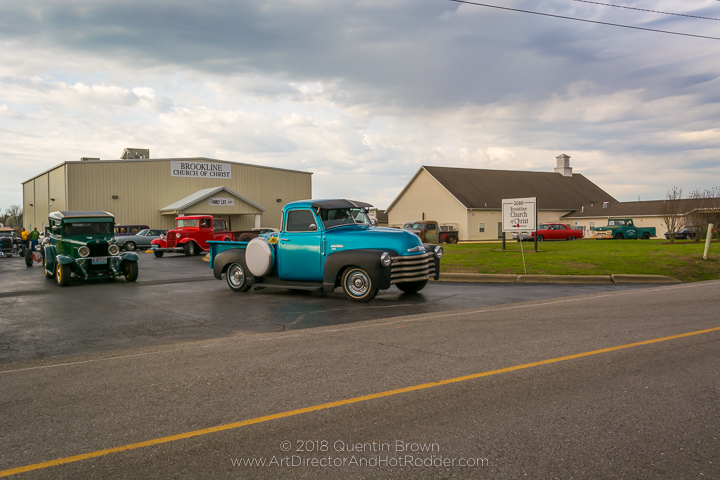 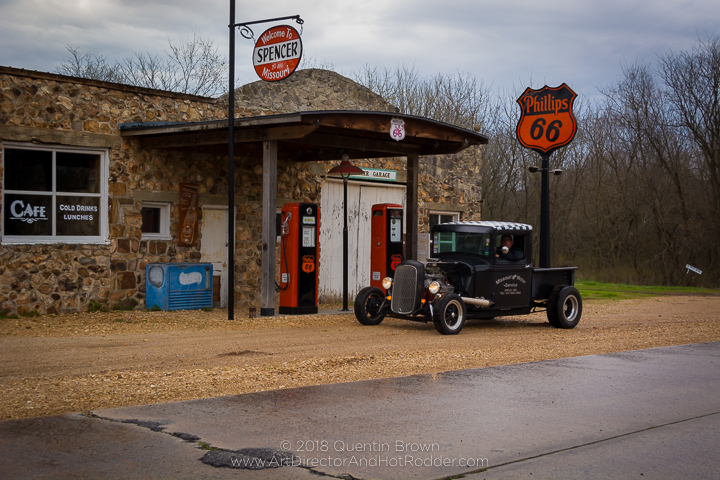 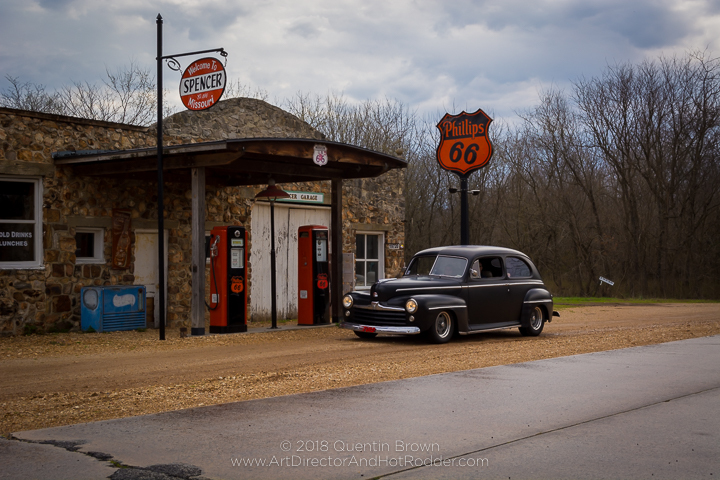 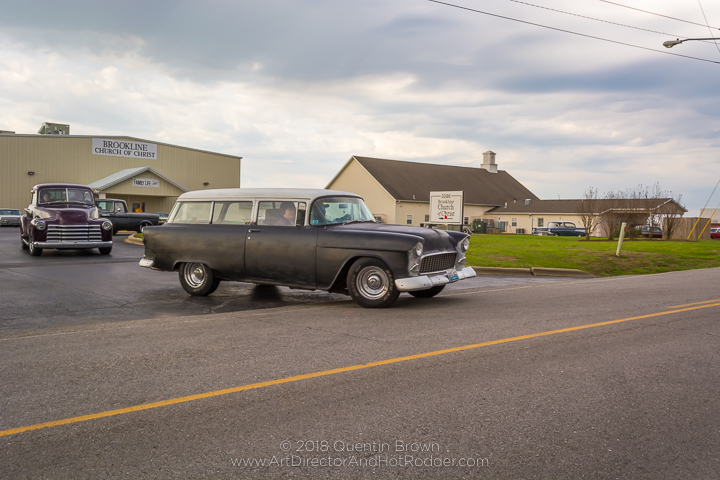 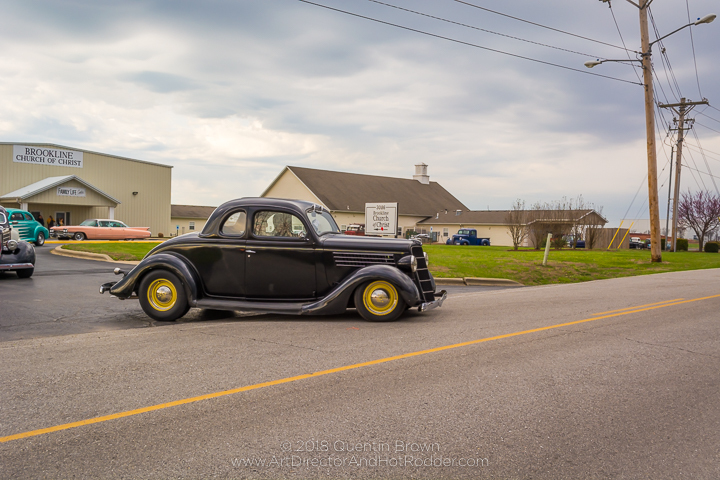 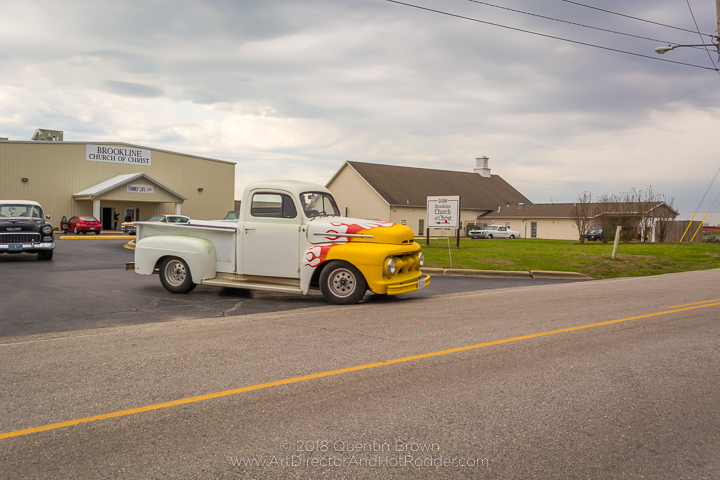 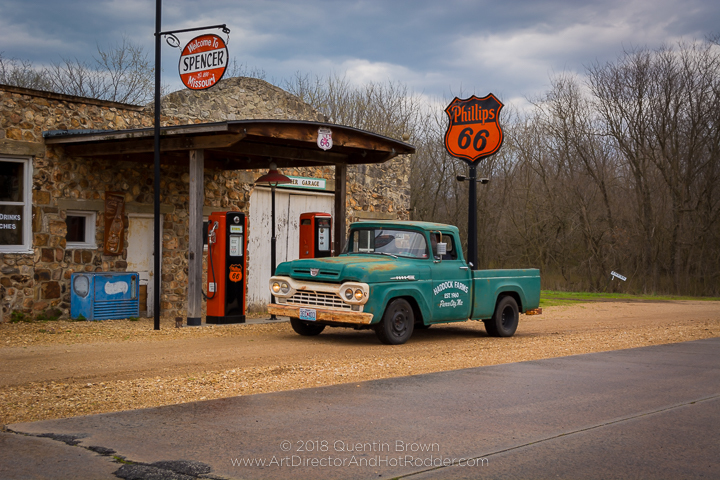 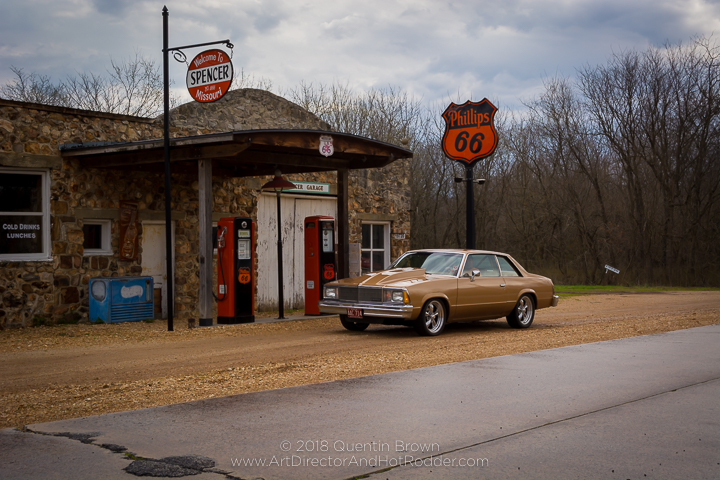 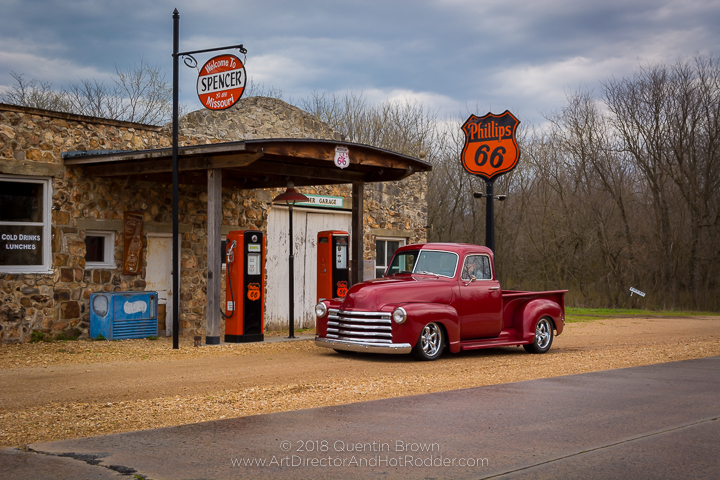 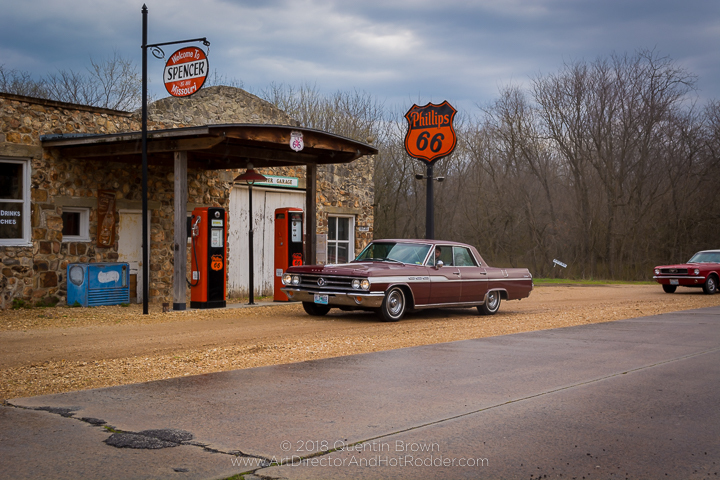 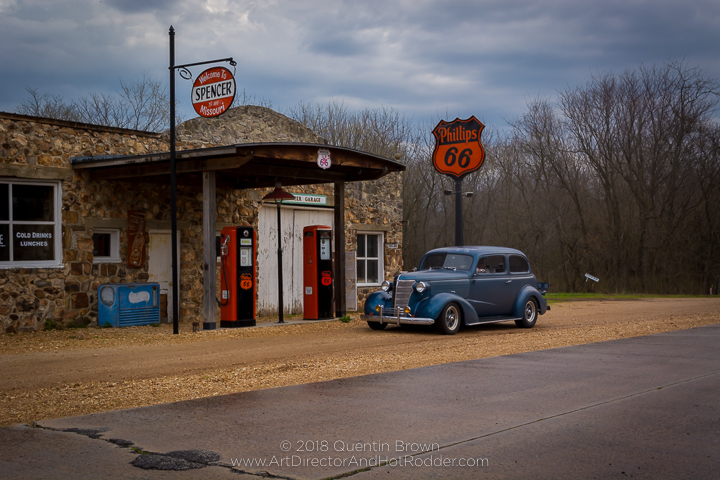 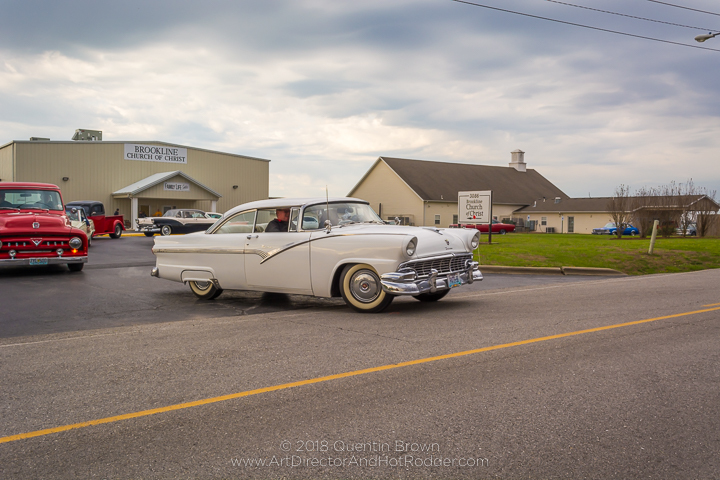 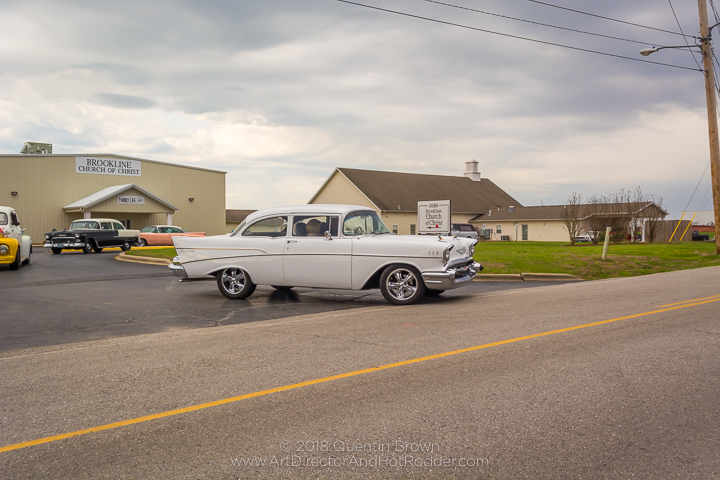 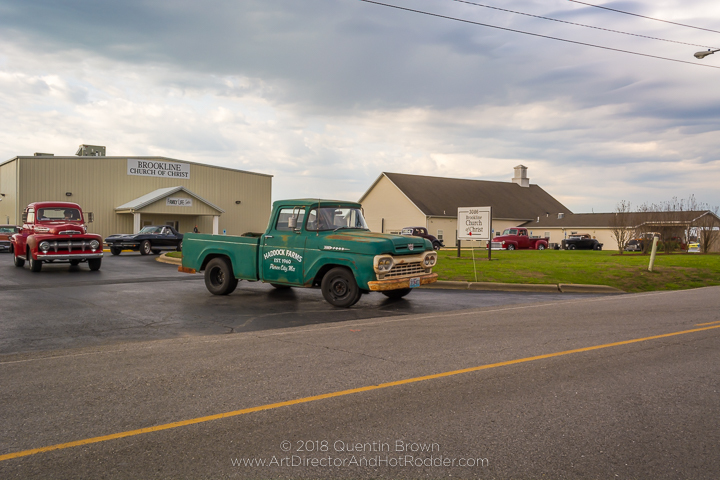 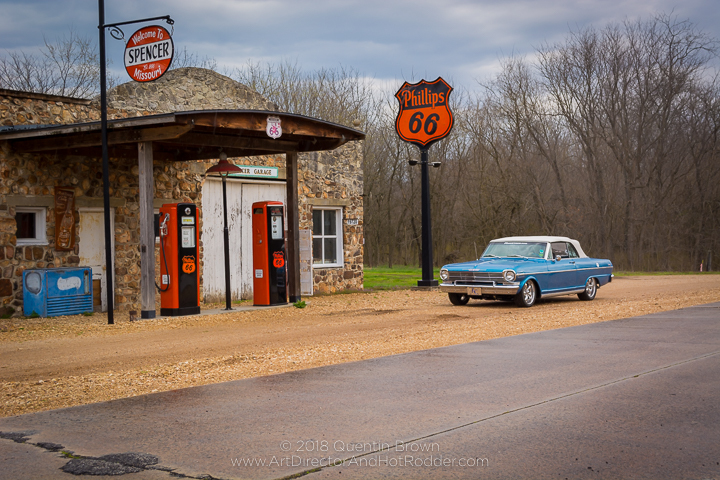 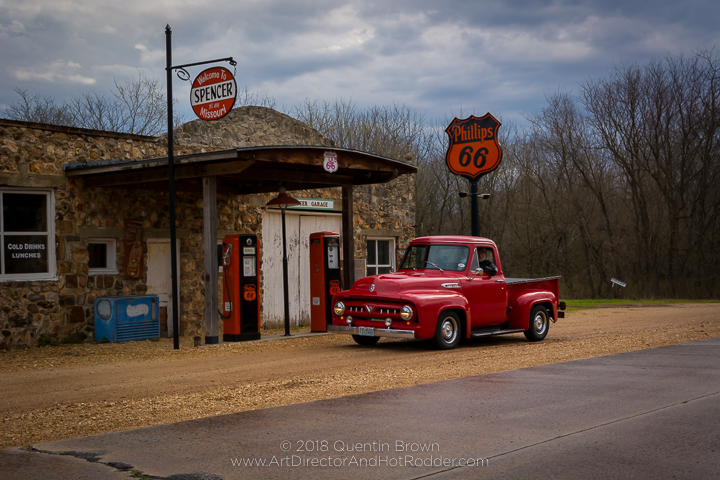 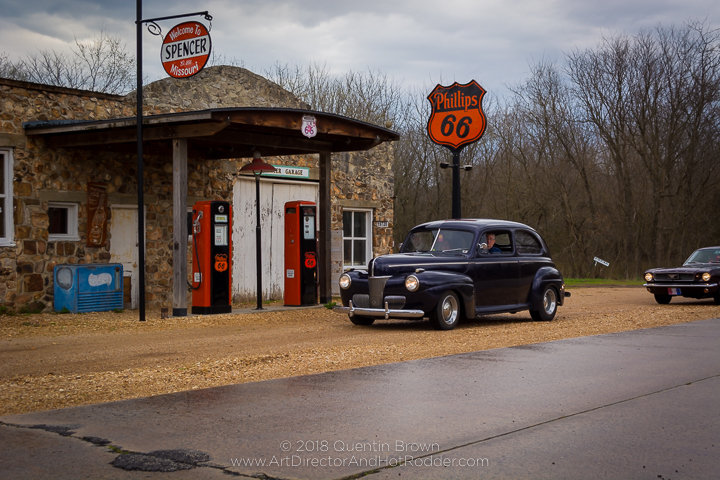 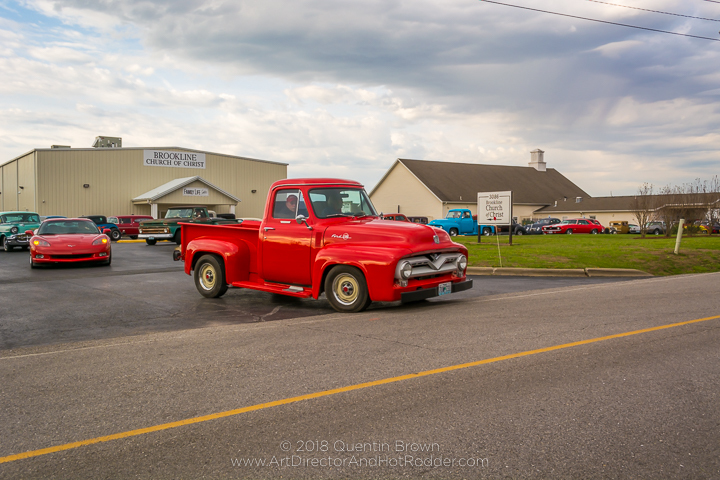 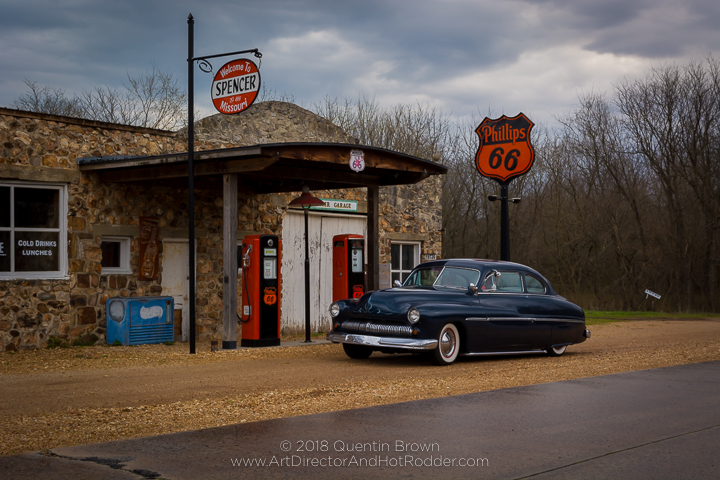 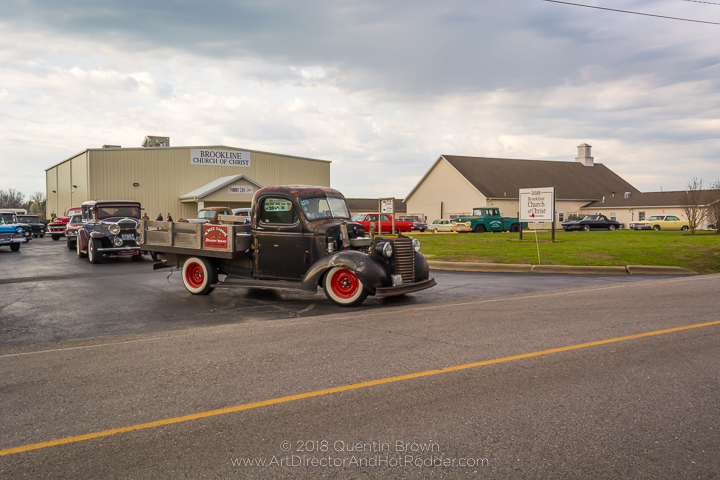 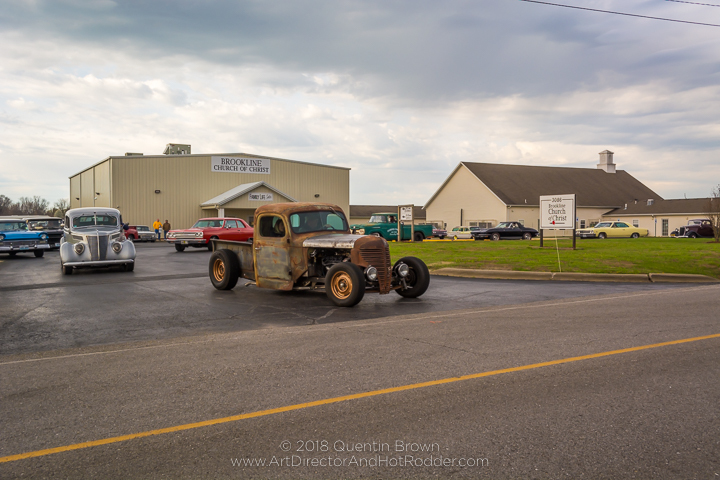 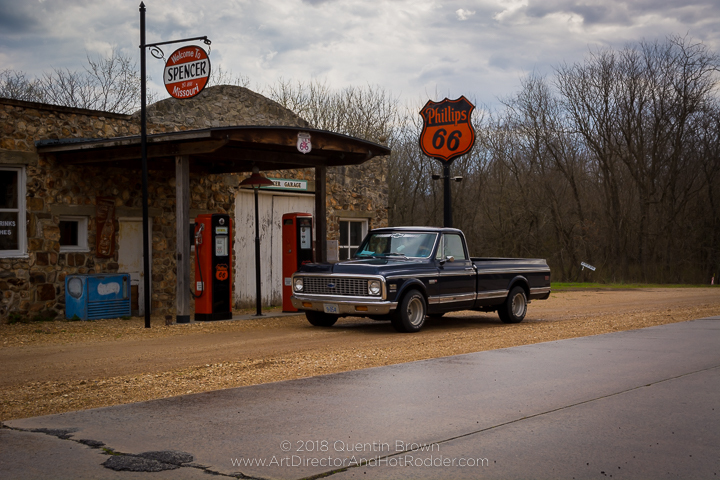 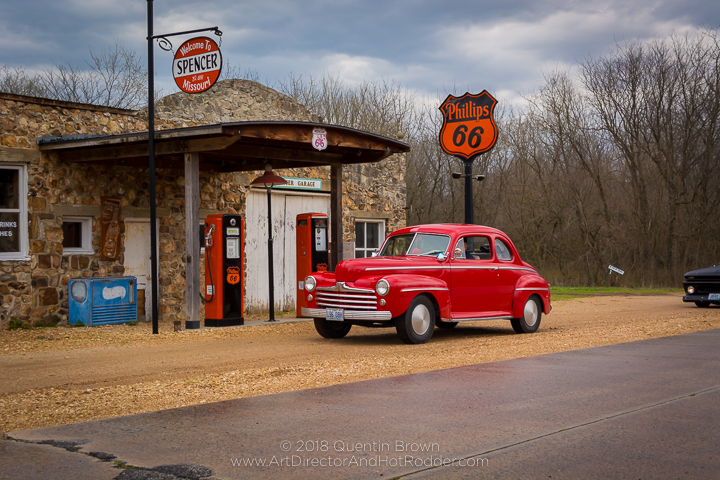 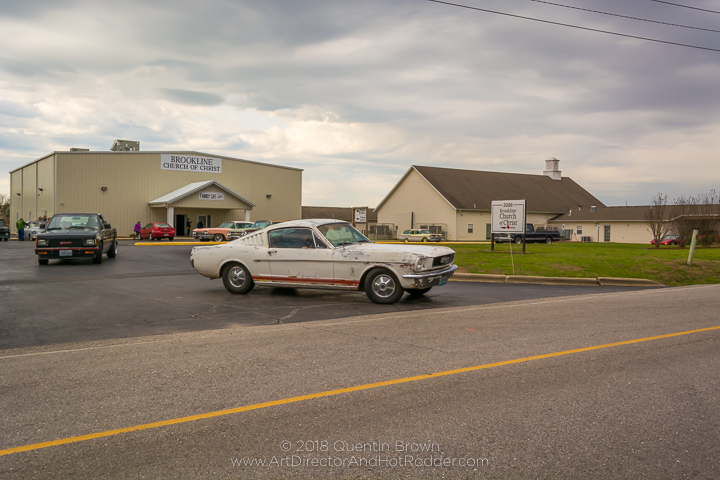 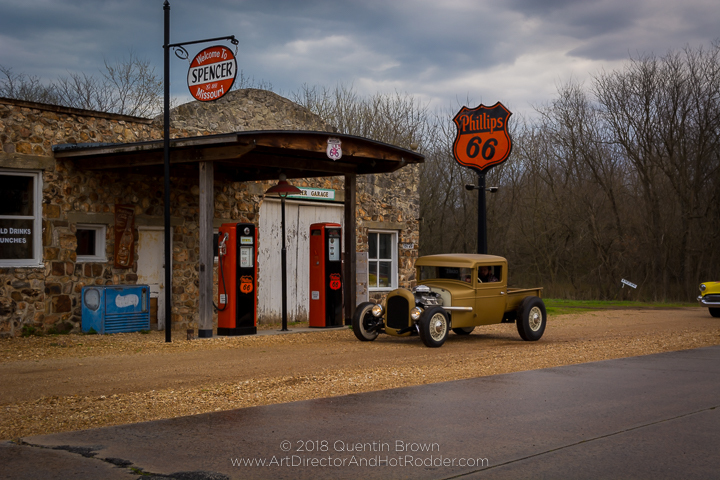 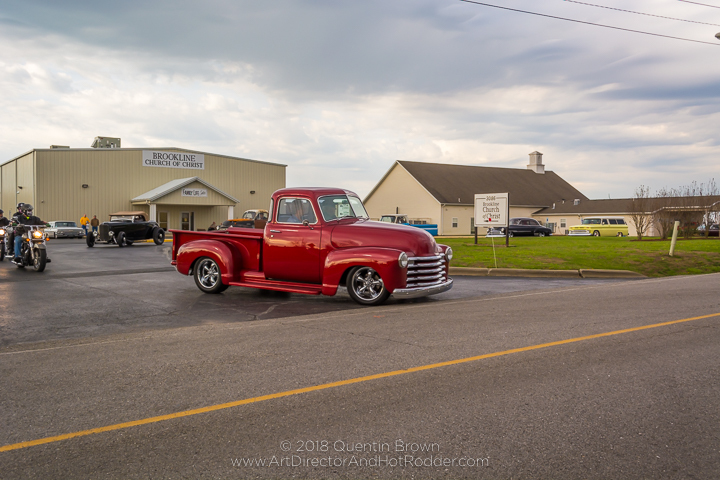 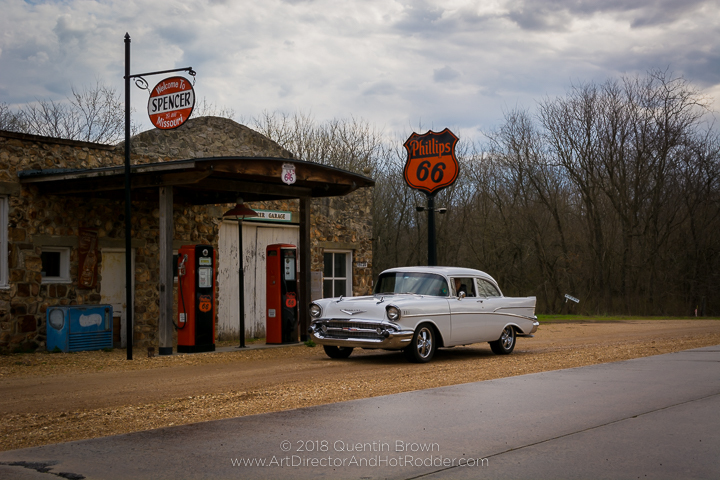 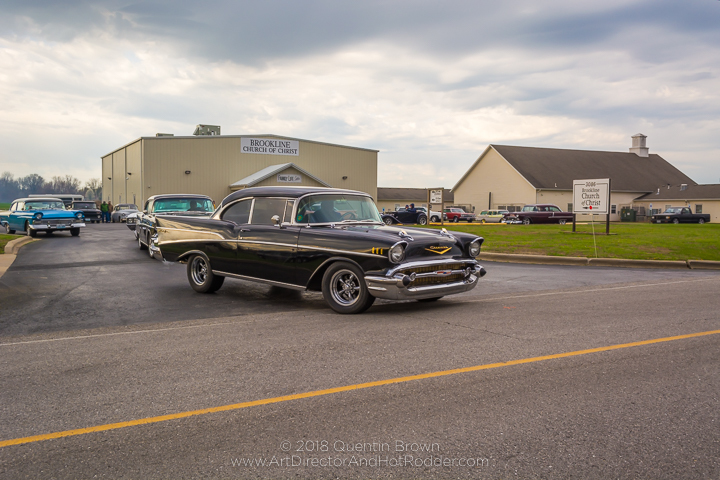 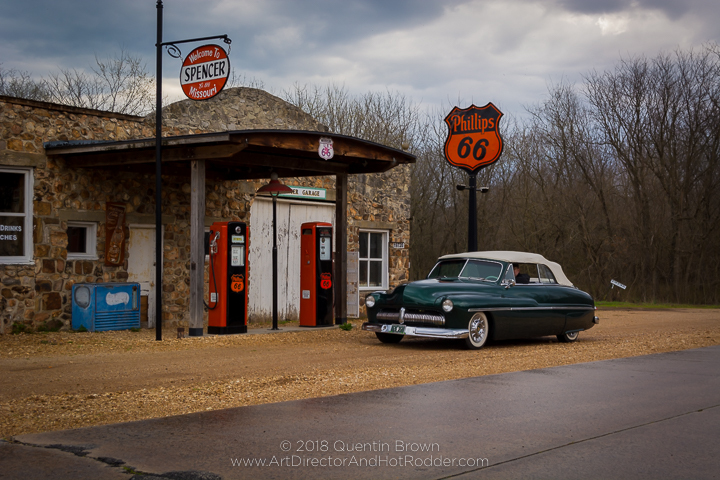 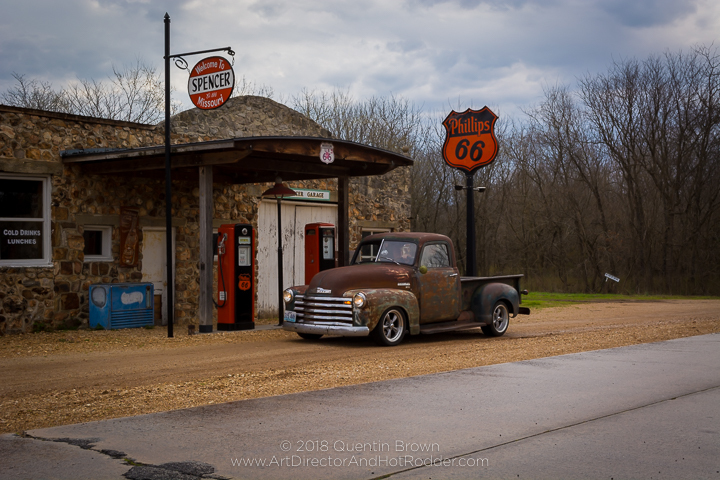 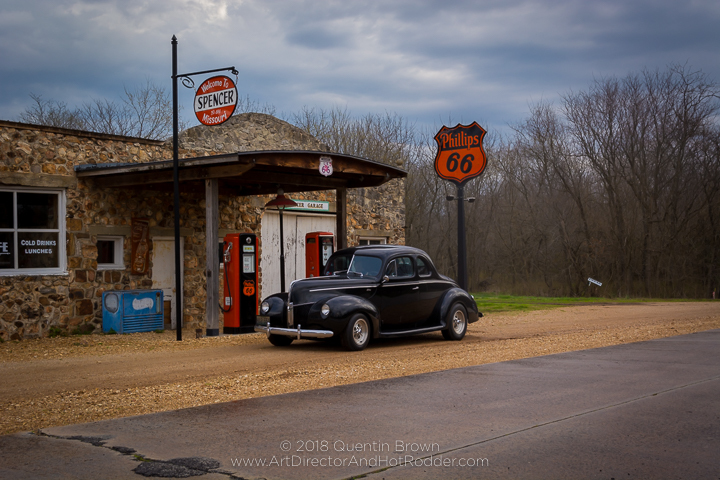 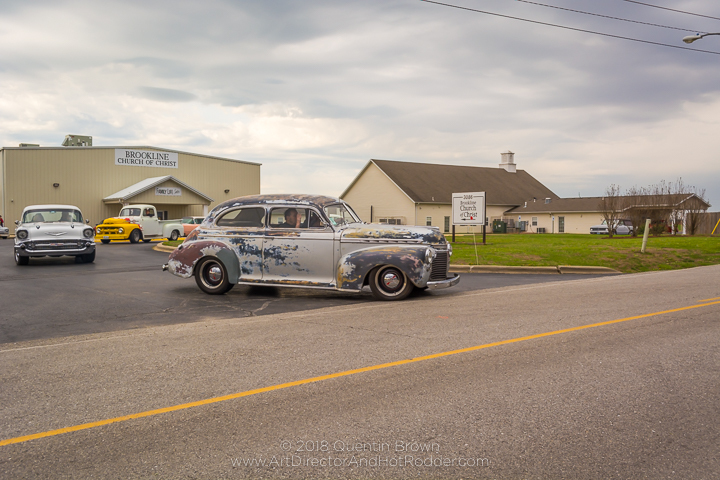 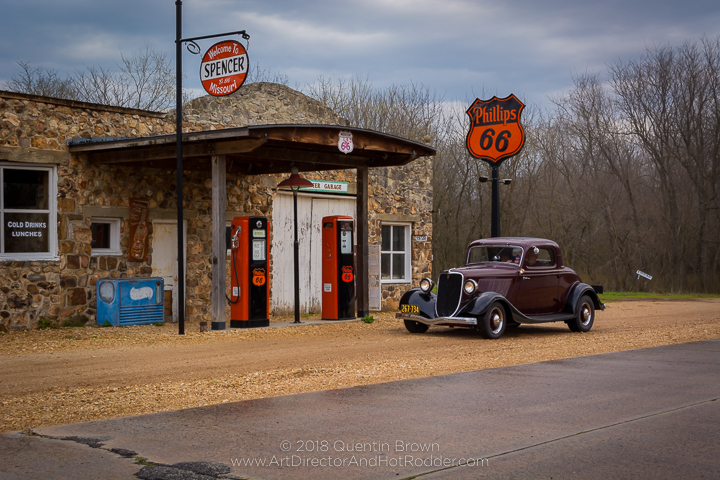 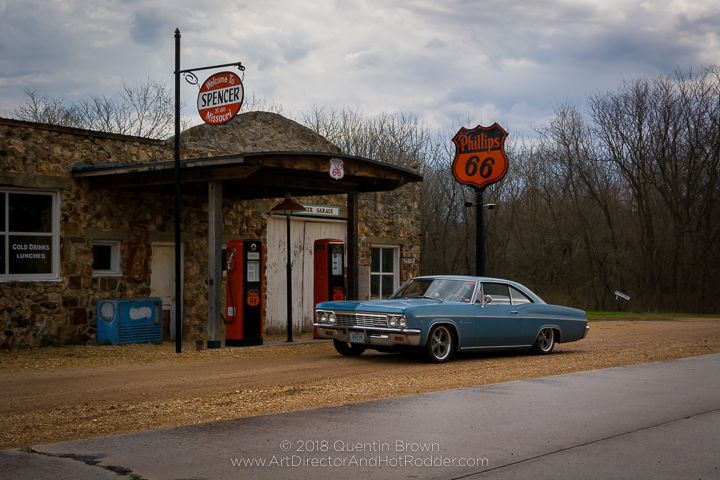 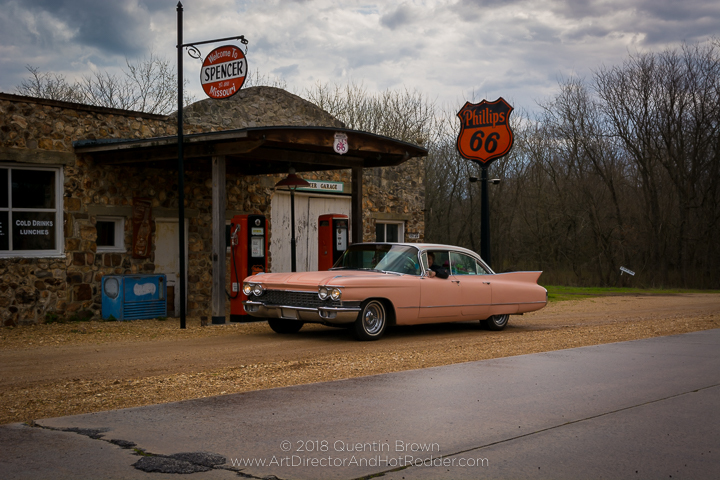 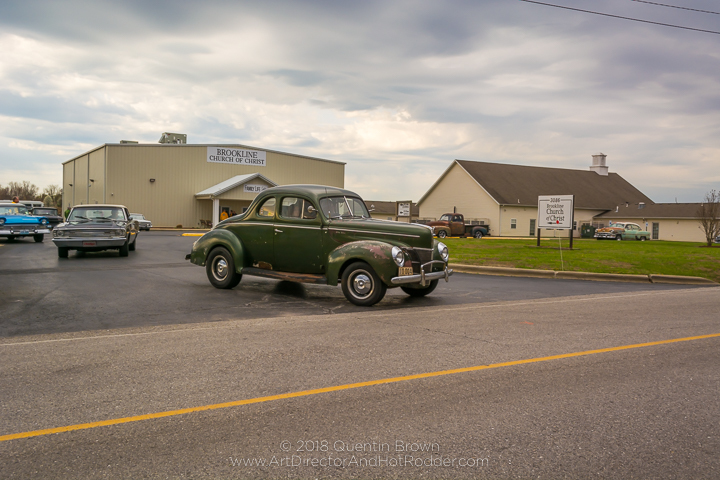 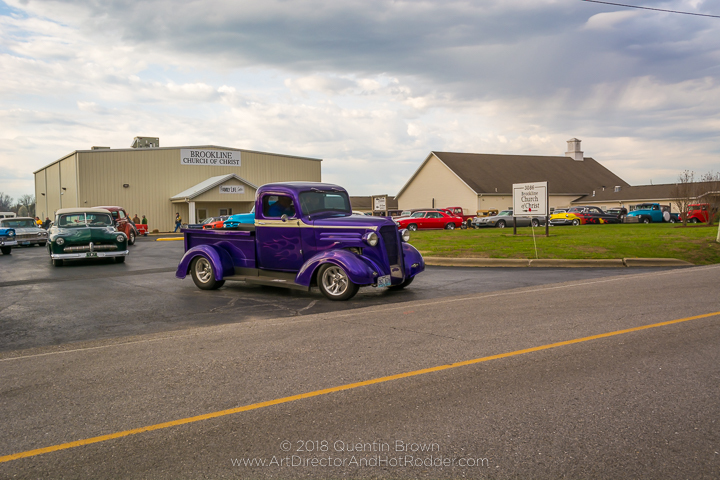 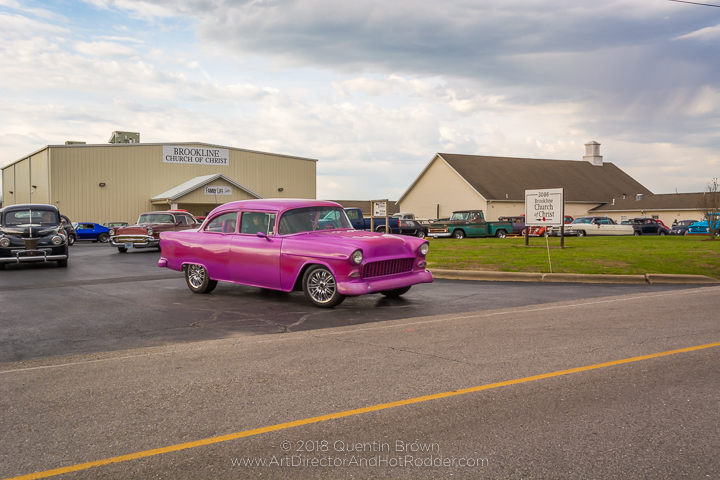 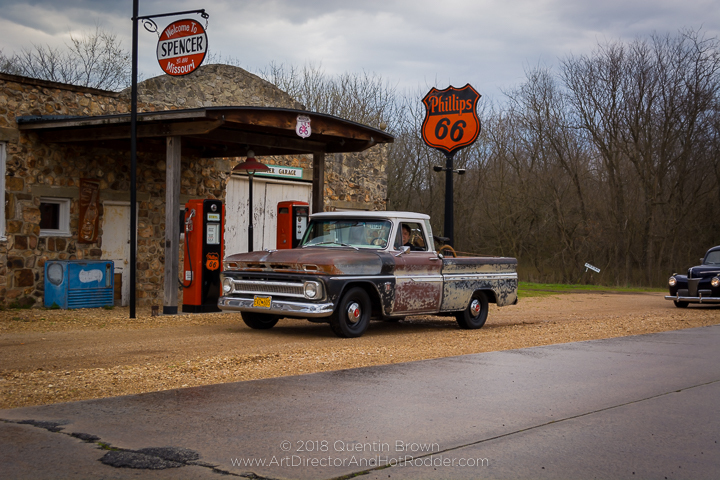 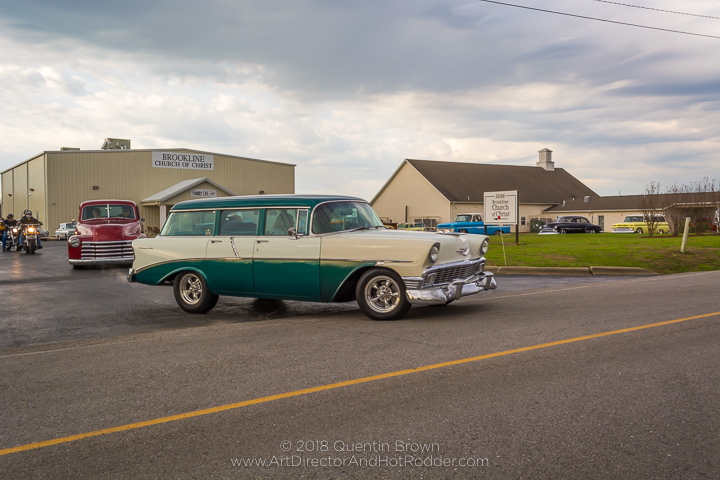 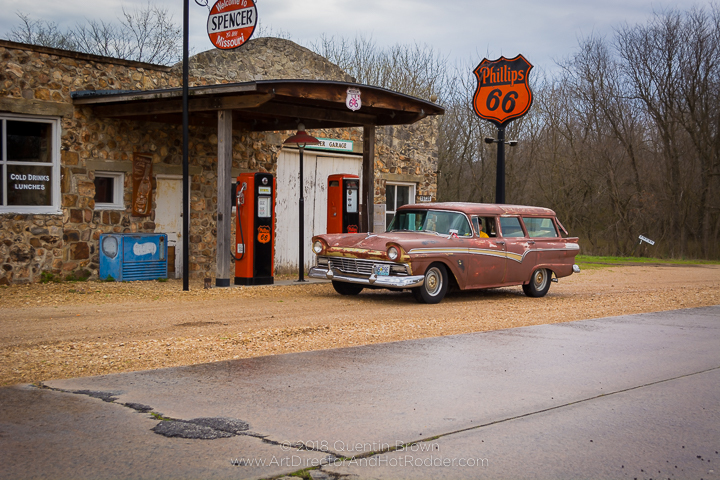 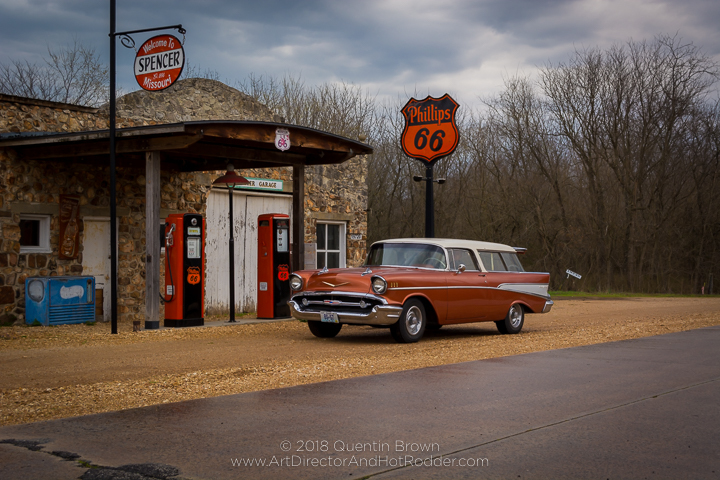 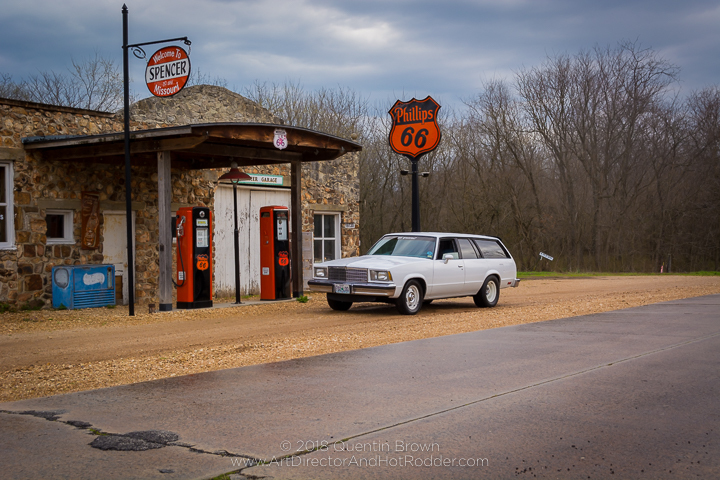 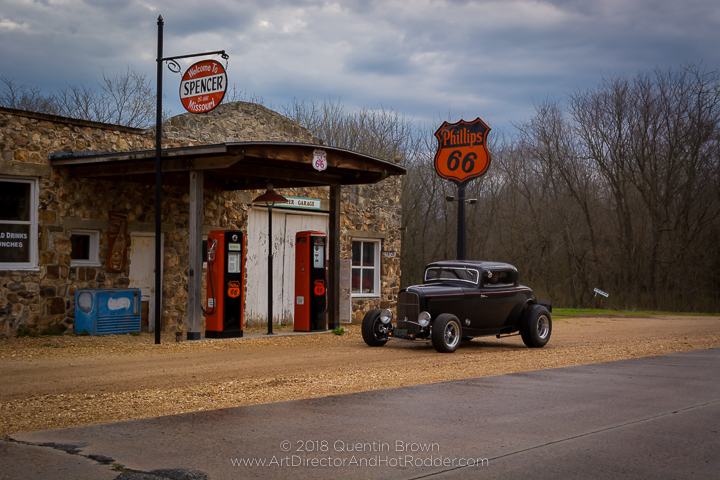 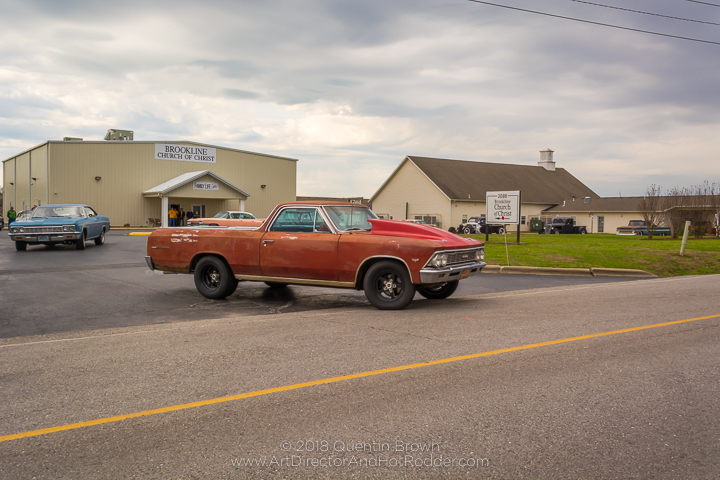 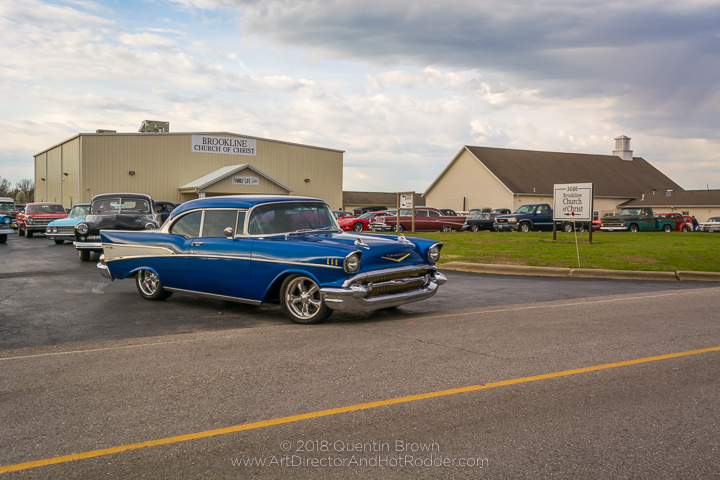 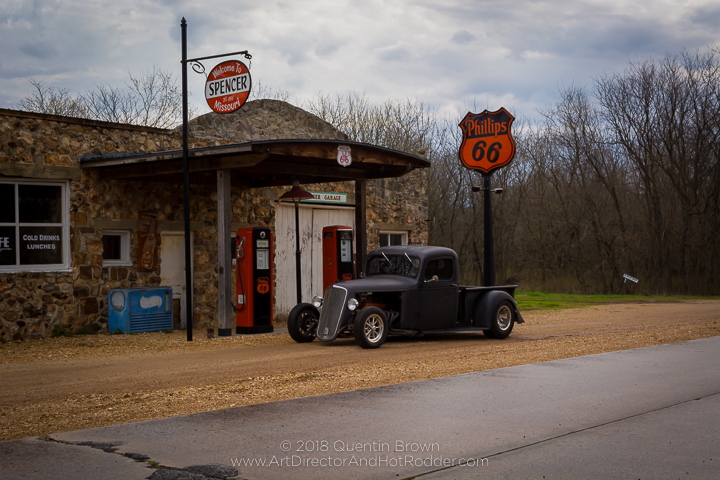 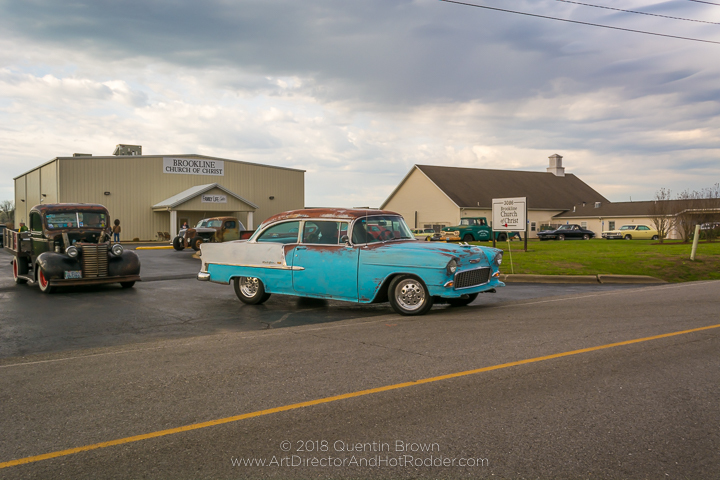 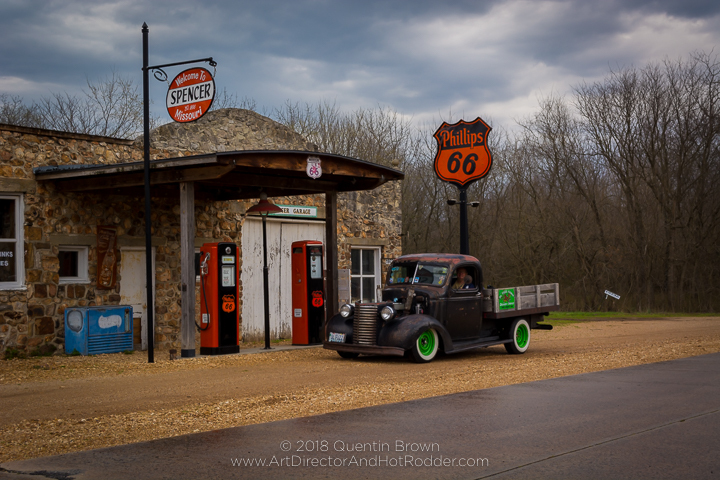 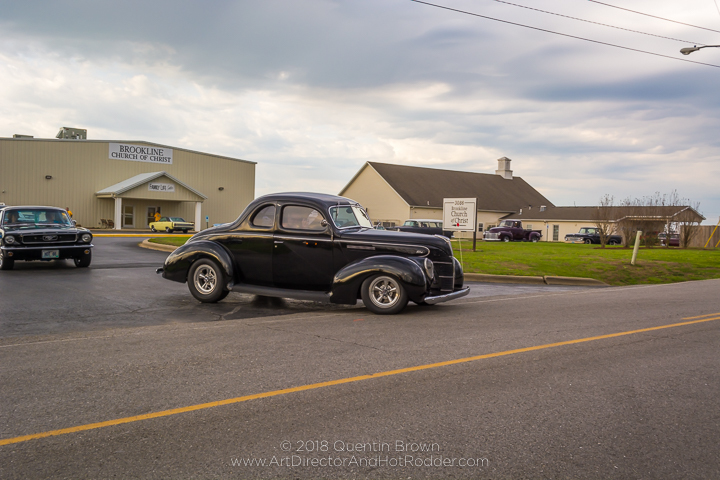 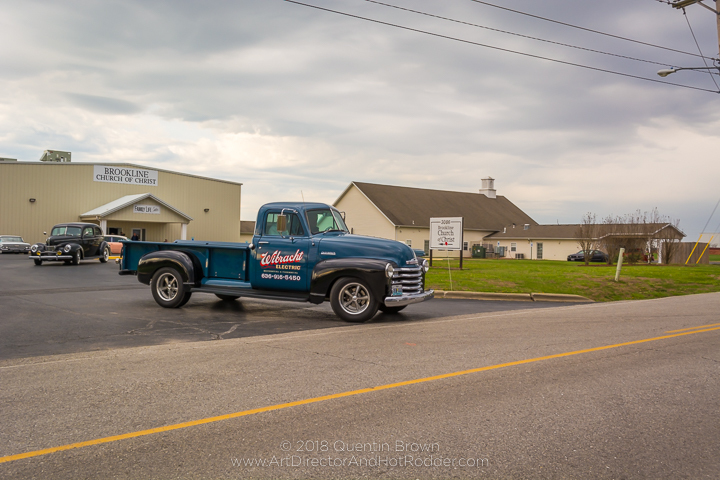 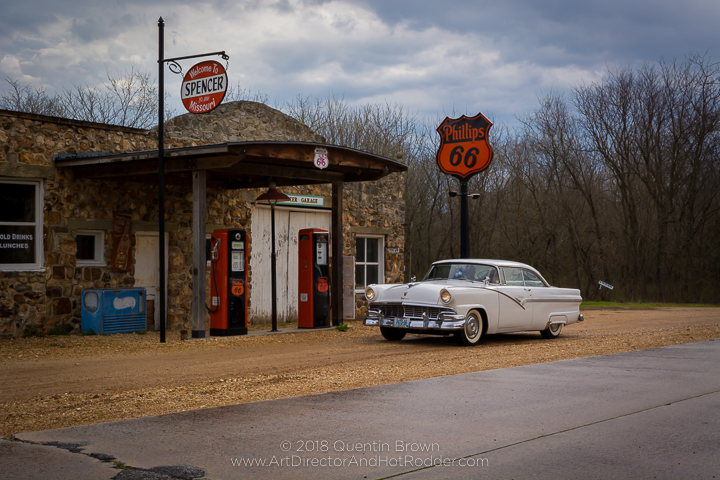 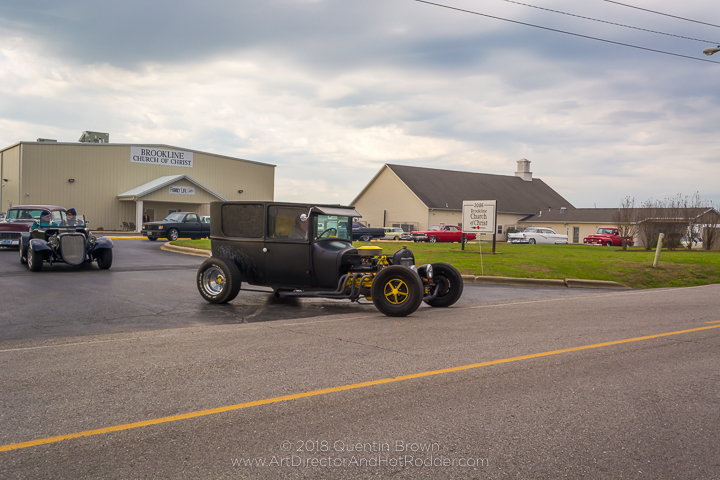 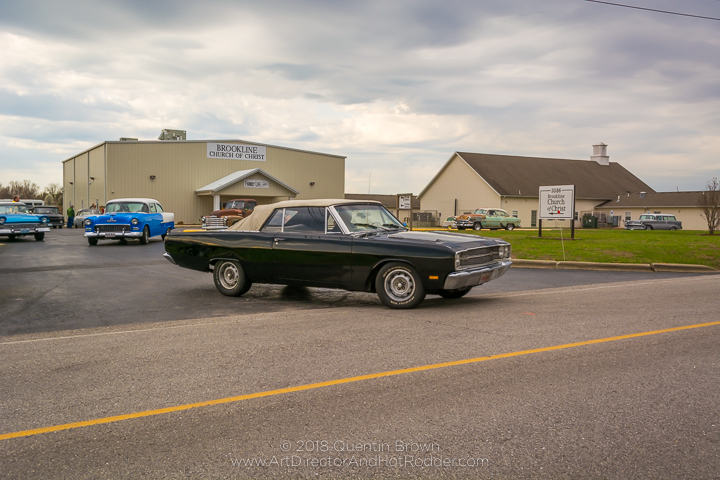 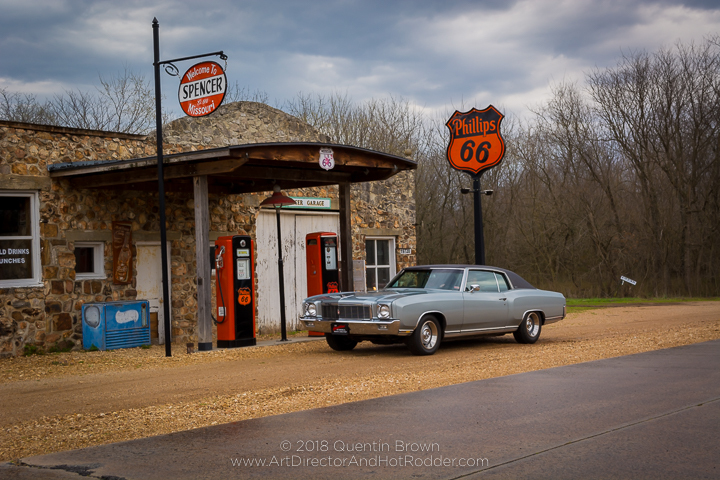 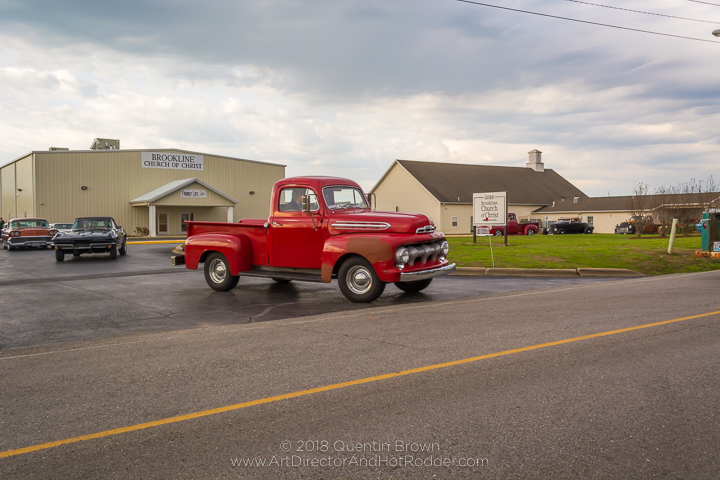 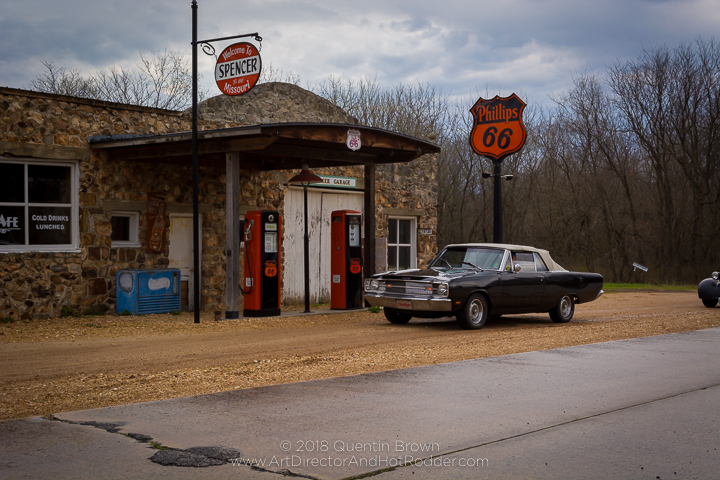 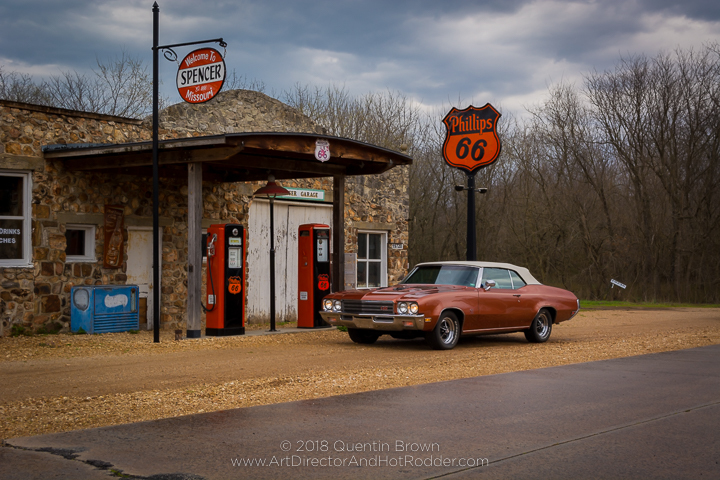 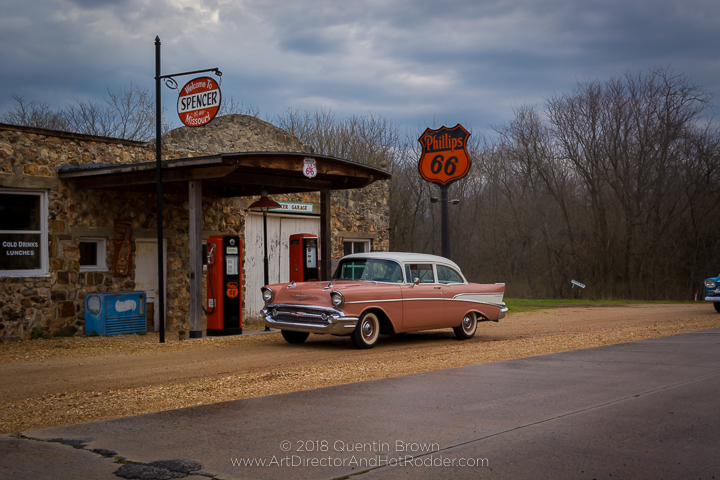 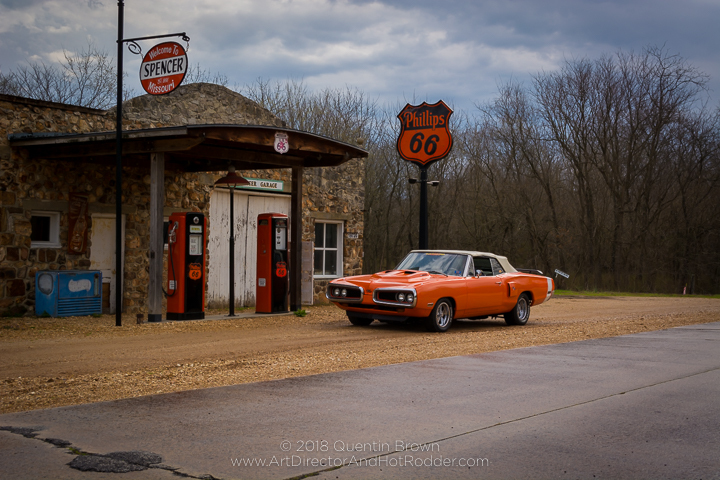 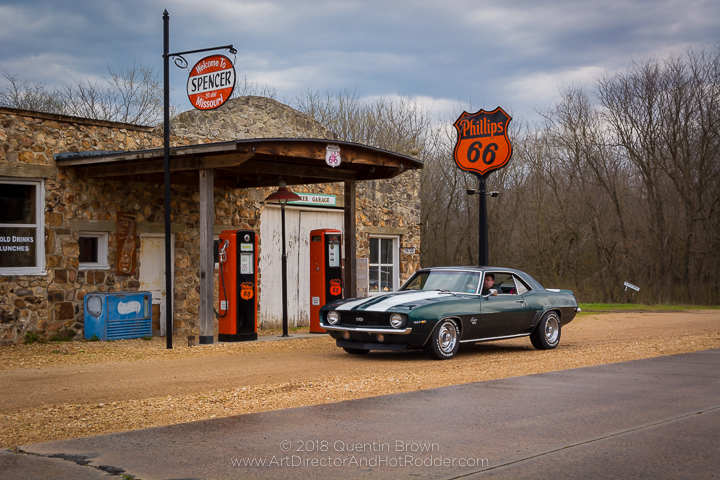 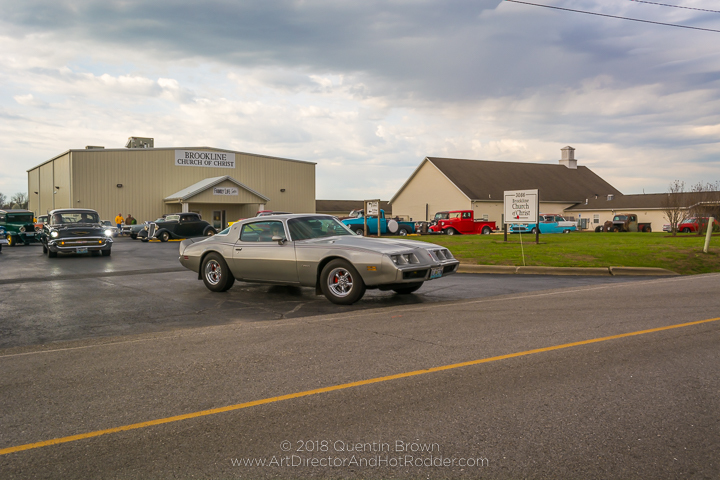 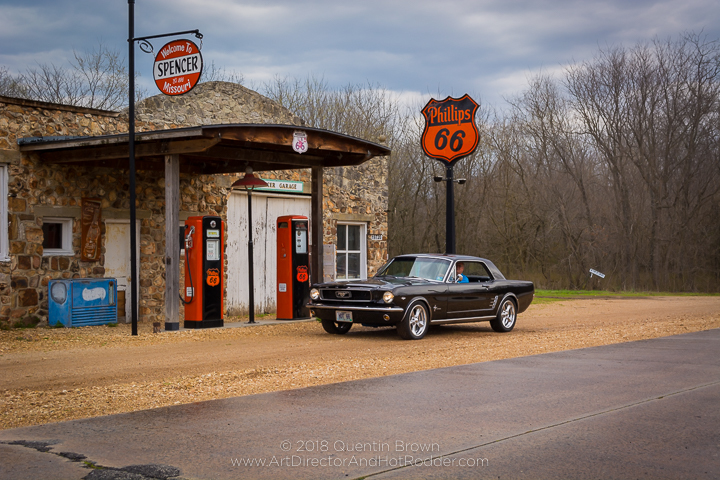 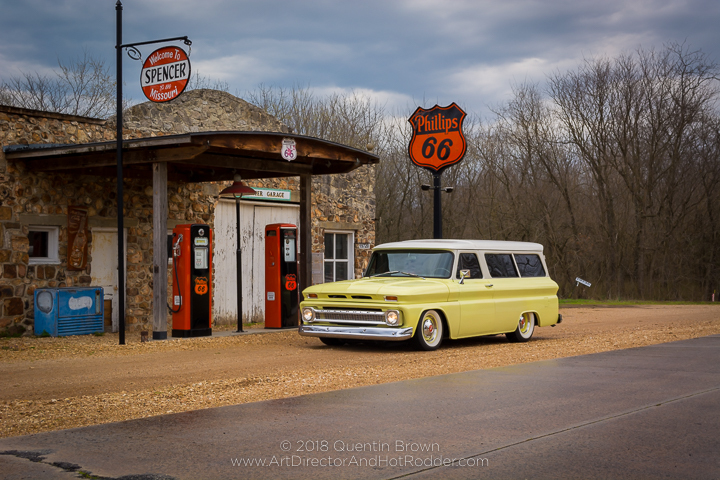 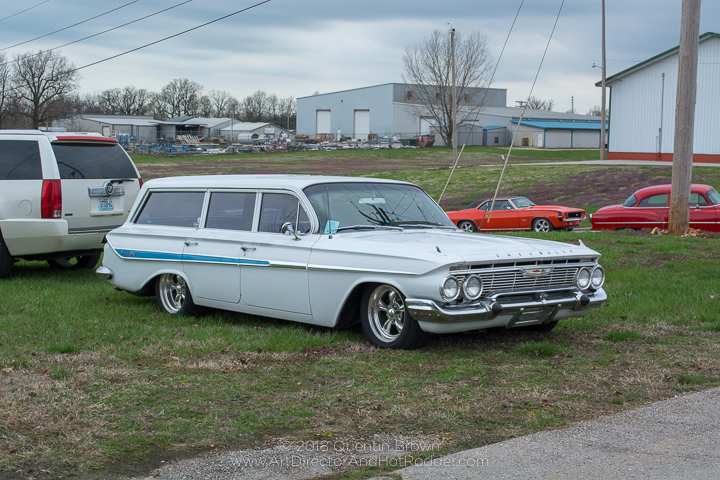 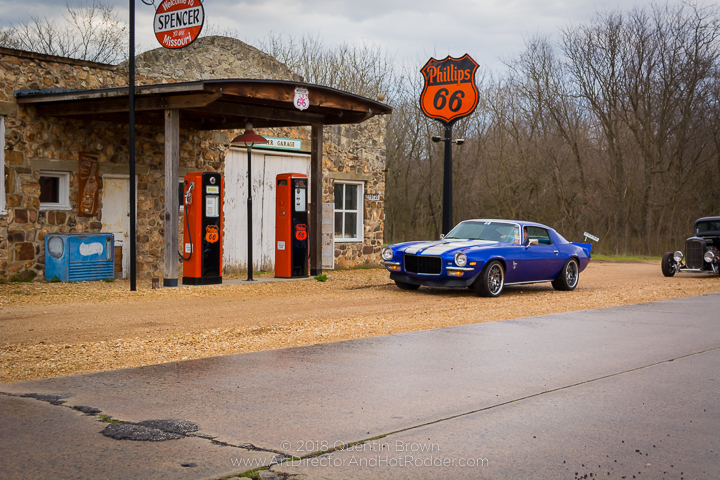 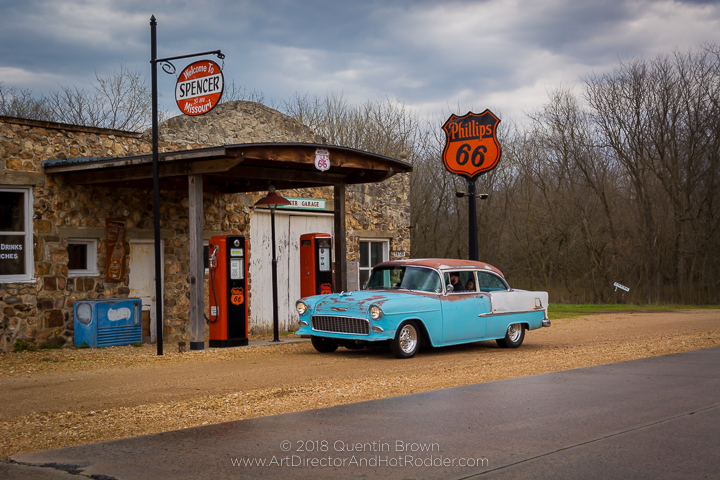 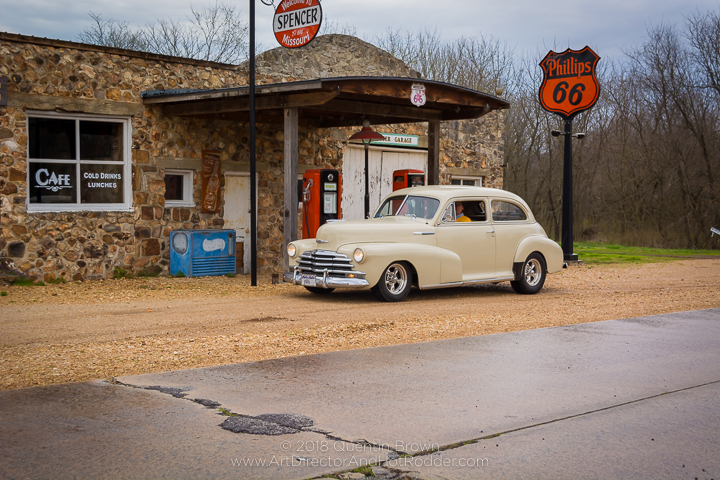 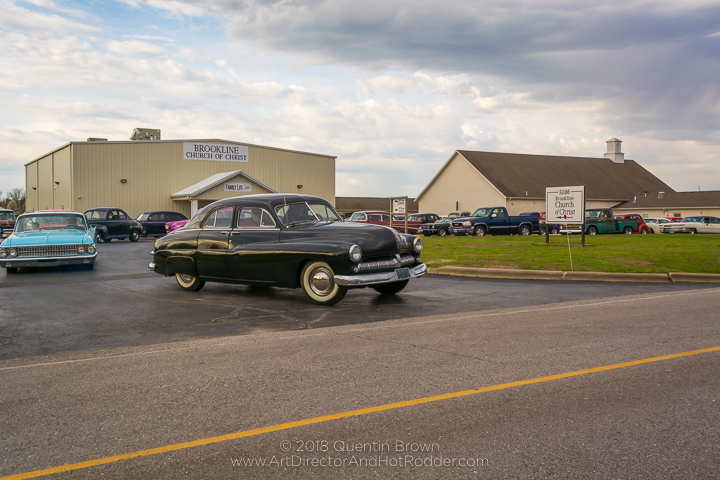 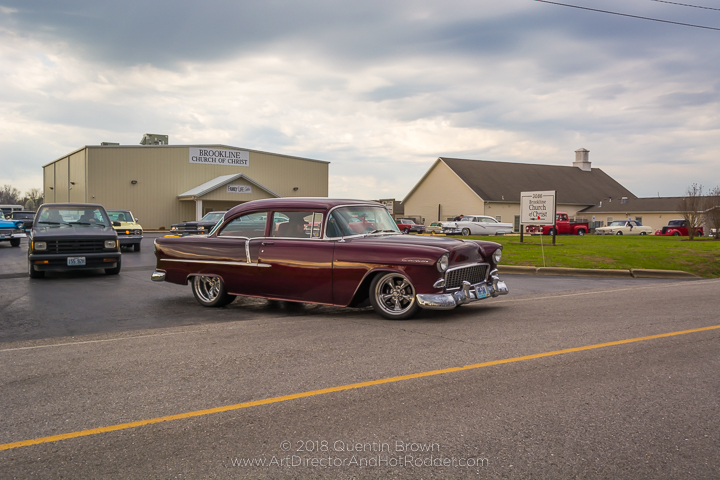 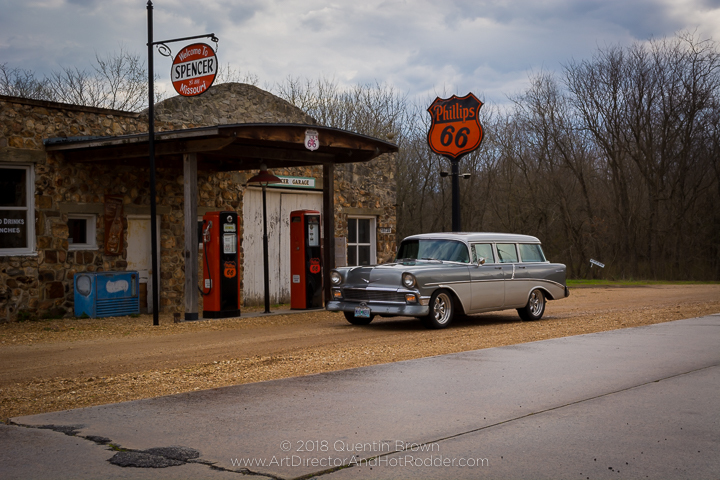 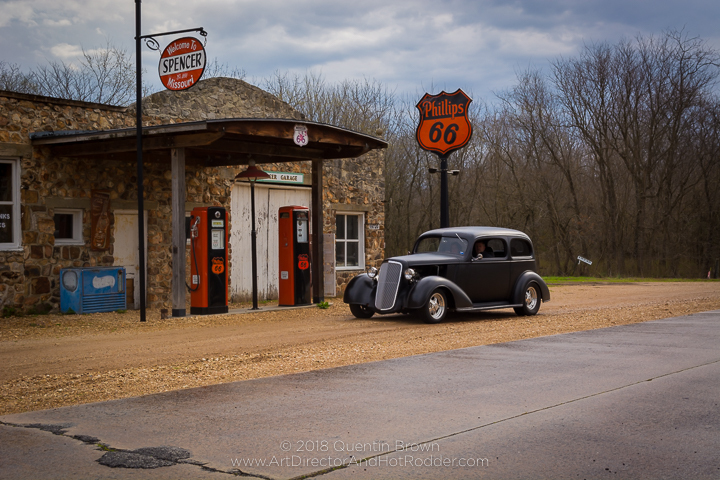 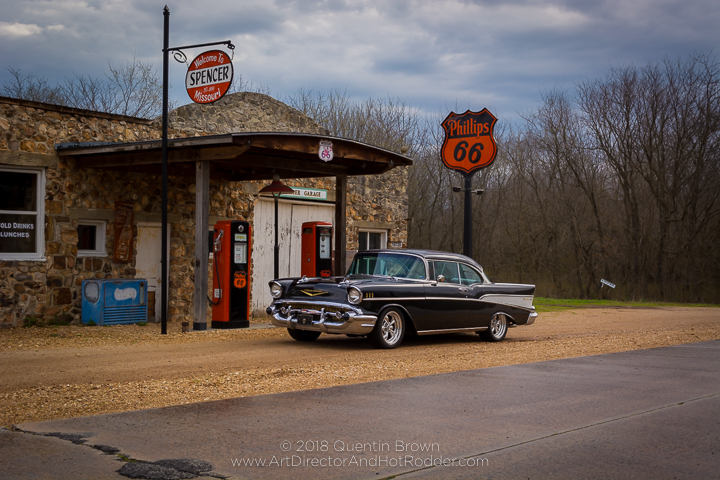 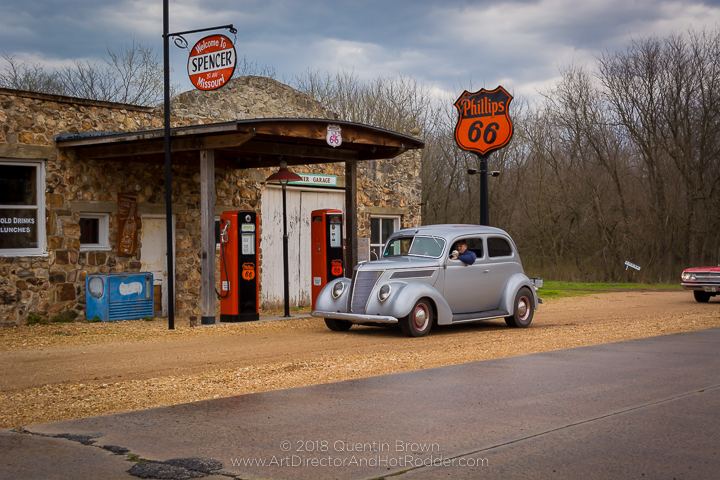 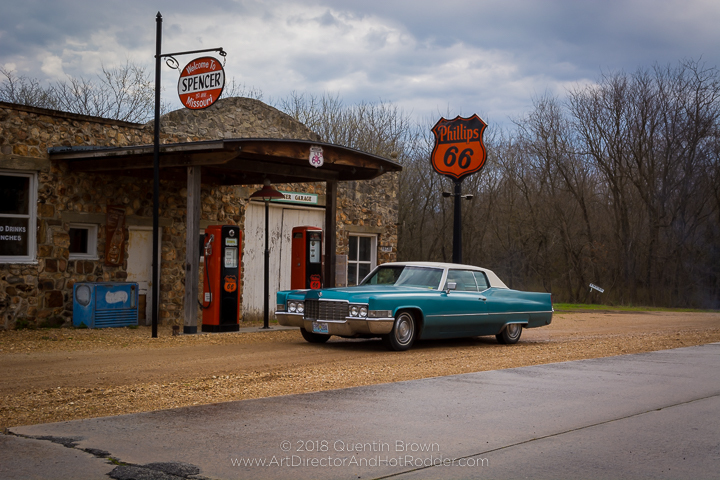 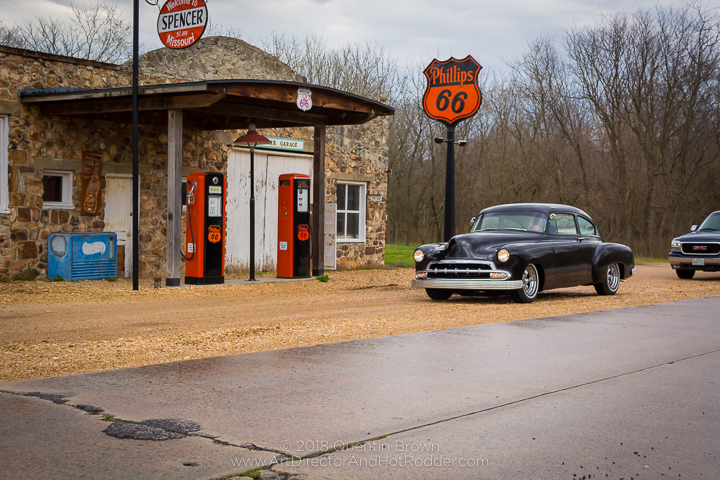 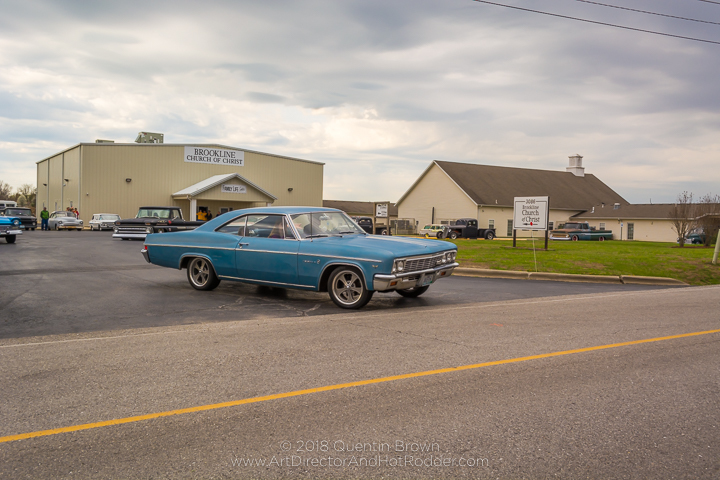 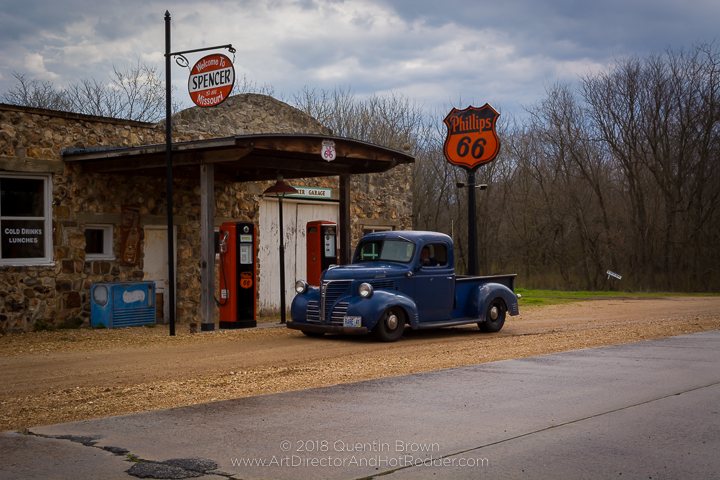 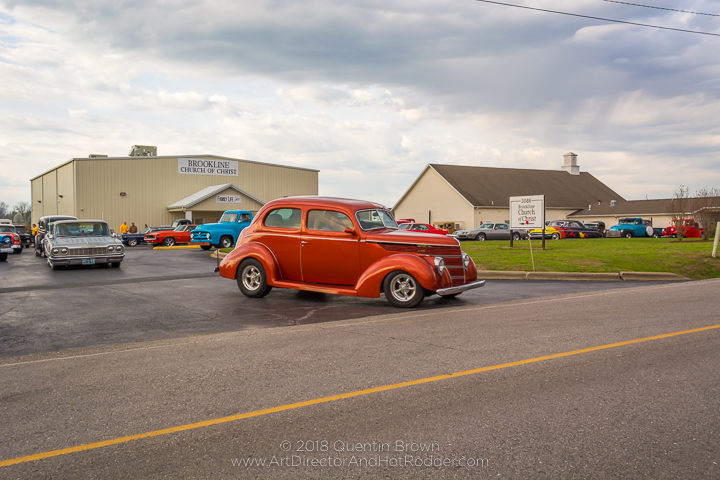 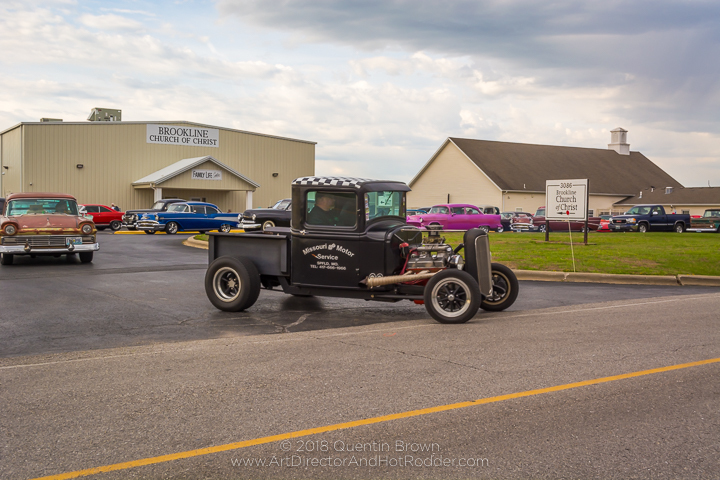 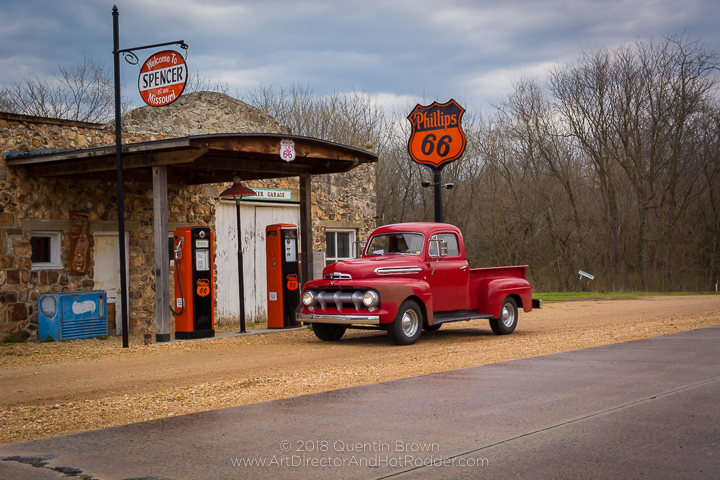 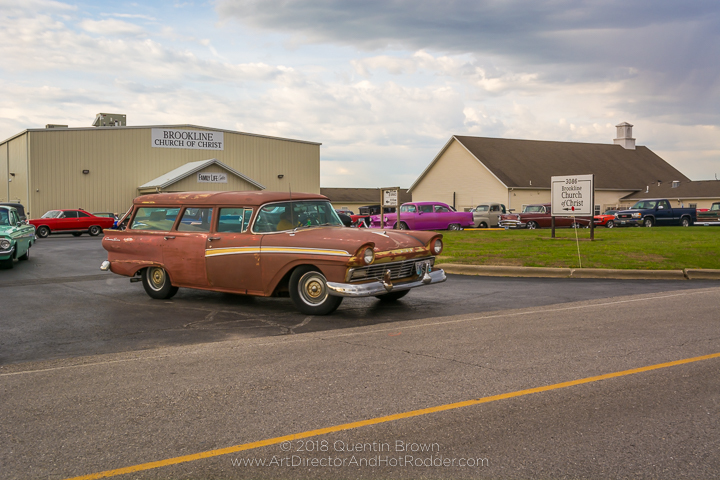 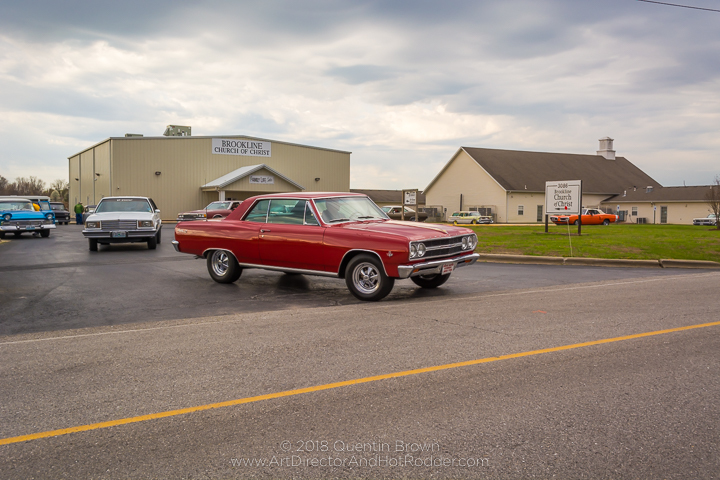 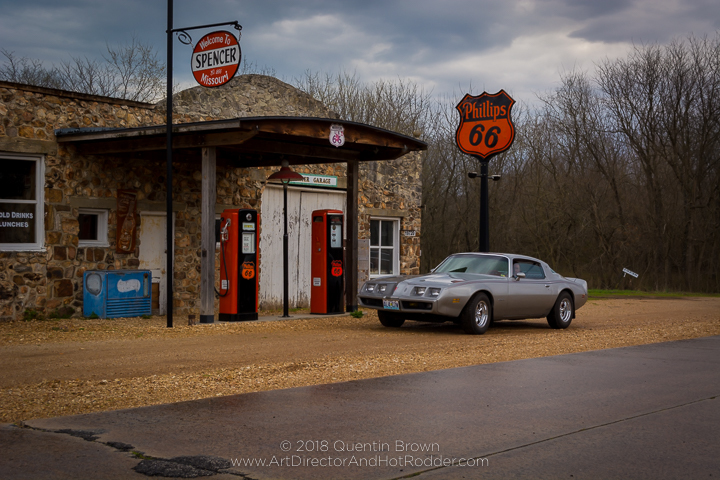 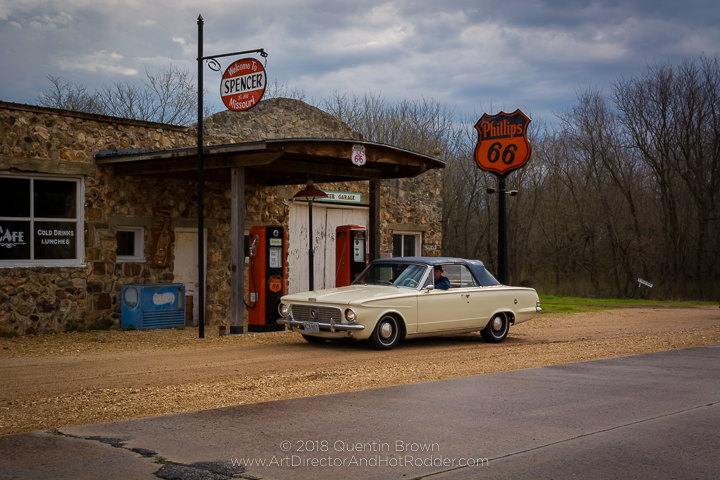 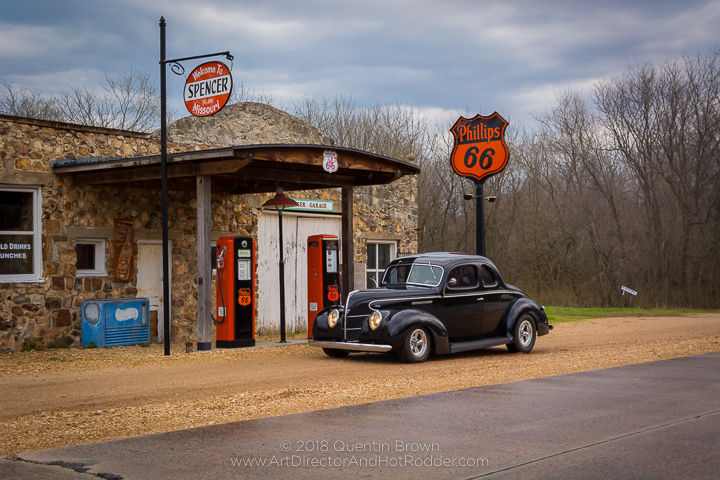 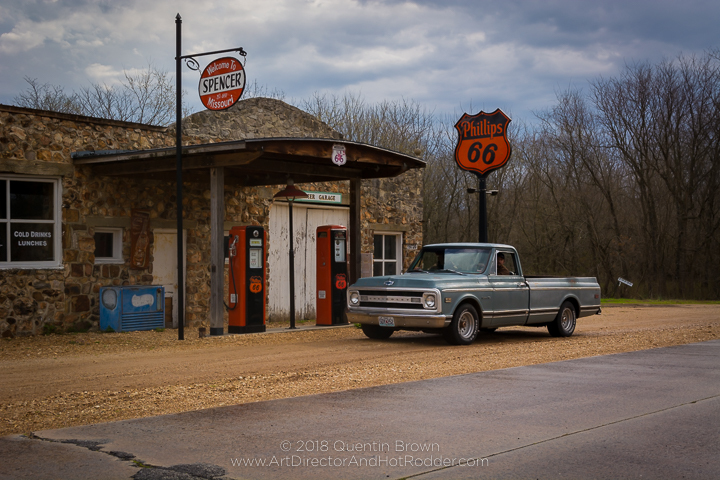 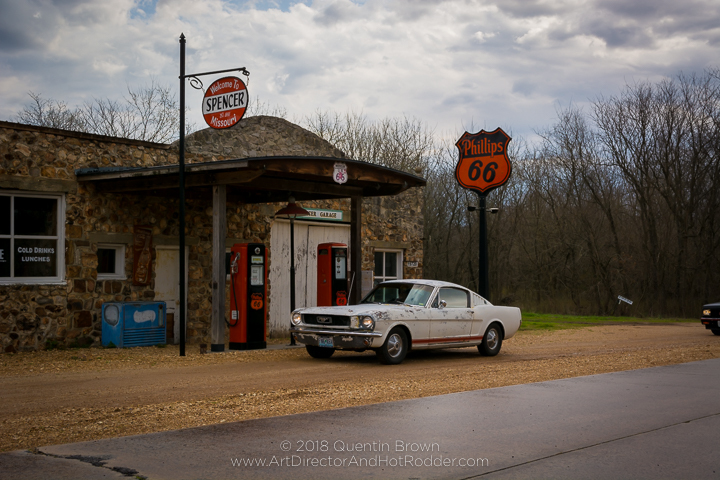 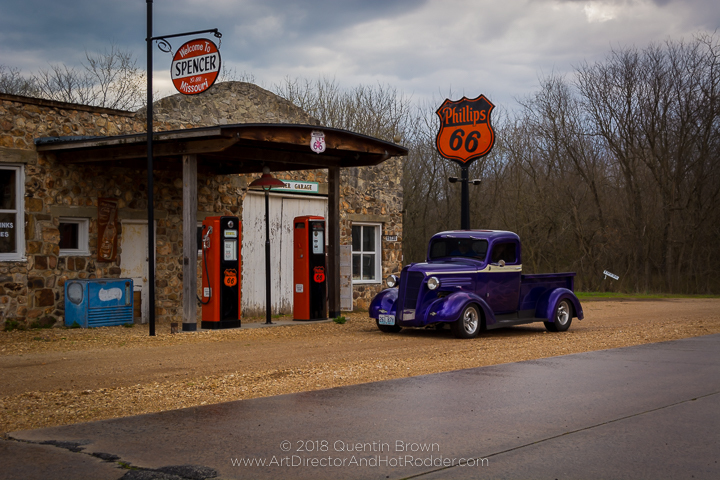 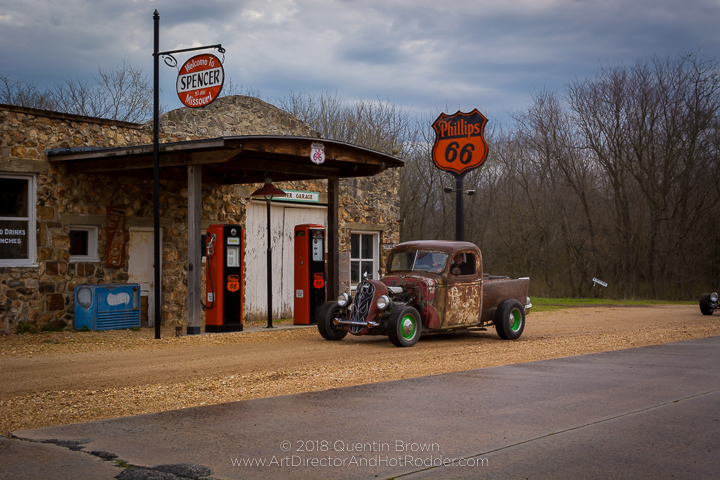 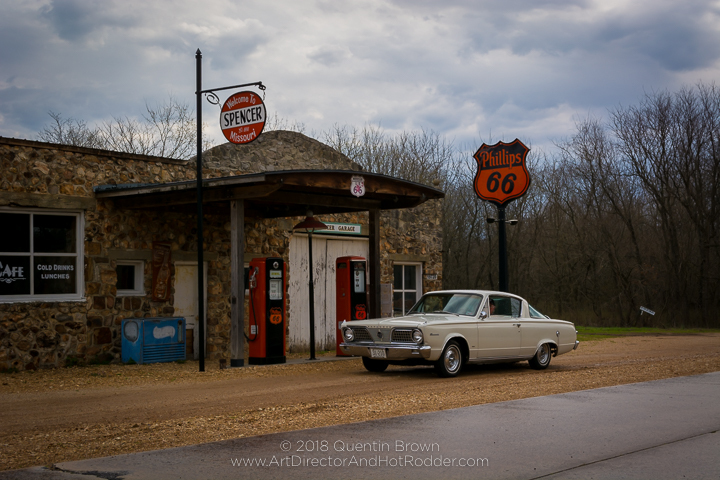 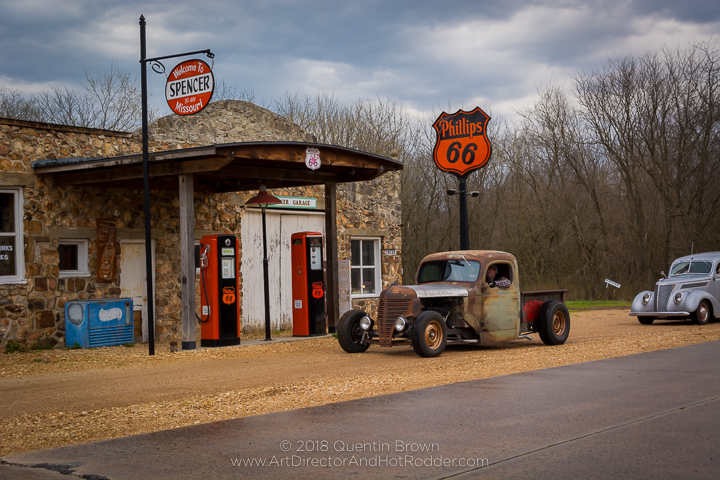 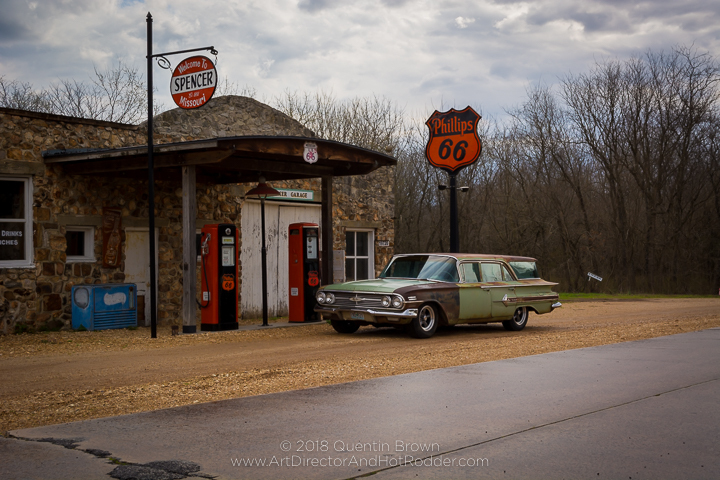 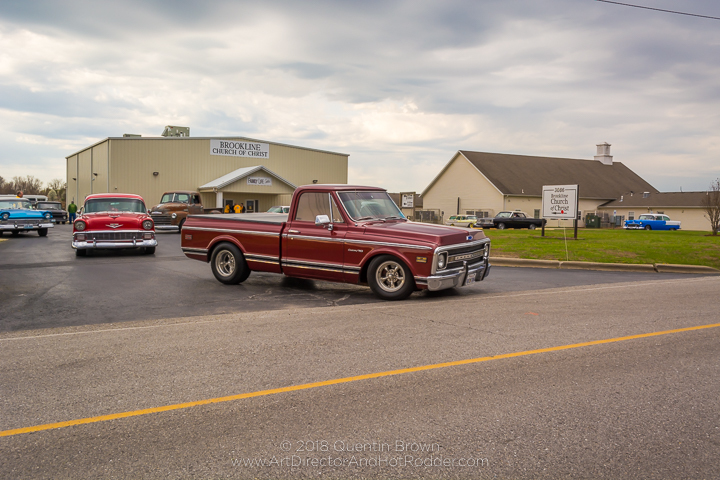 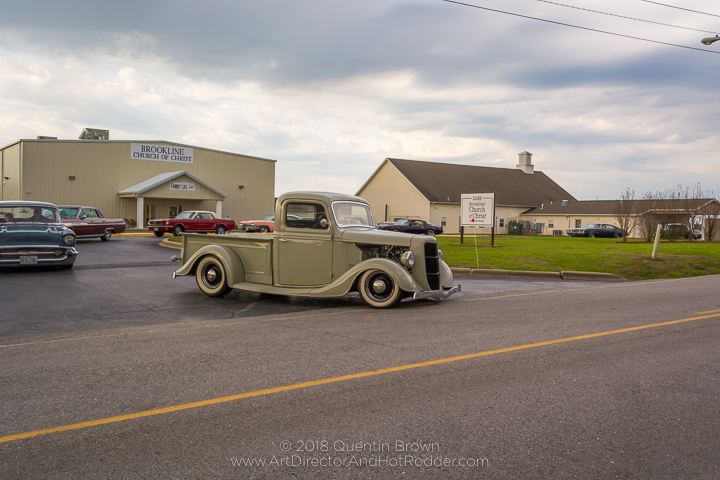 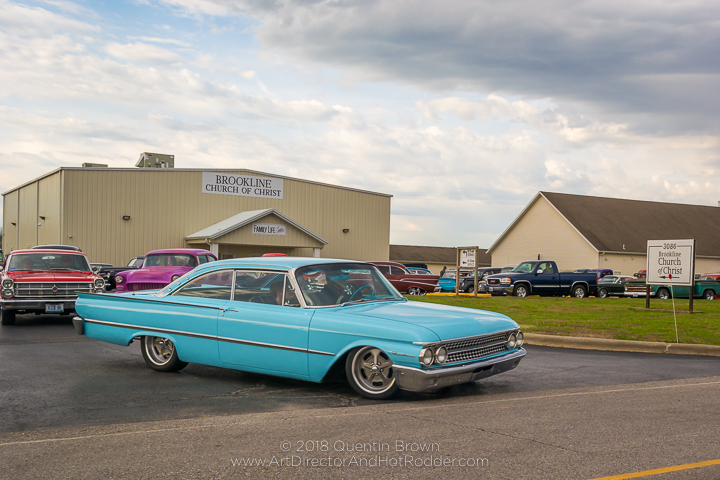 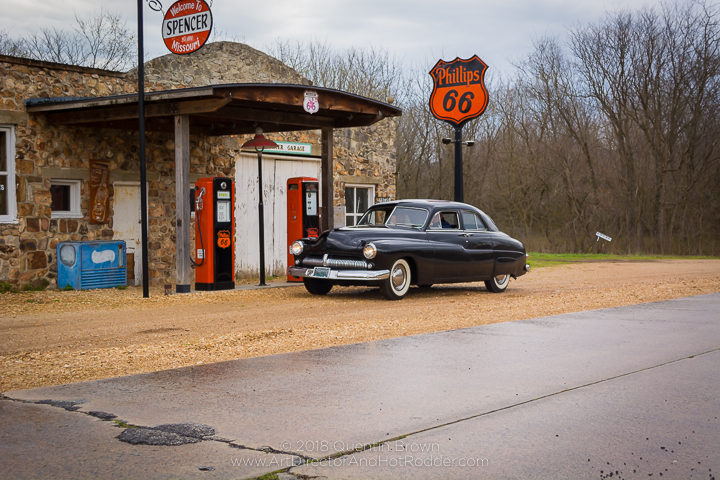 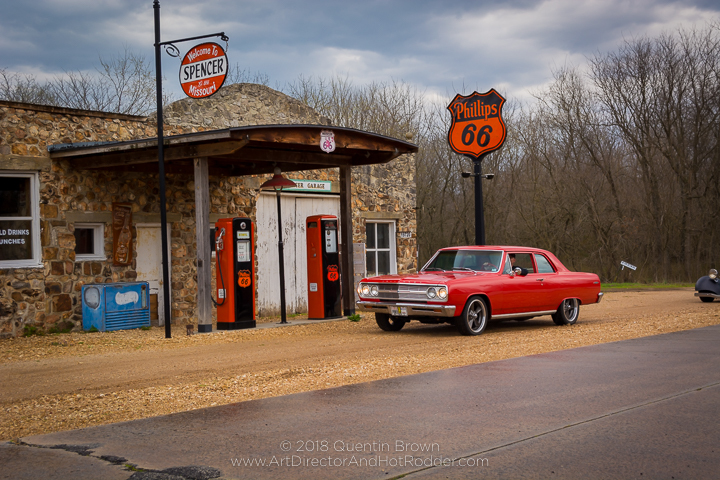 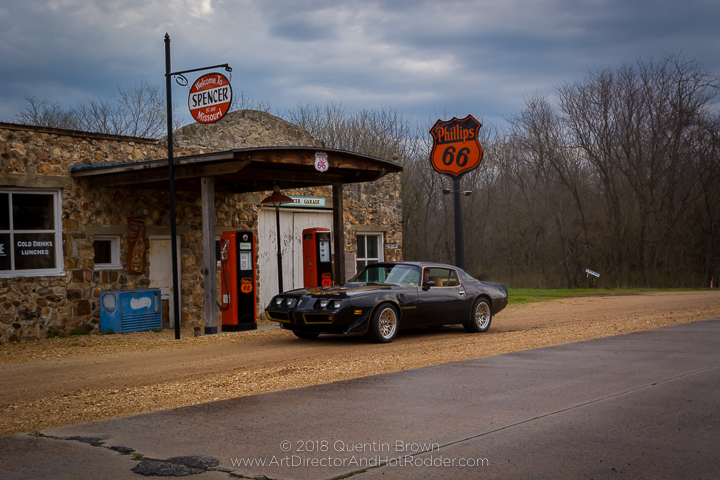 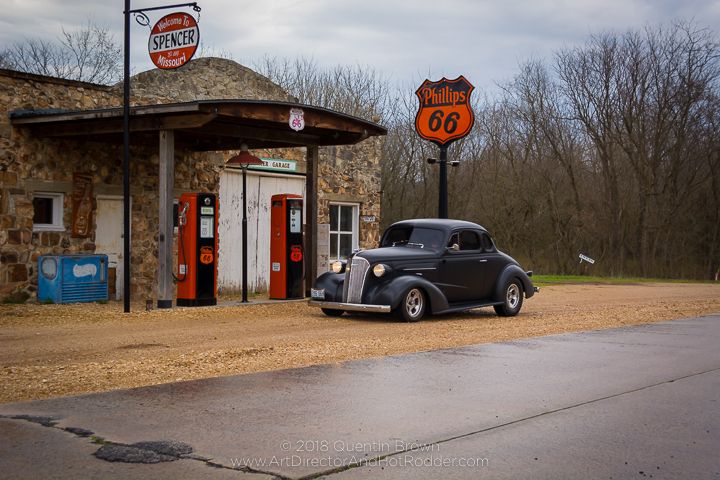 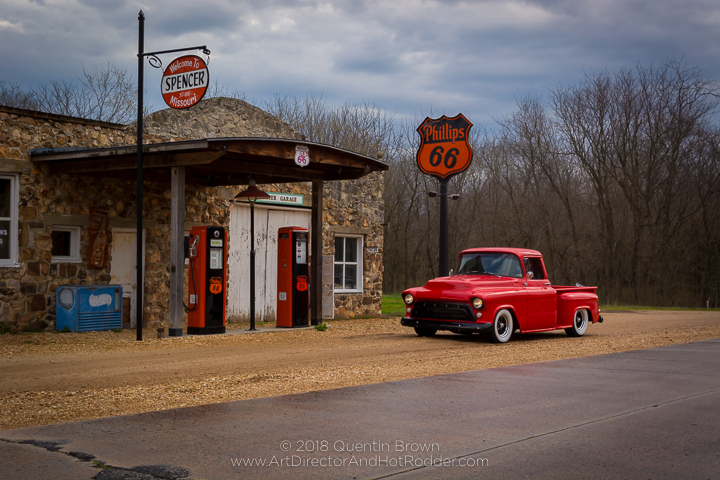 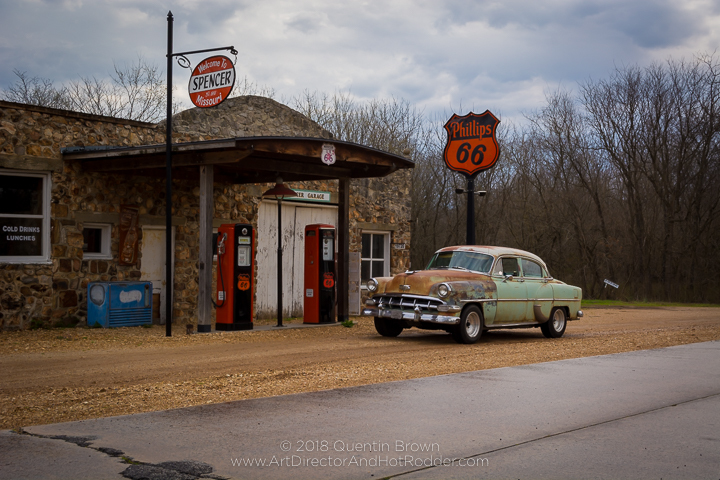 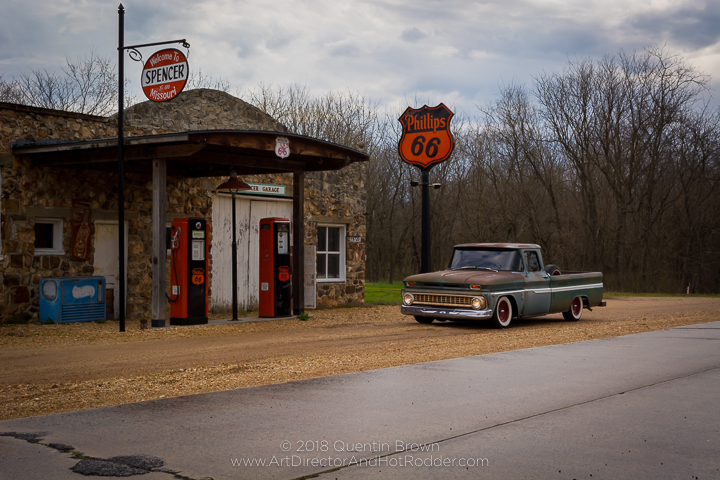 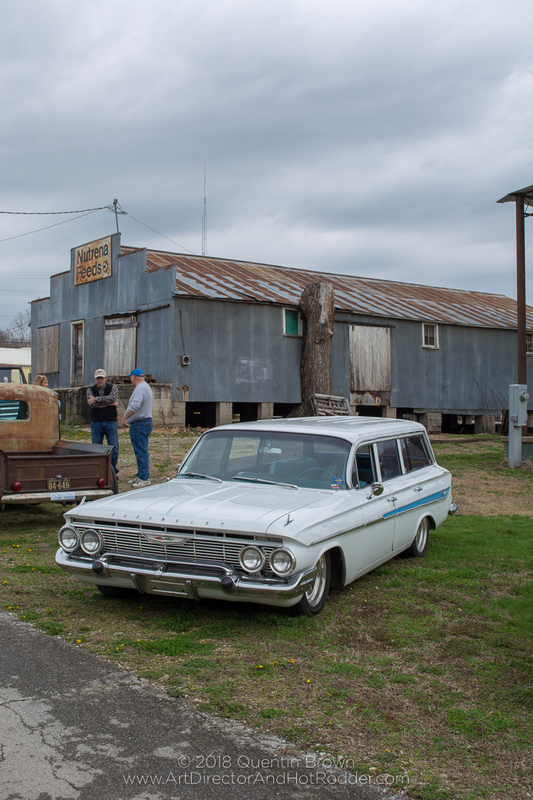 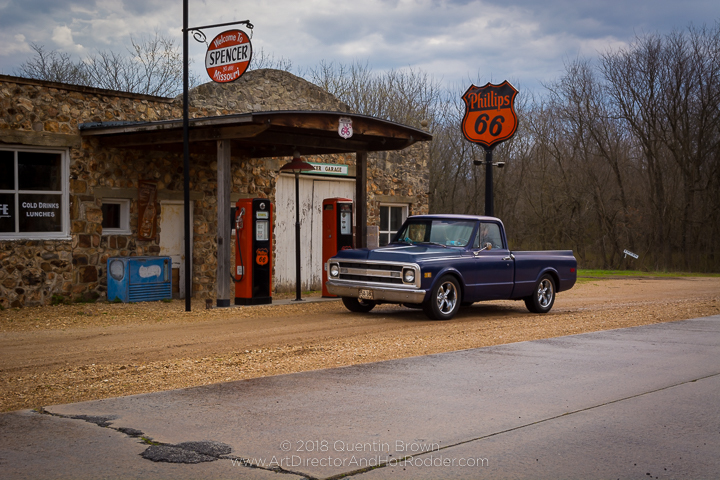 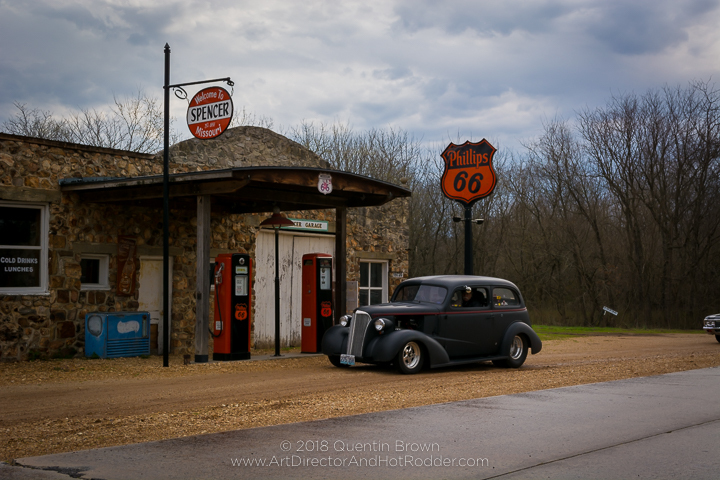 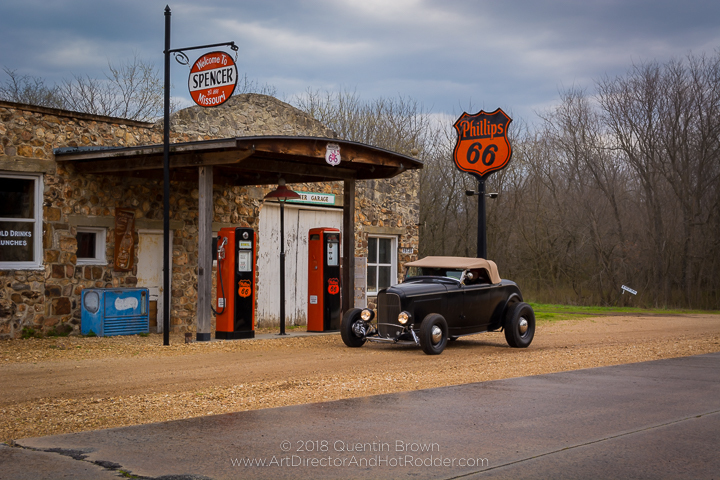 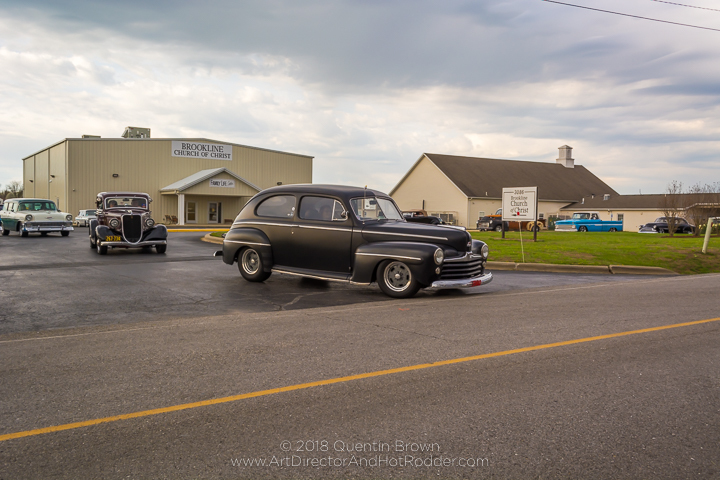 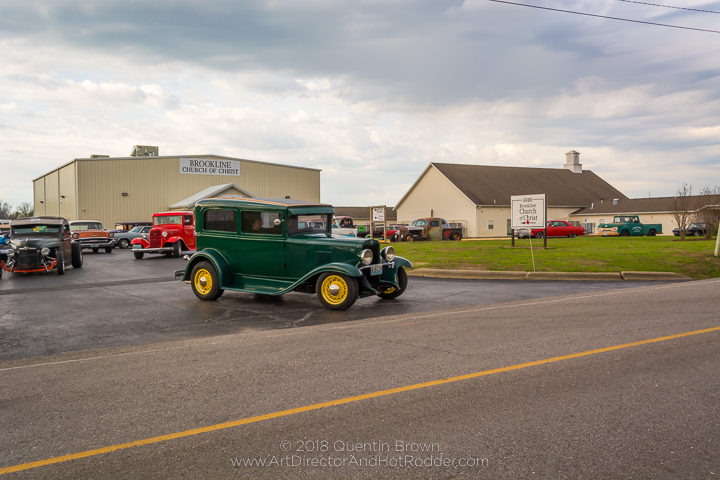 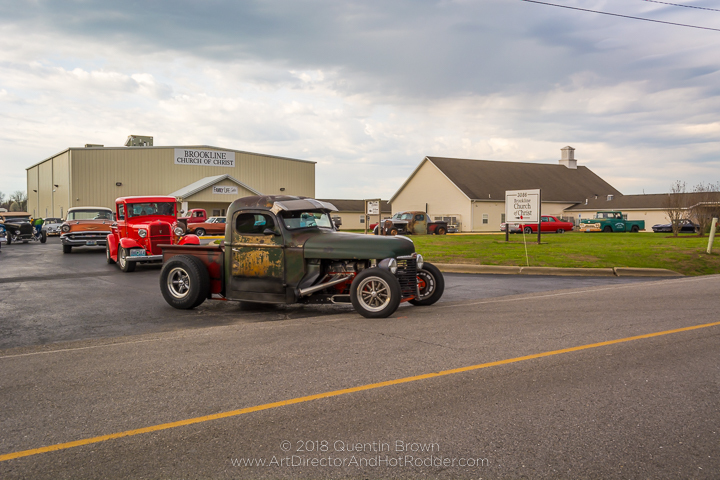 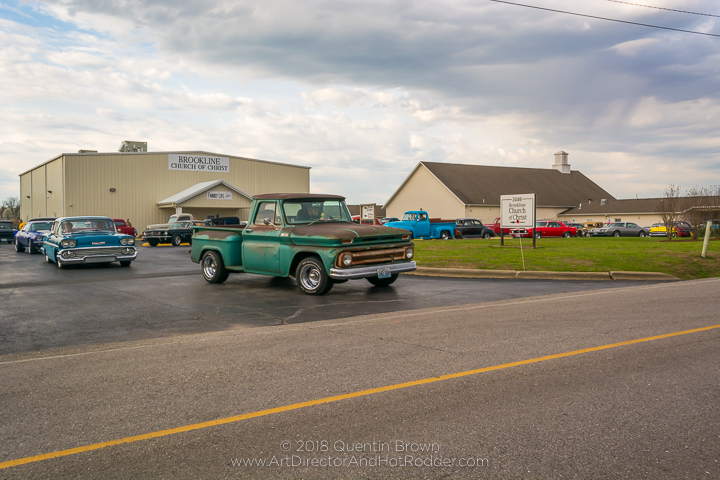 This year’s Hot Rod Hundred route started at the Brookline Church of Christ and then took back roads to get to a photo stop at the historic Route 66 gas station in Spencer Mo. 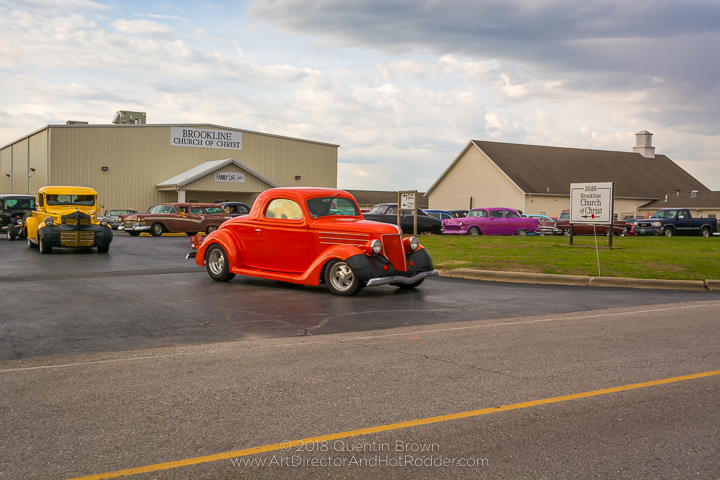 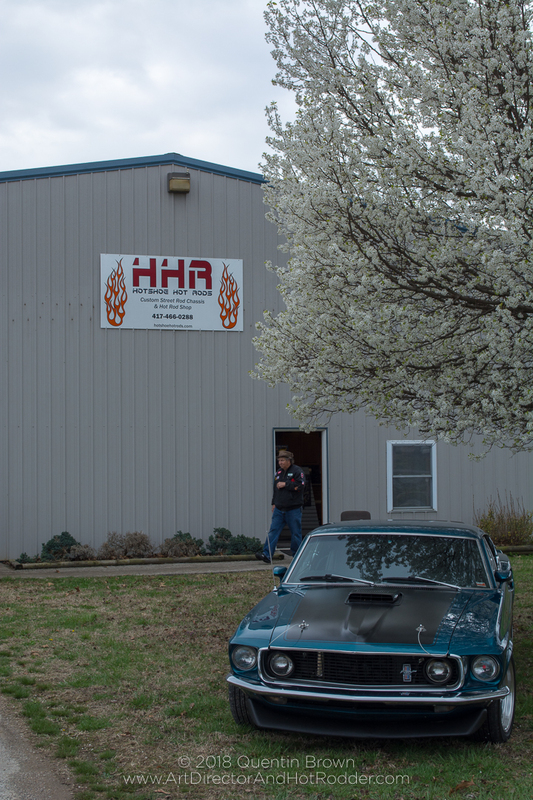 After leaving Spencer we made our second stop at HotShoe Hot Rods in Mount Vernon, Mo. 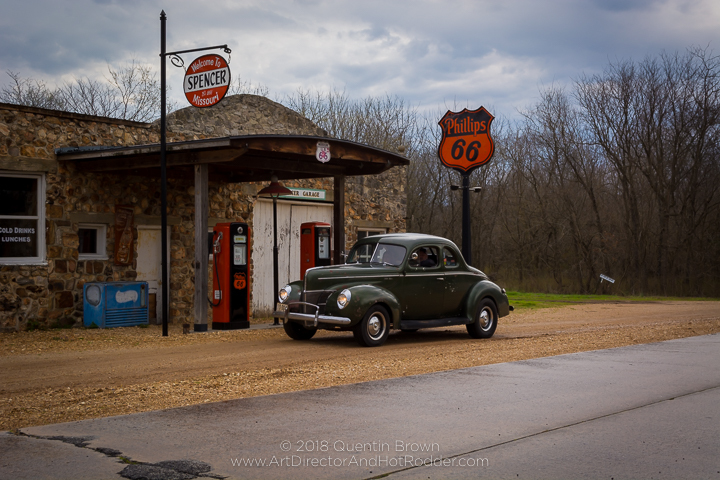 Once we left there it was on to the city park in Crane, Mo, with at least one group of cars taking a detour to stop and look at a low water bridge that was flooded. 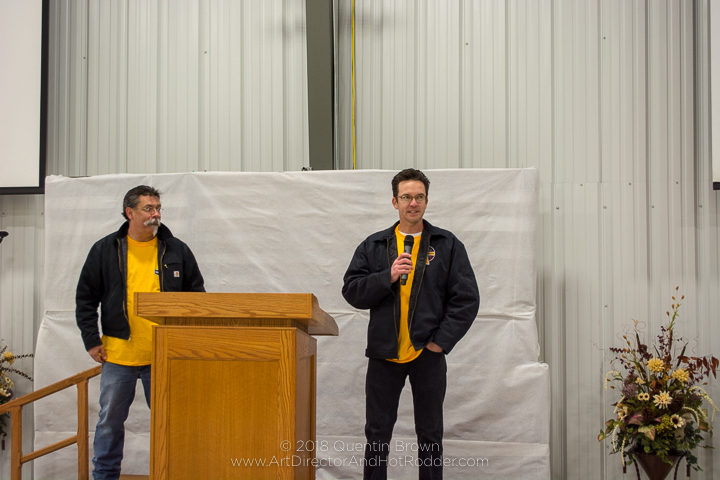 Once at Crane a pulled pork sandwich lunch was provided by the Light For The Lost Cook Team. 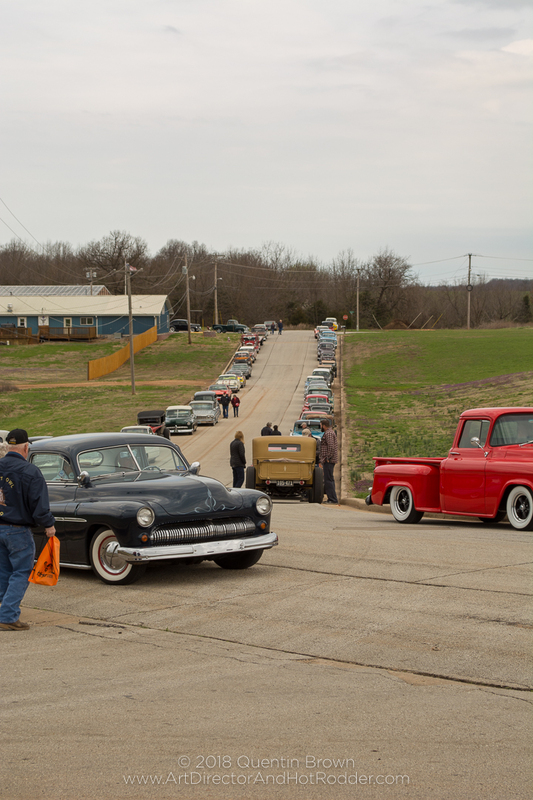 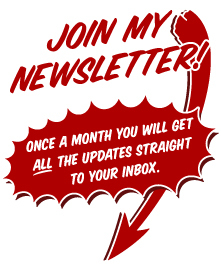 All in all, it was a great event which sees a continued increase in participants each year which is wonderful. 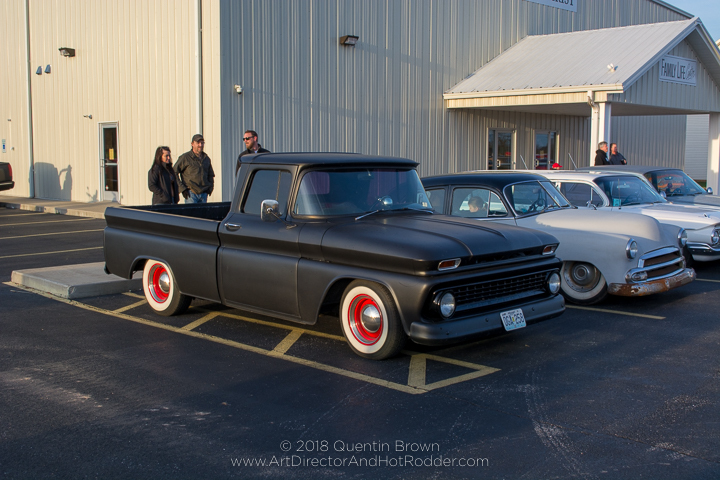 I hope this event keeps getting bigger year after year. 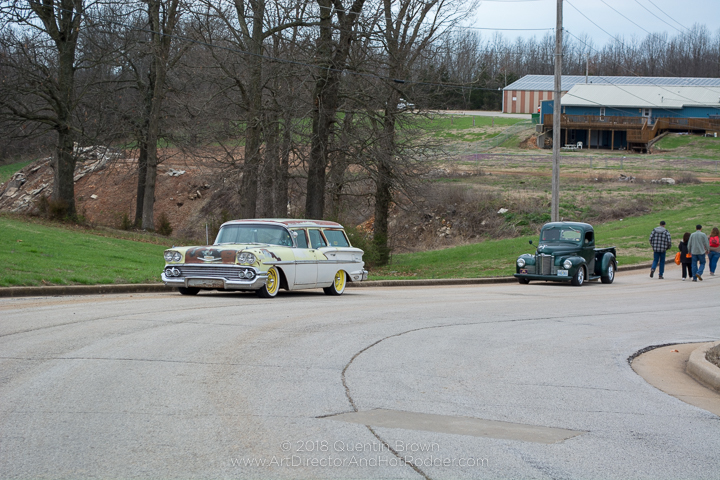 Now on to the photos! 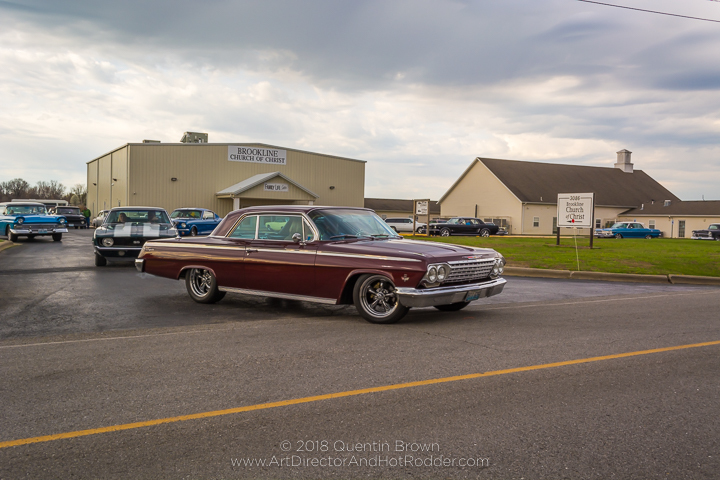 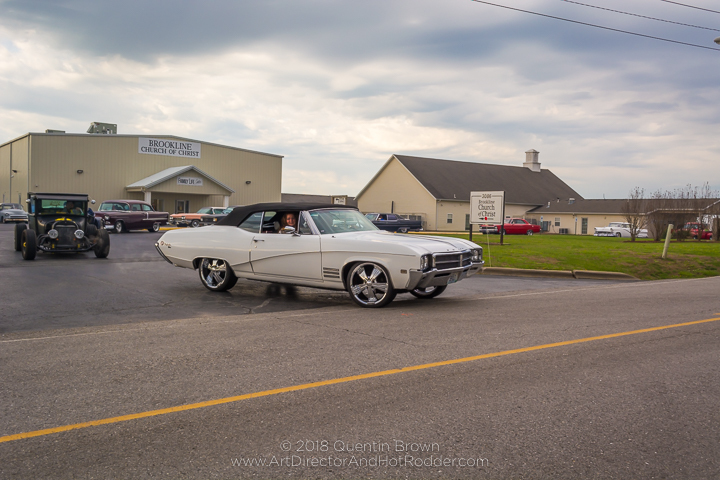 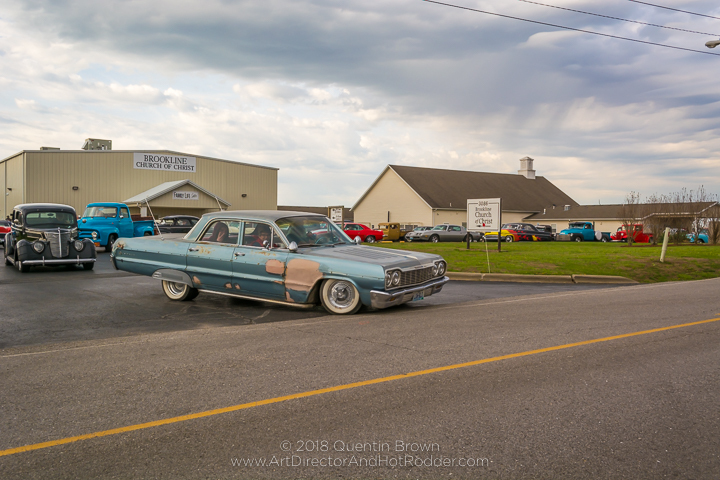 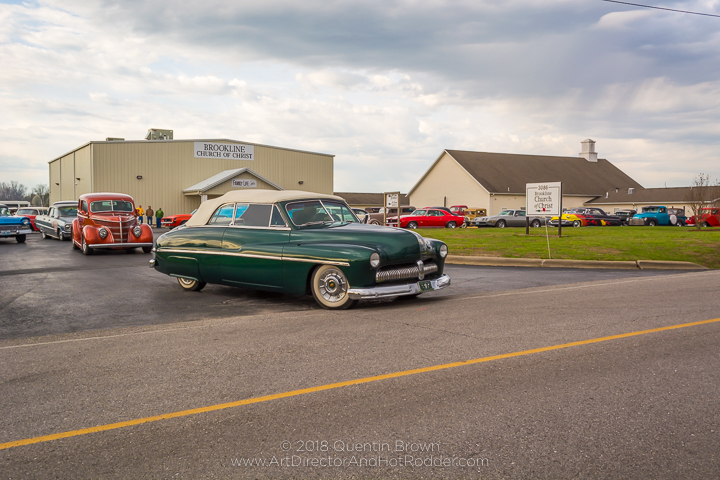 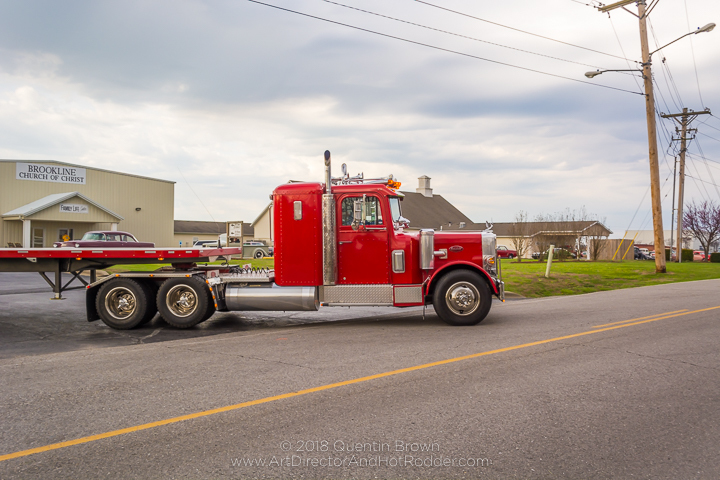 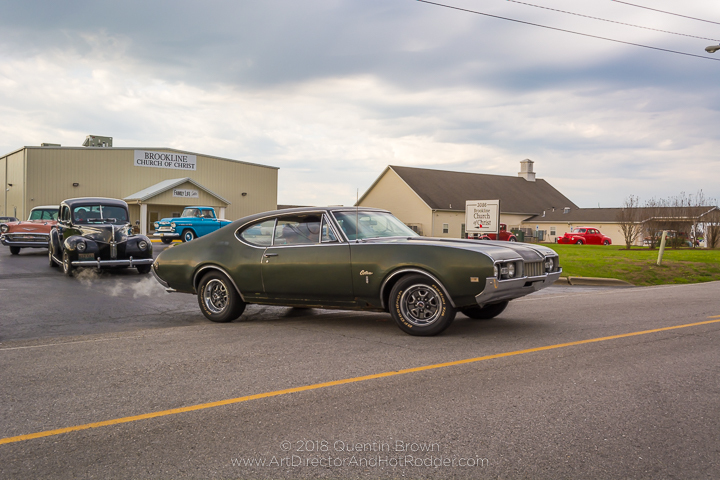 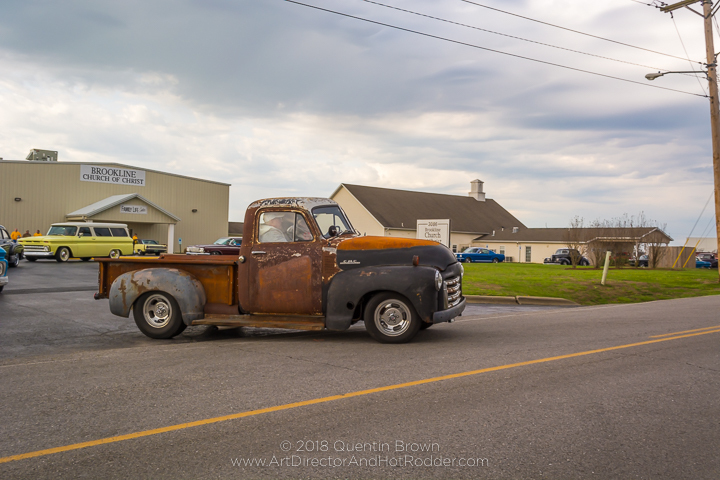 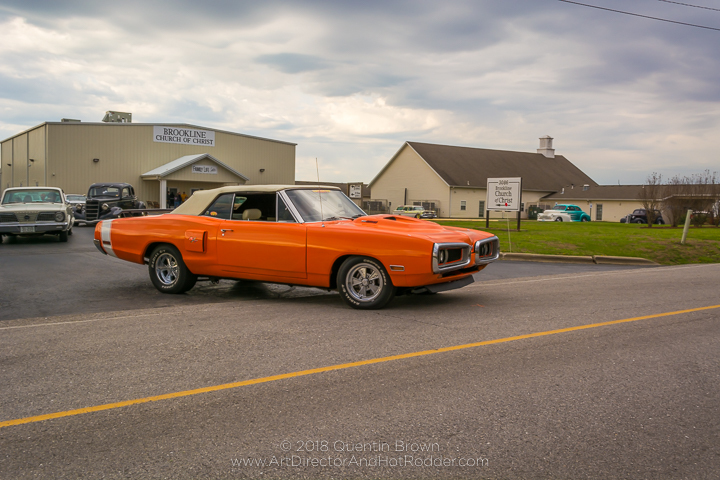 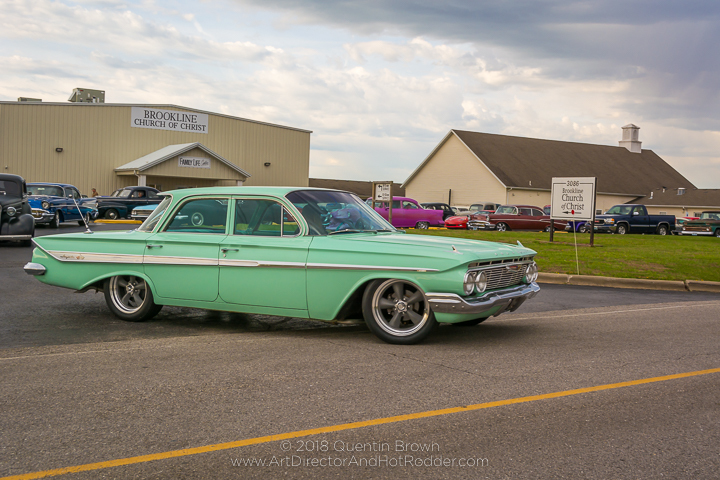 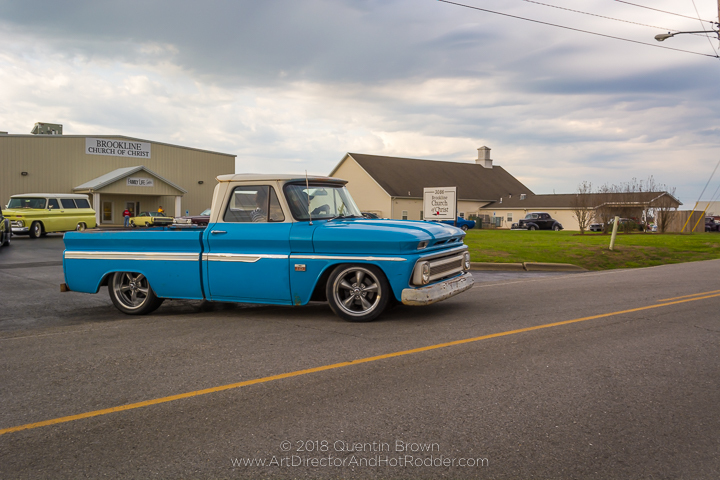 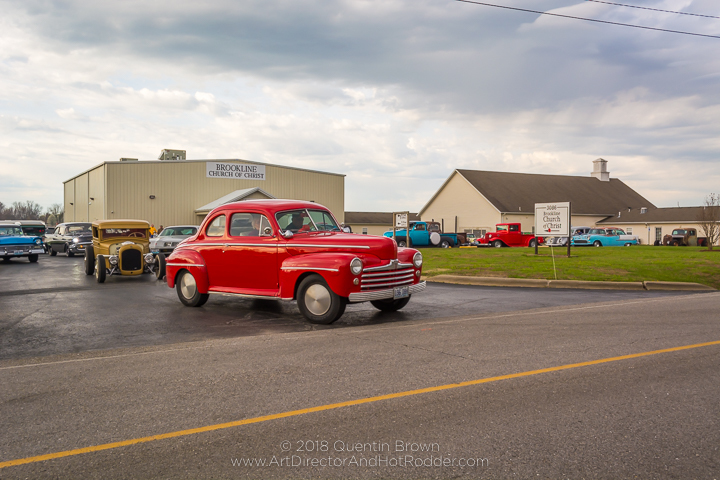 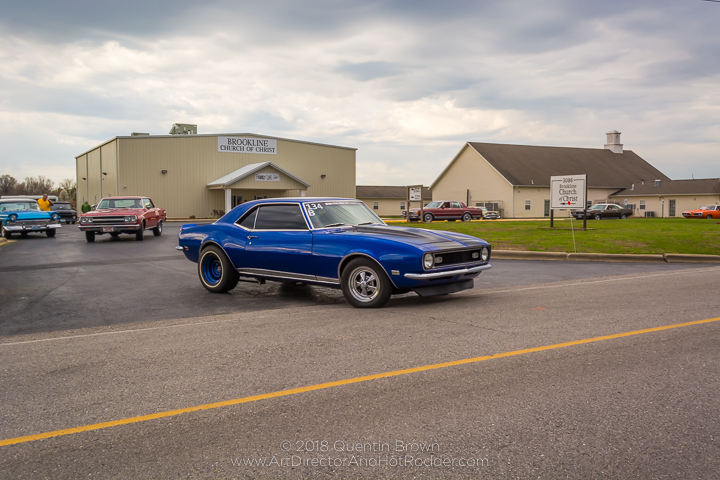 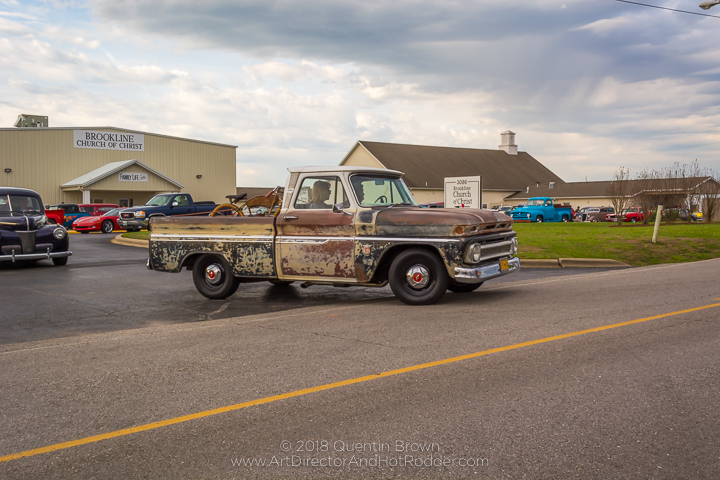 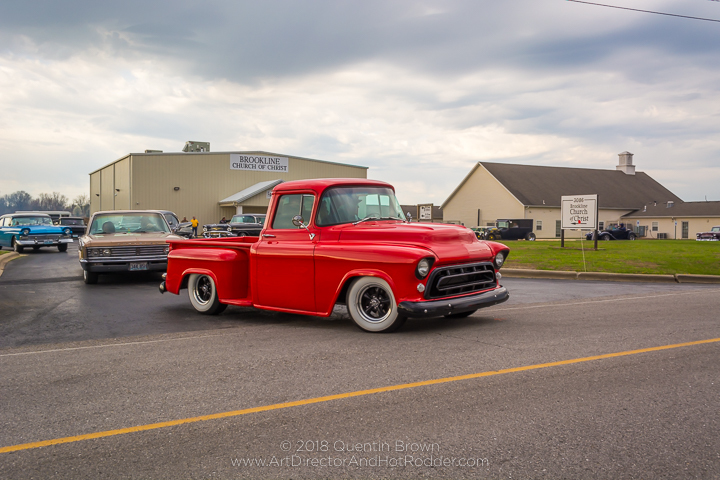 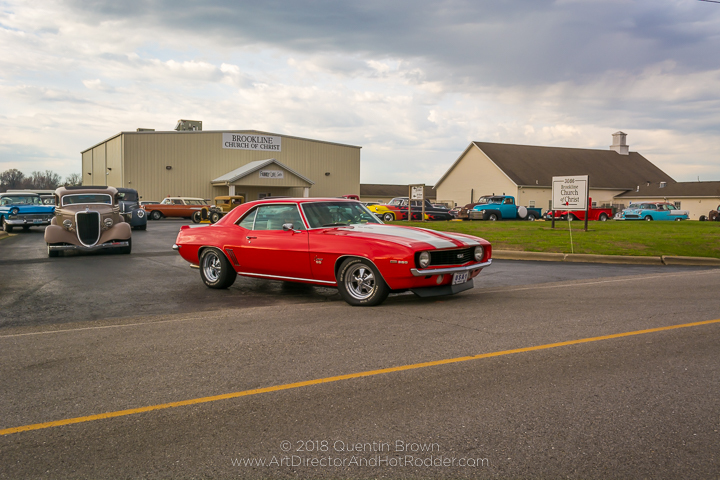 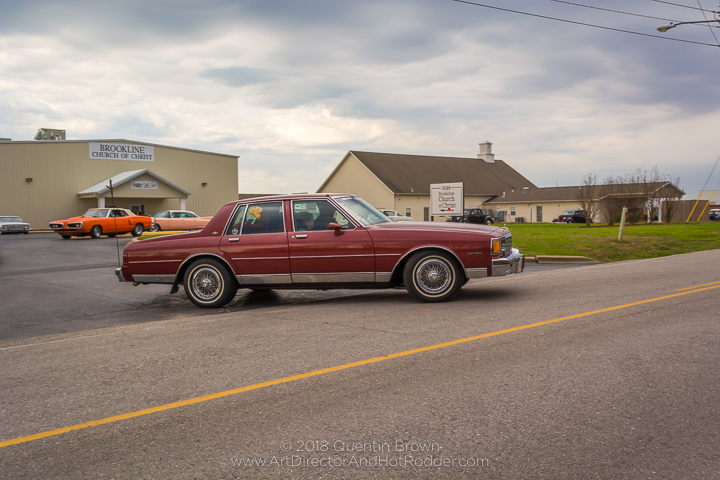 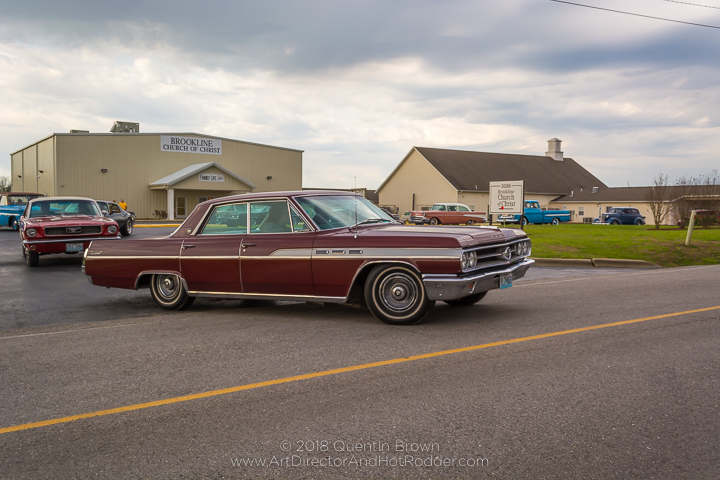 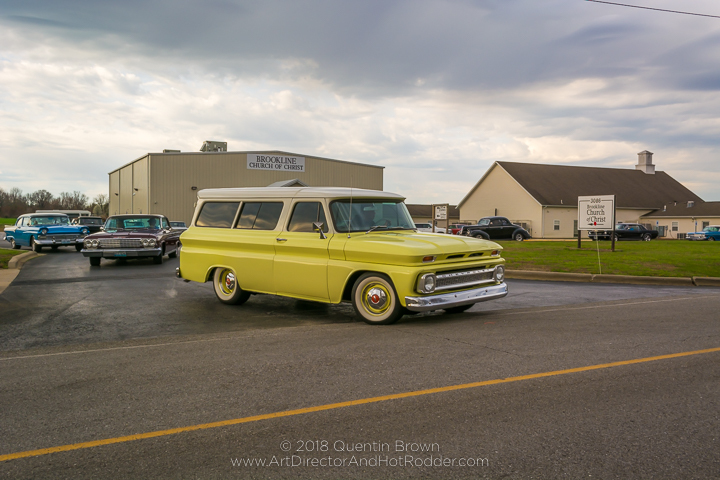 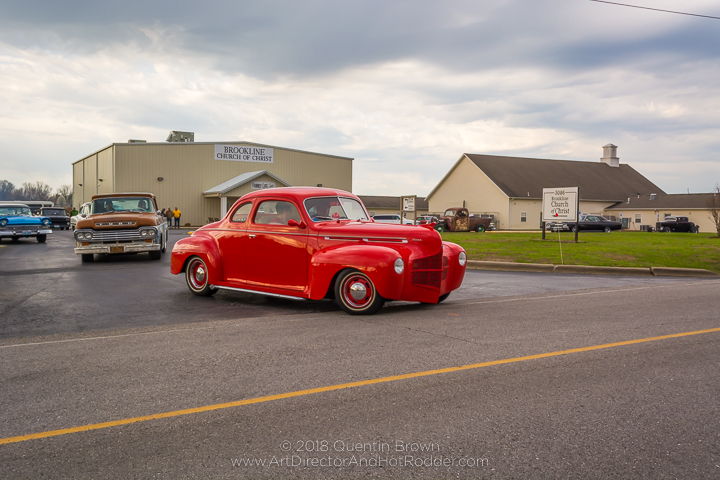 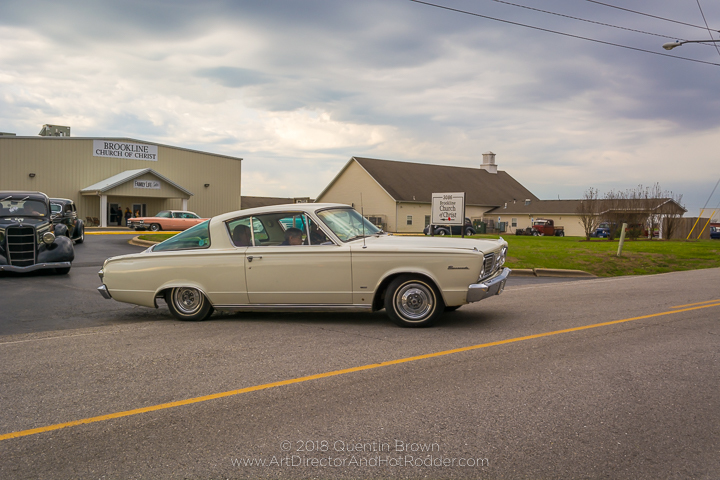 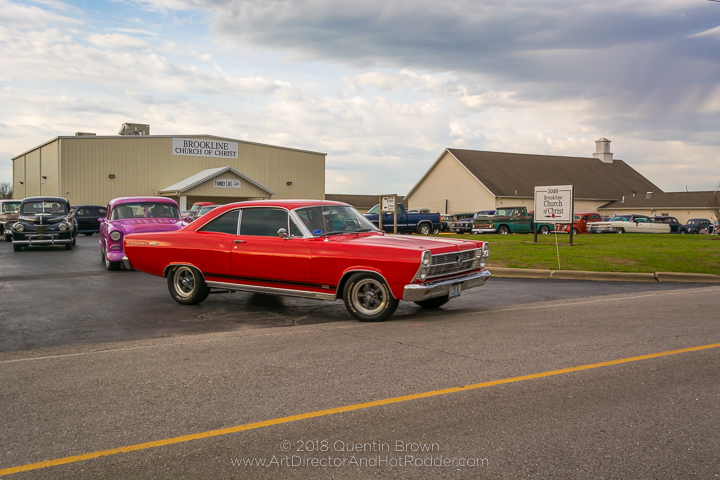 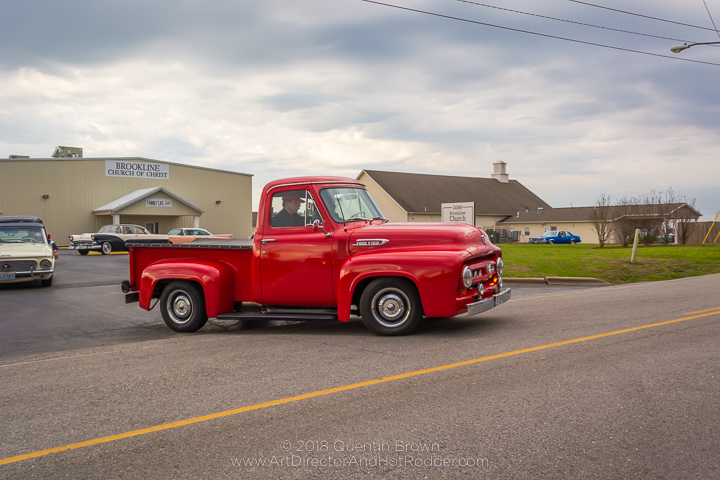 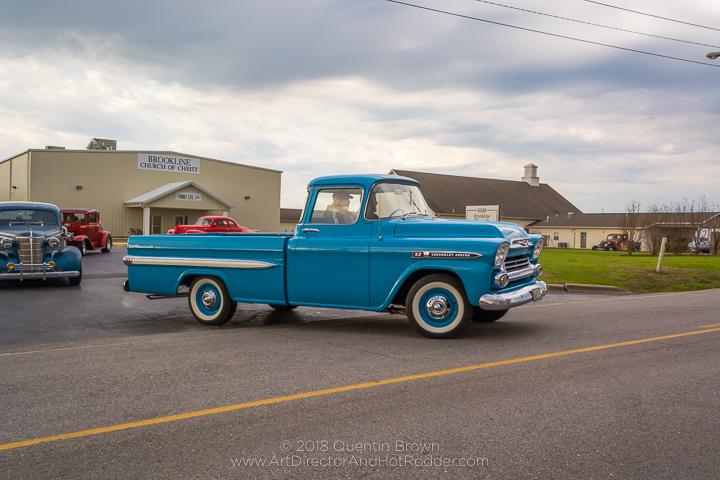 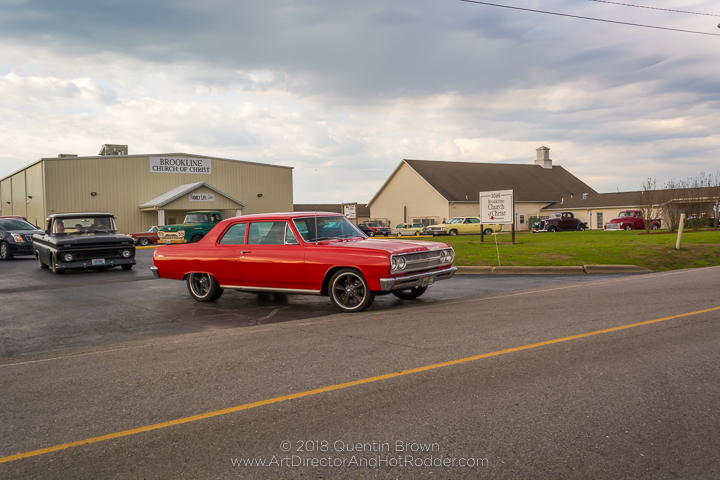 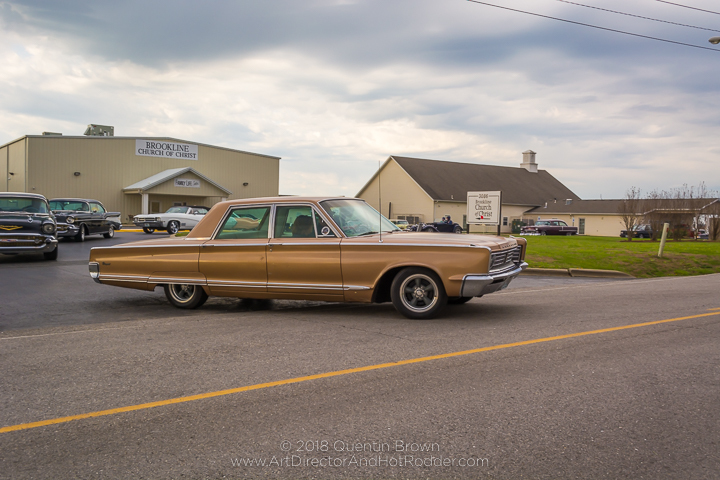 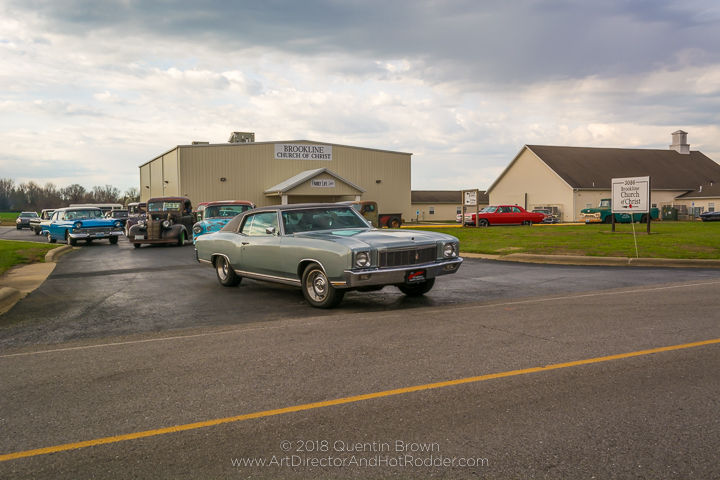 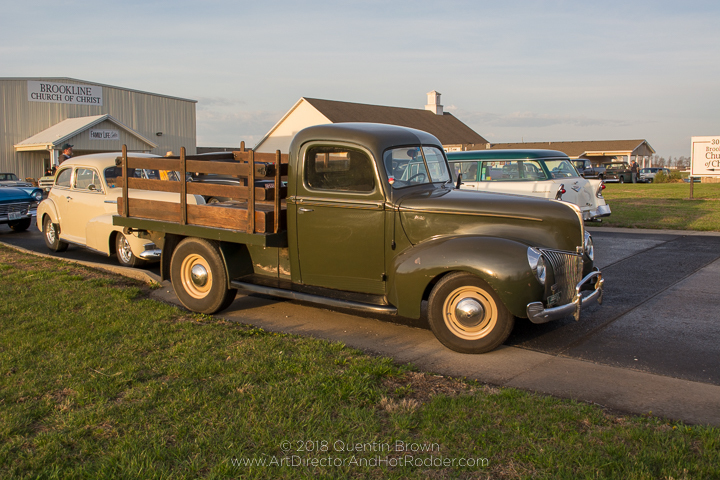 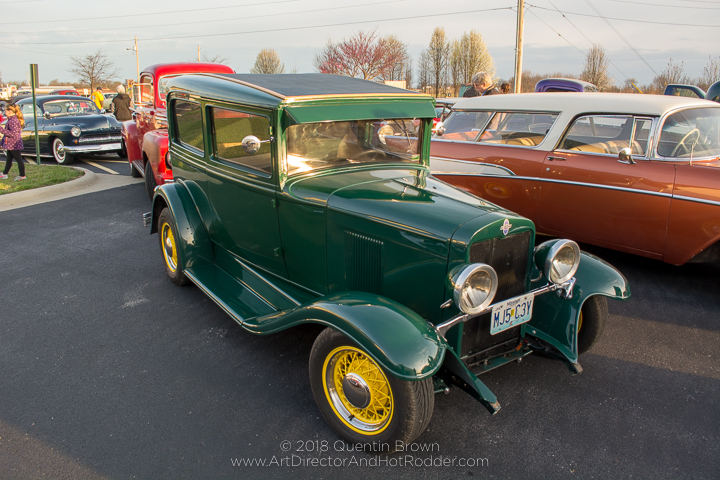 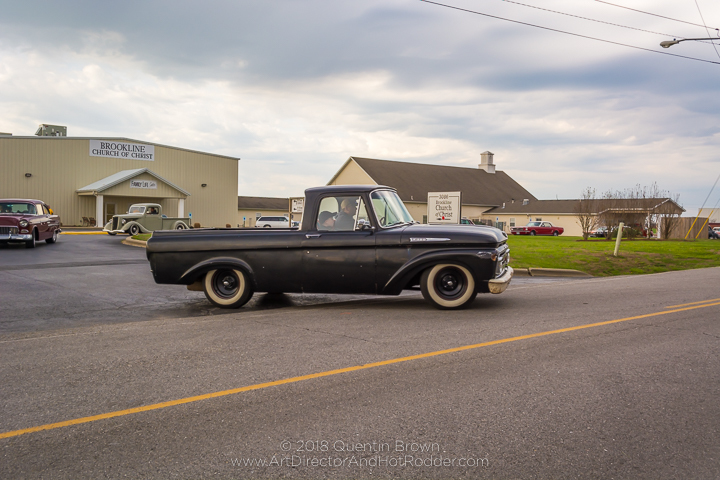 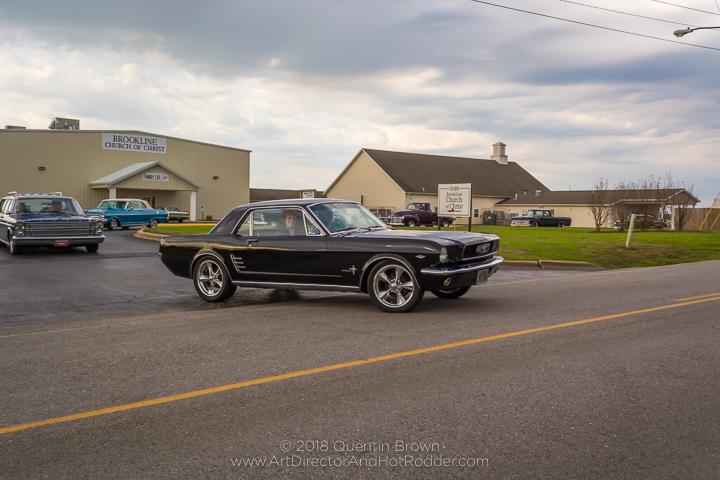 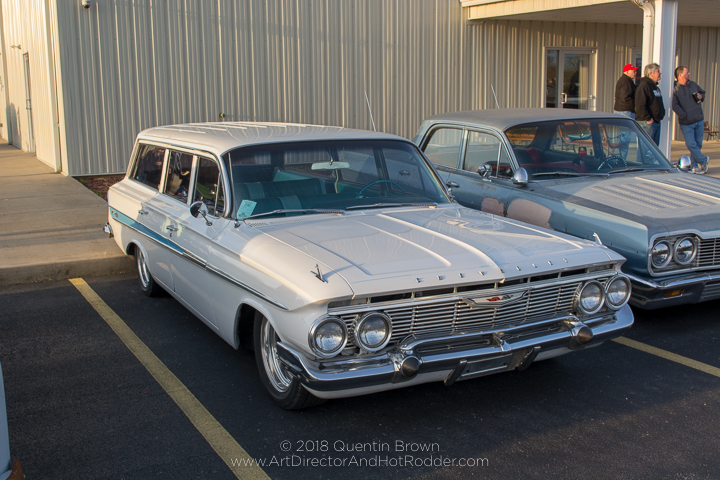 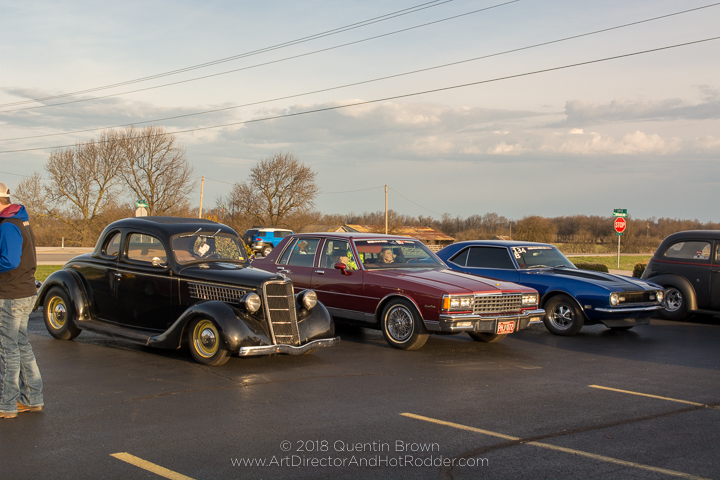 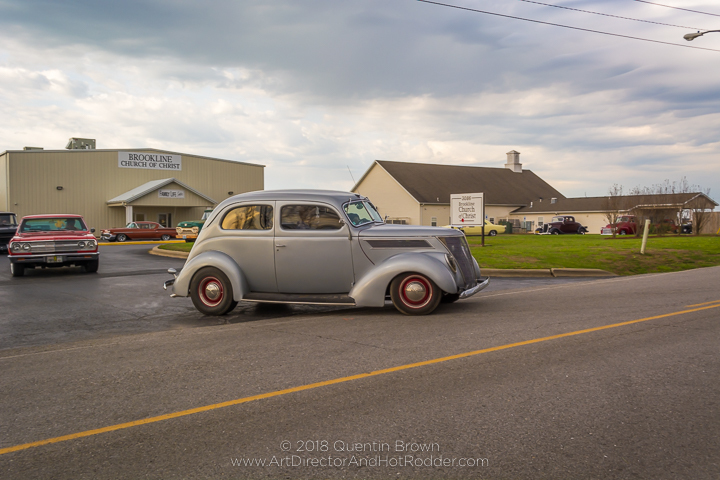 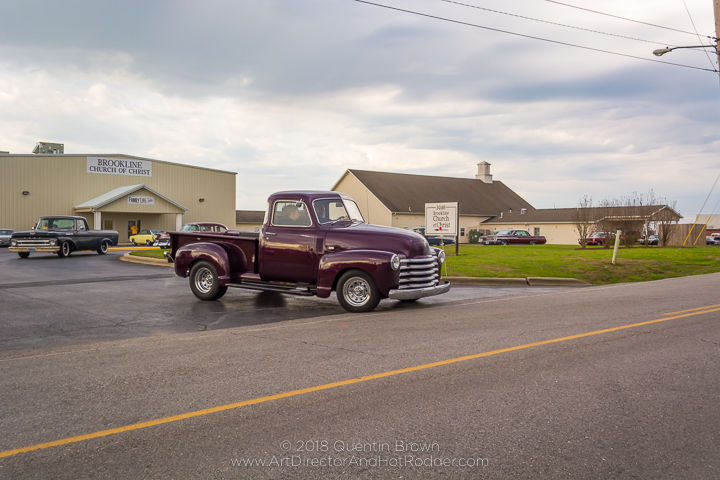 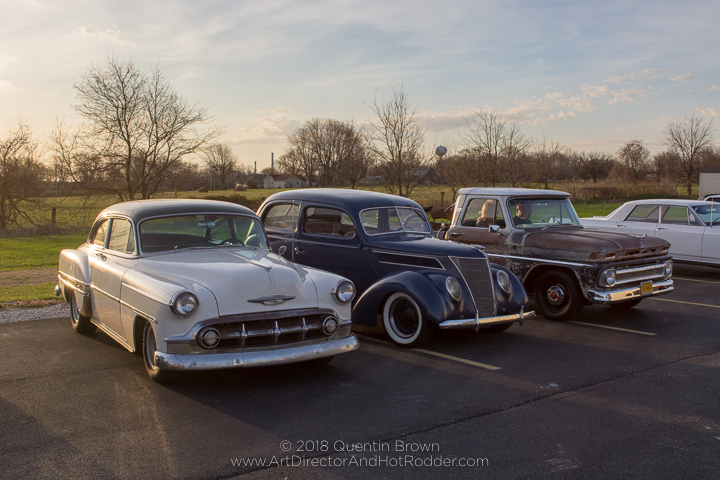 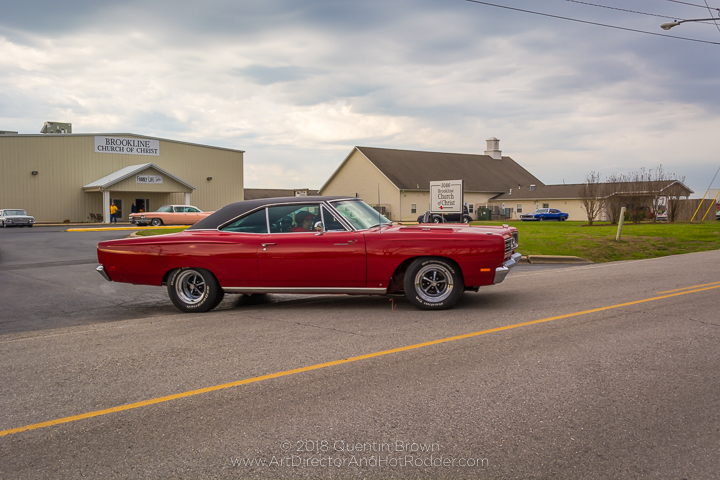 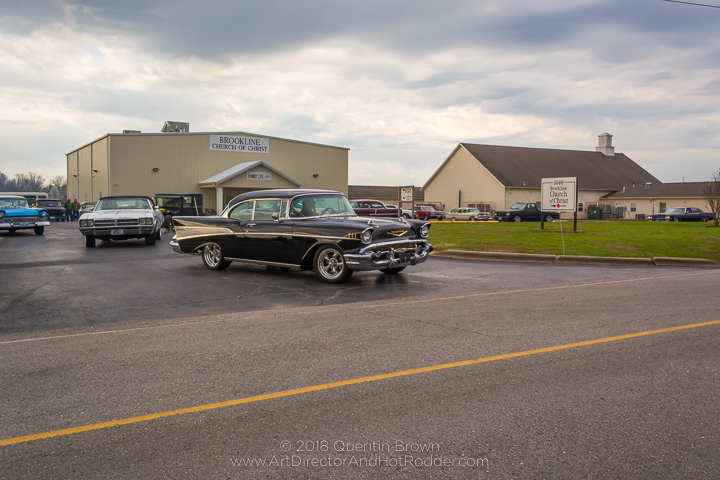 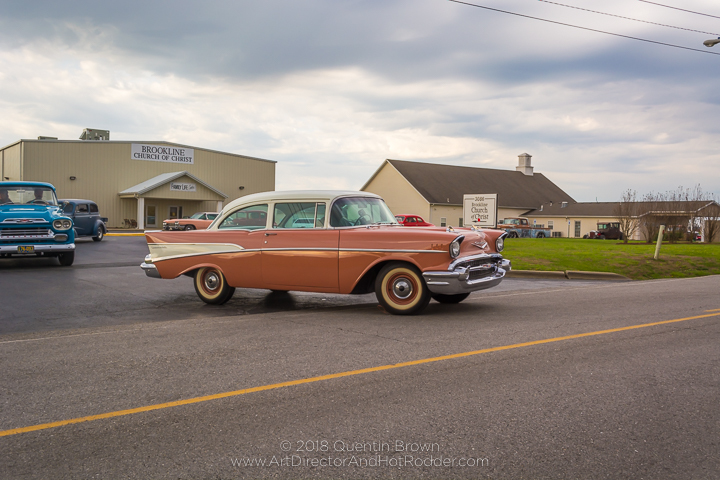 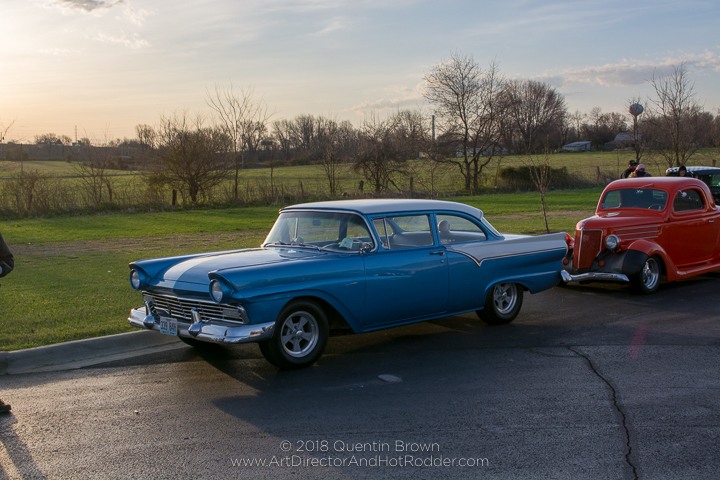 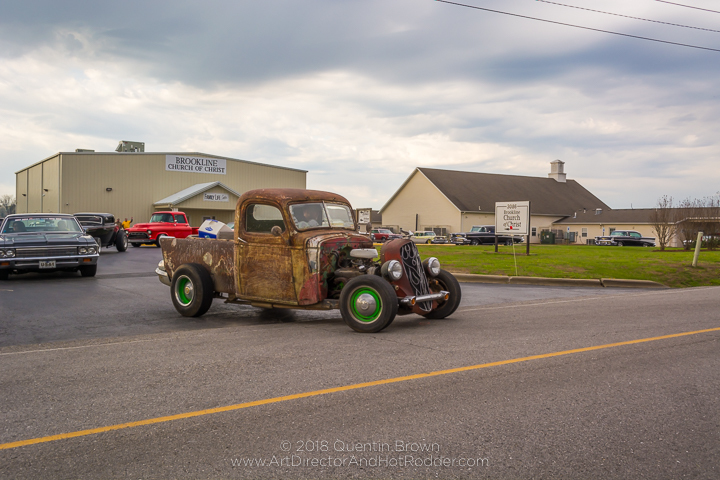 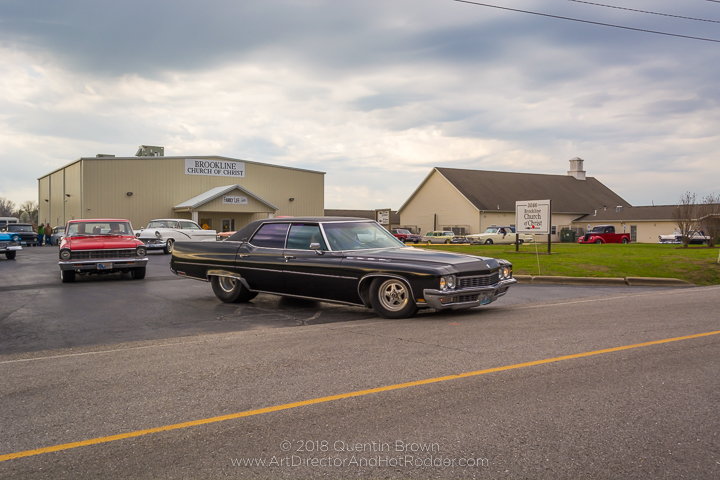 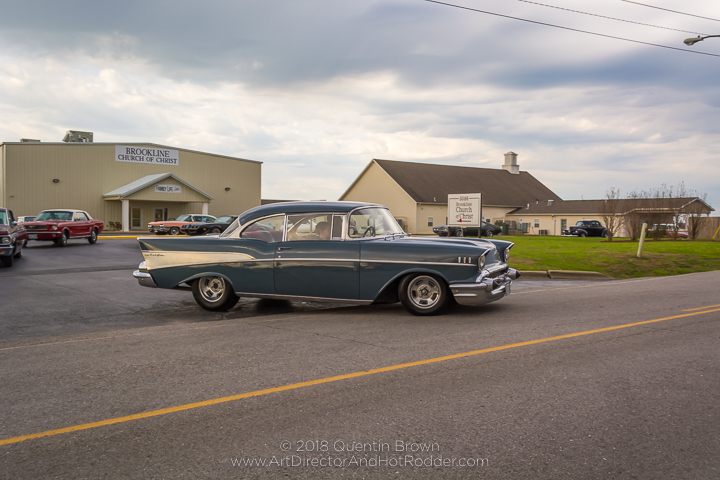 If you at the event and would like to get a high-resolution copy of one of the images of your car please feel free to reach out to me at Quentin@ArtDirectorAndHotRodder.com with a brief description of which images you were wanting I will get those images to you free of charge.